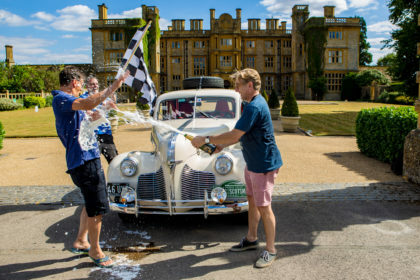 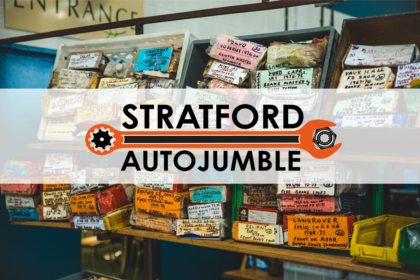 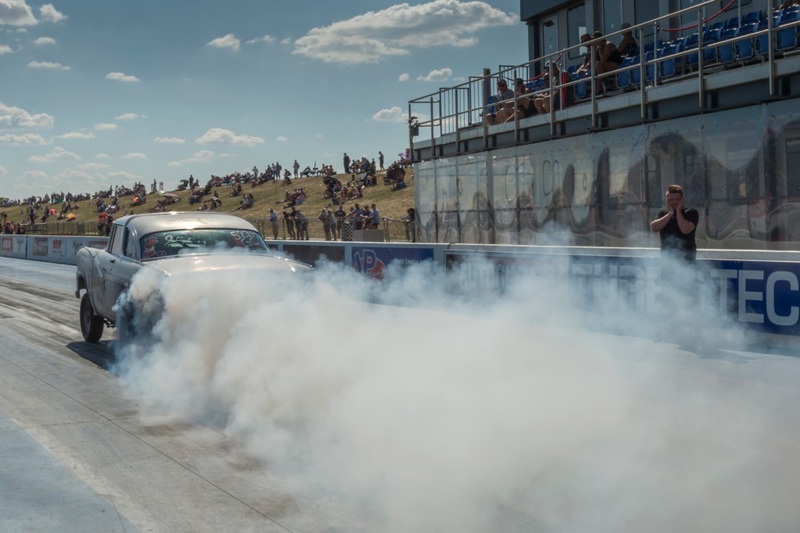 We’re sure you don’t need us to tell you what a belter of a heatwave we’ve had this summer, and although farmers and gardeners and other horticulturist types, love a bit of the wet stuff, when you’re putting on a big drag racing meet, it’s the last thing you want. 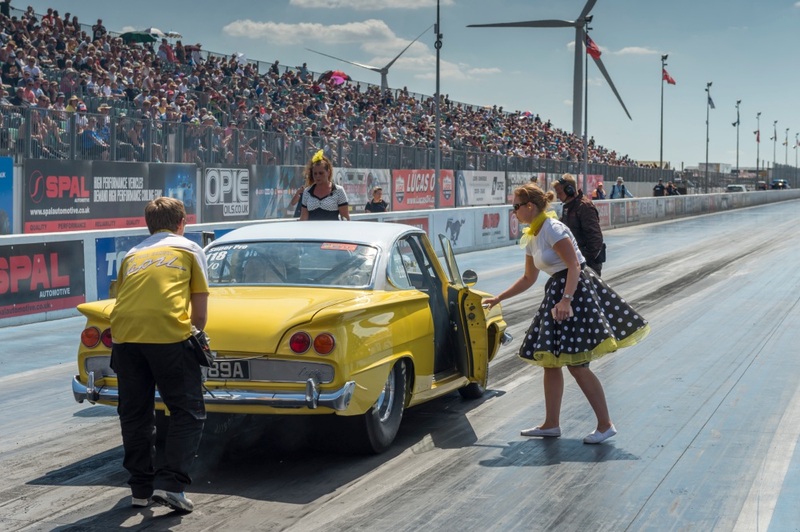 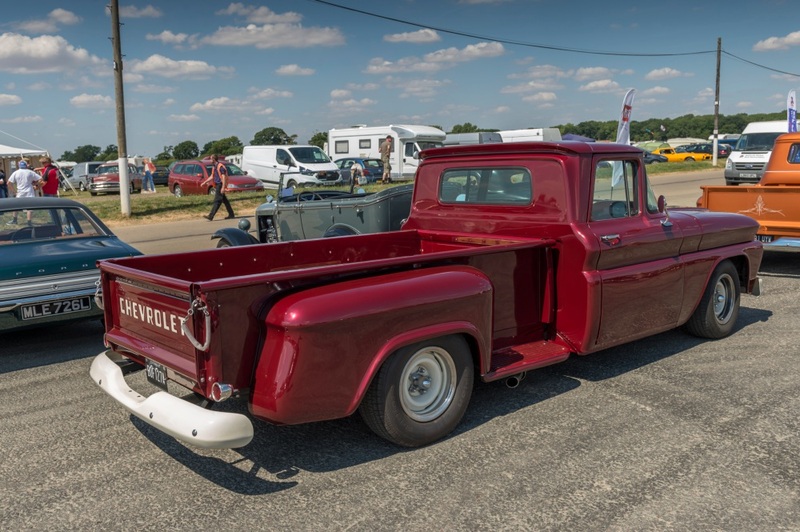 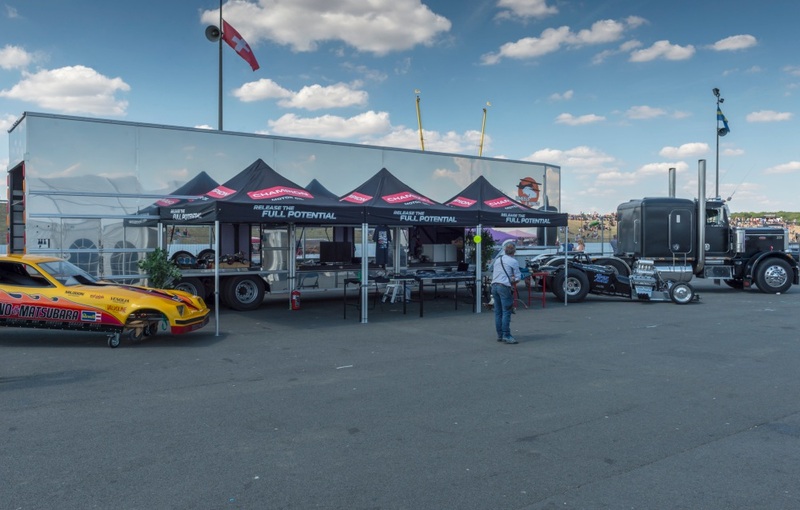 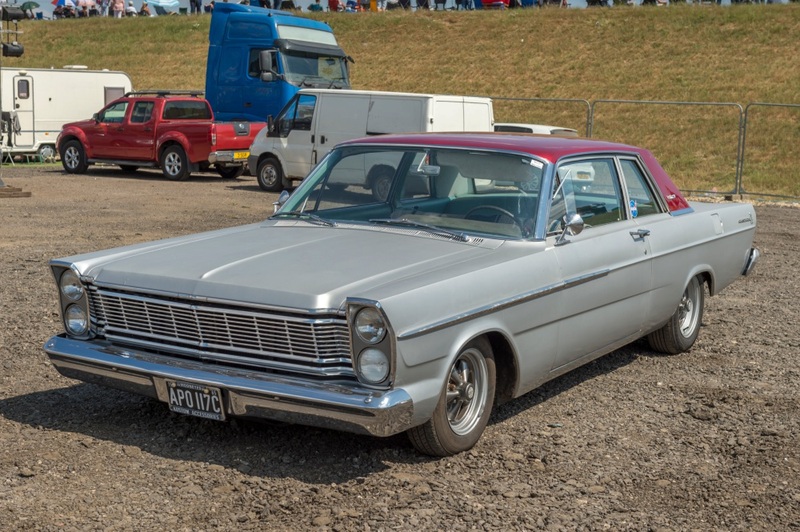 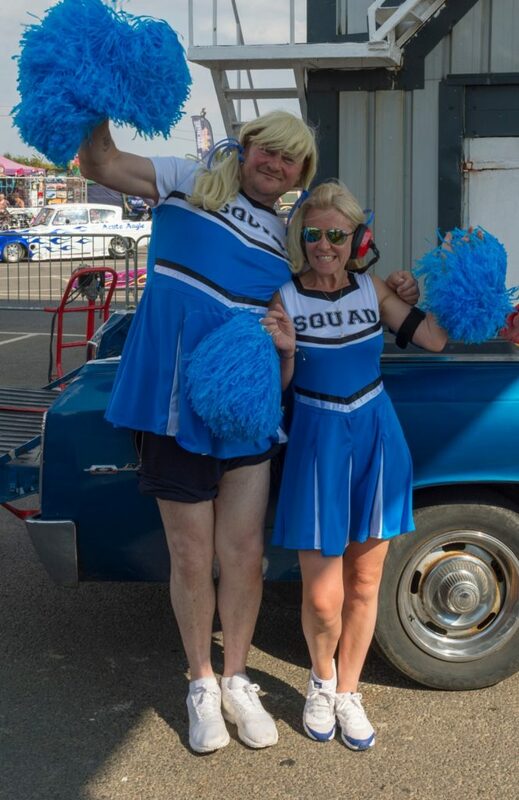 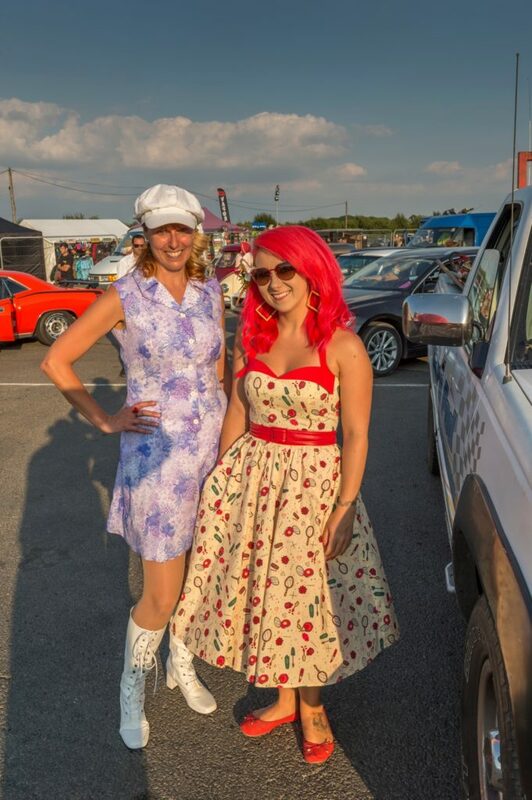 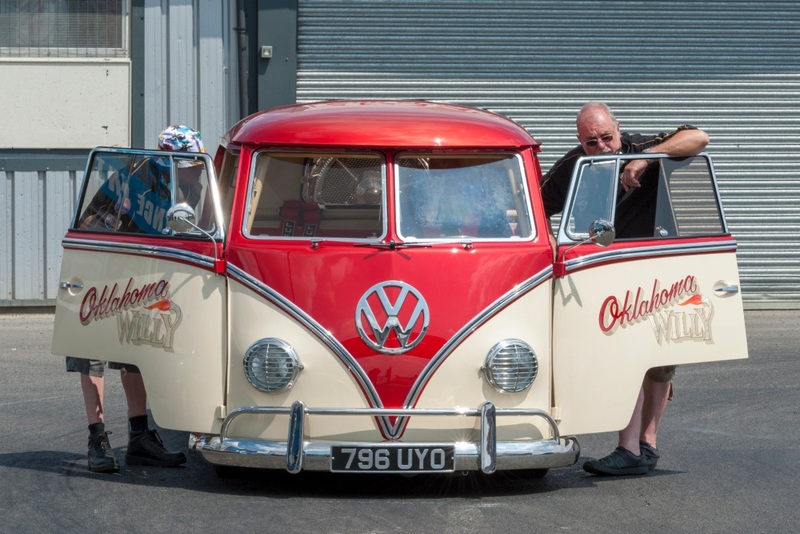 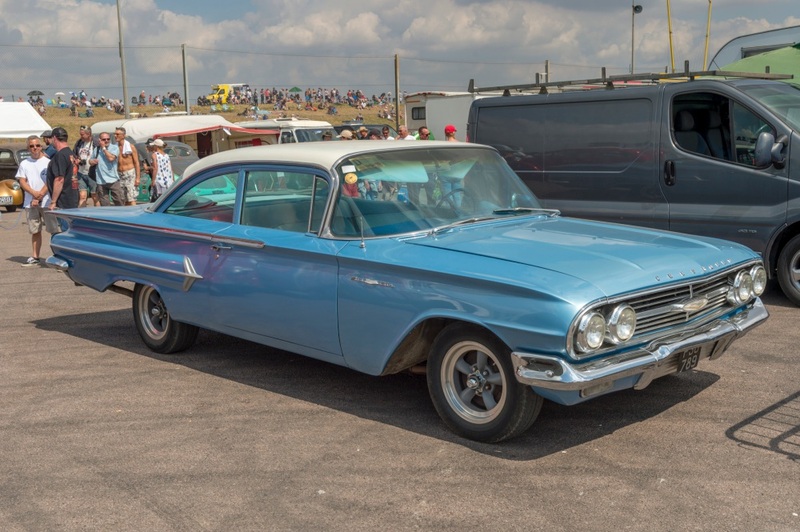 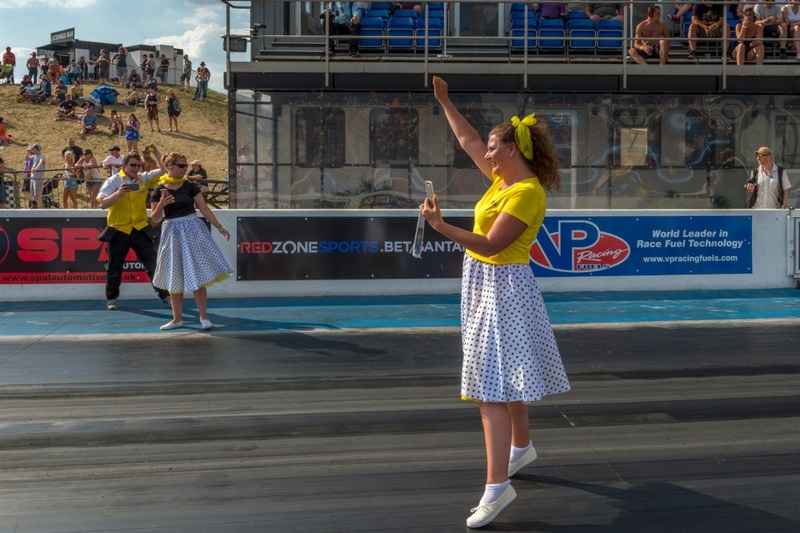 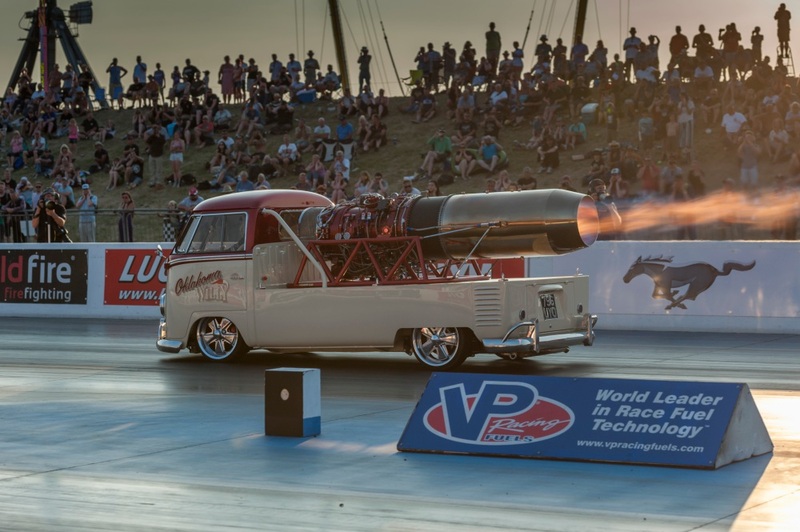 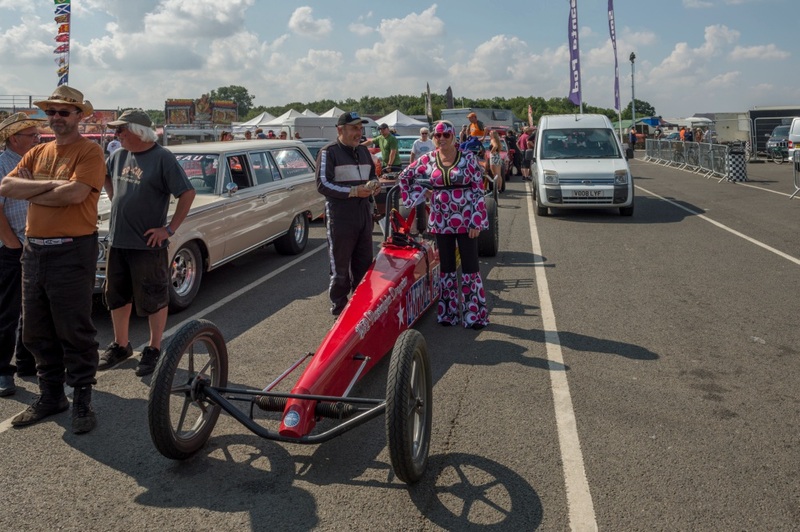 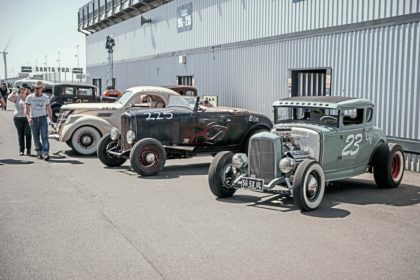 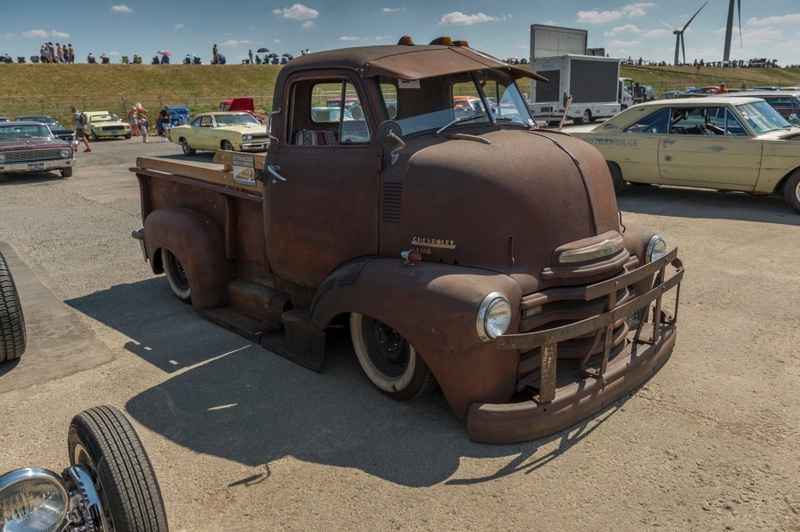 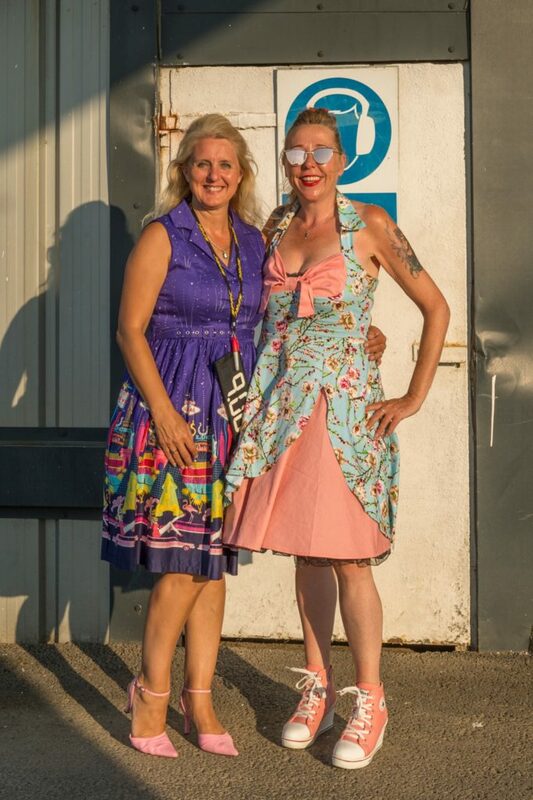 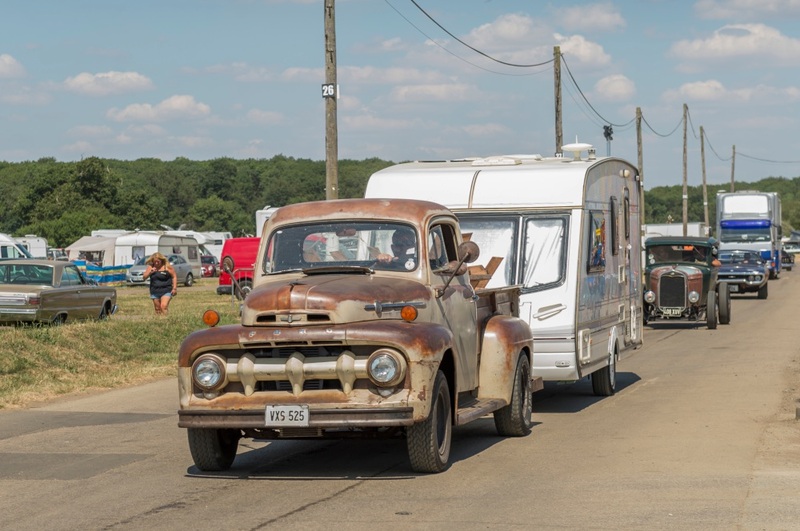 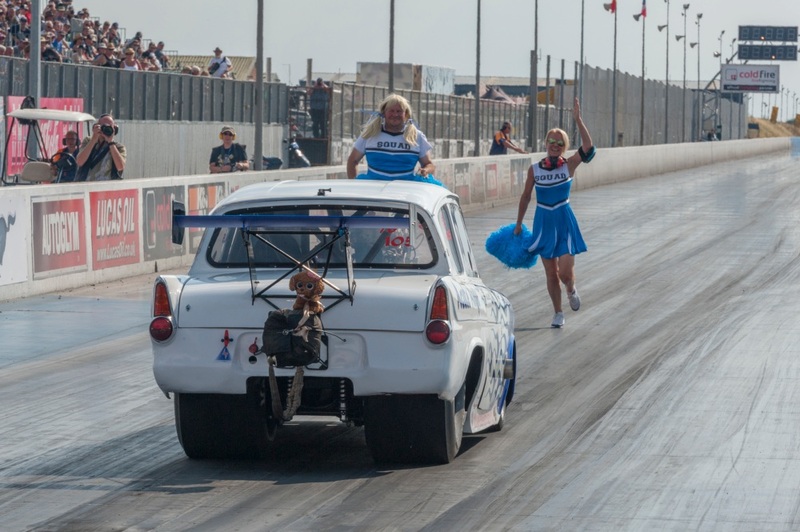 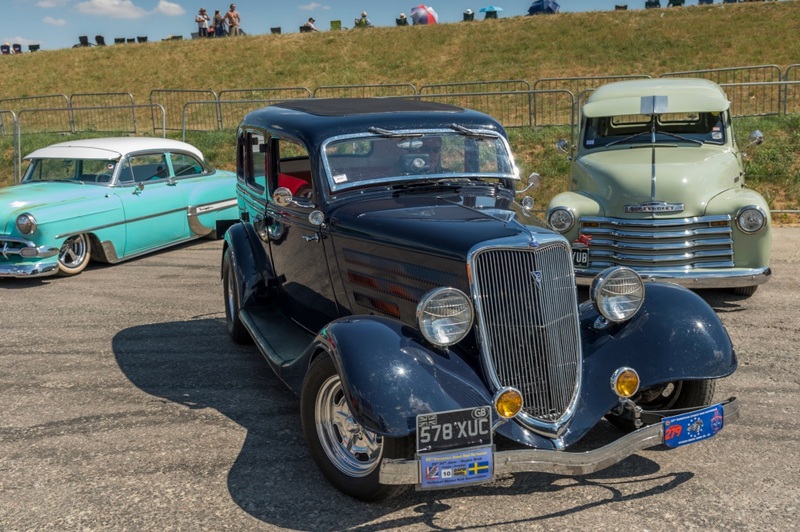 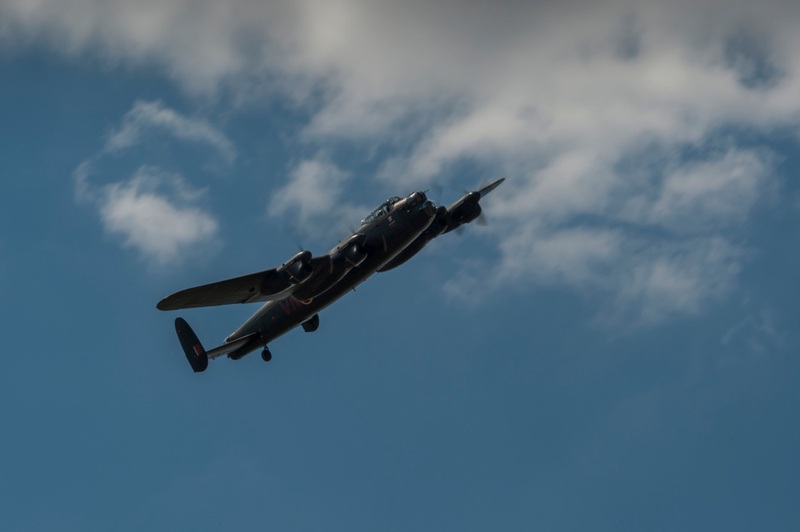 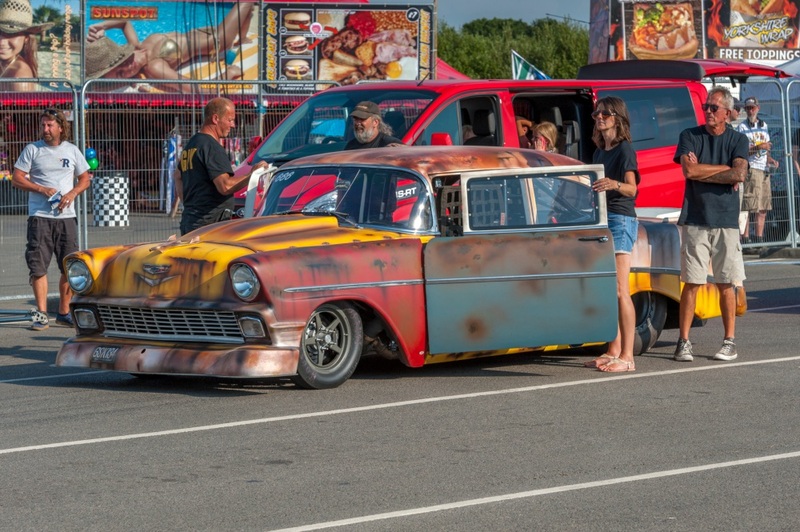 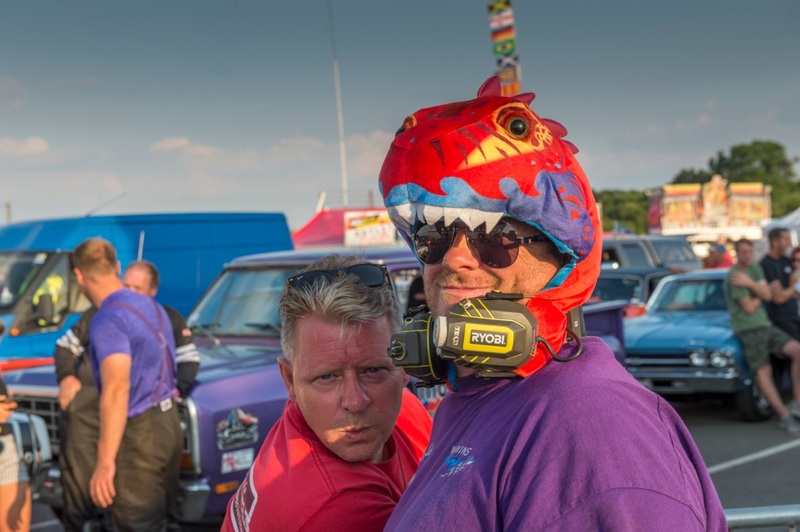 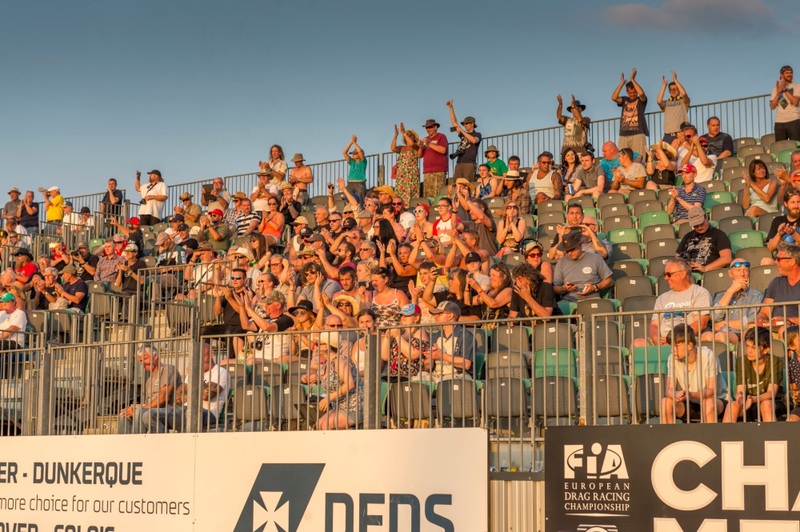 So, with blue skies in abundance, nostalgia race fans were looking forward to a full weekend of exciting racing for this year’s Dragstalgia event and the campsites at Santa Pod were already looking full by Friday evening when many arrived. 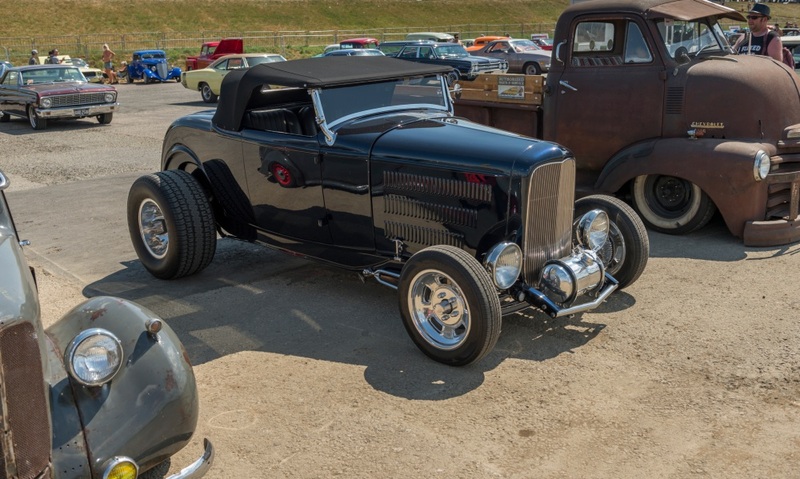 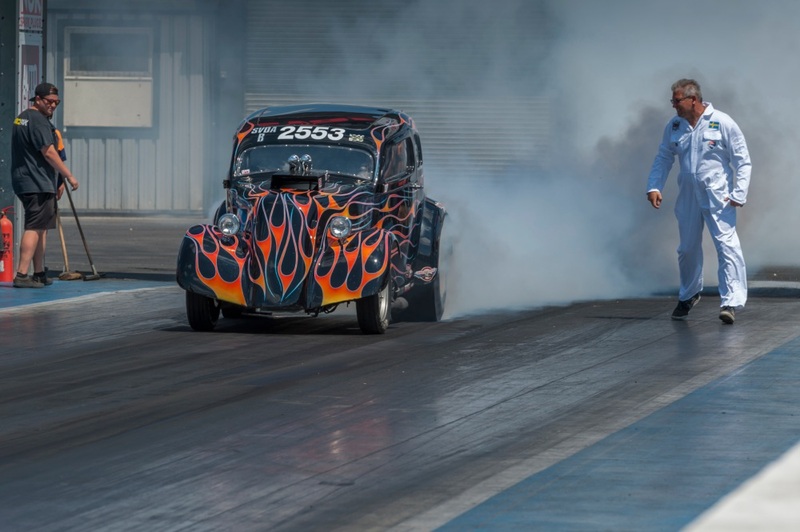 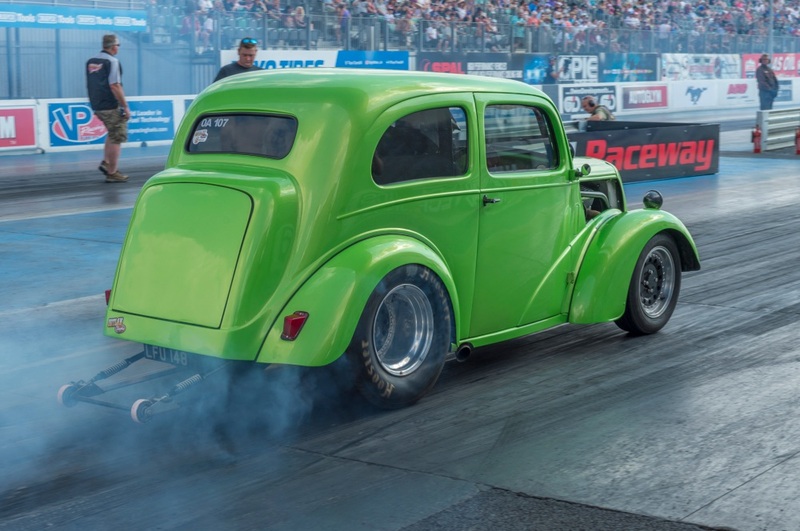 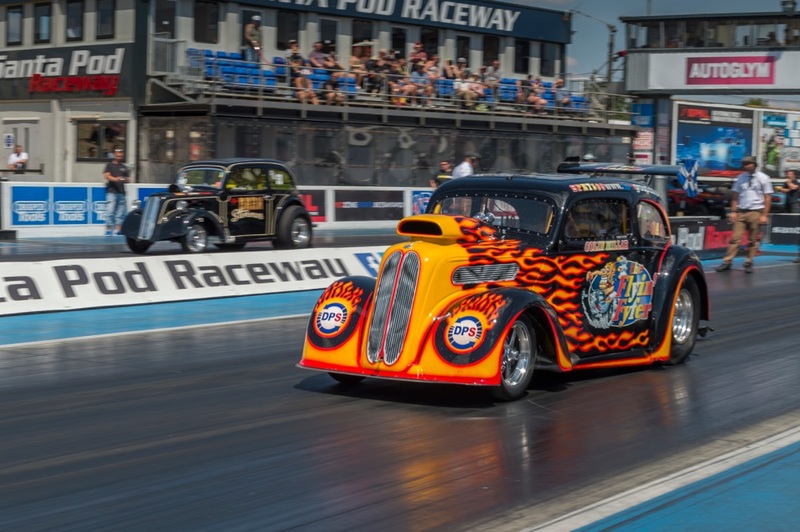 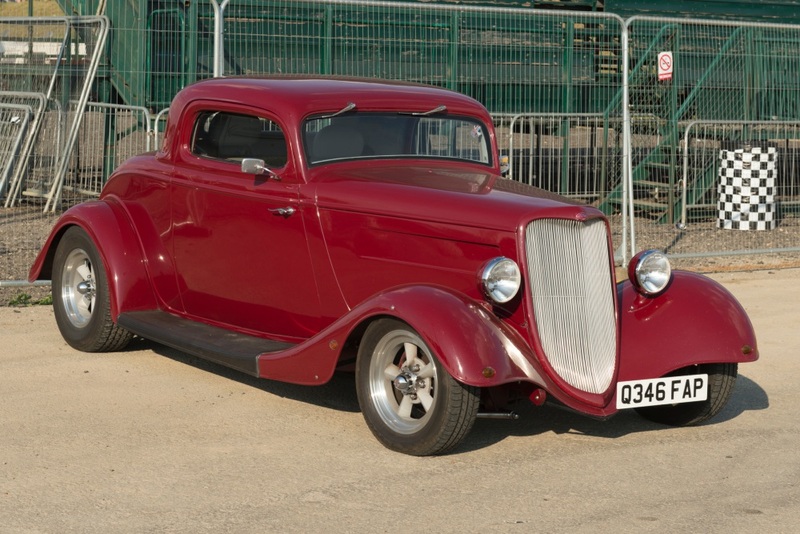 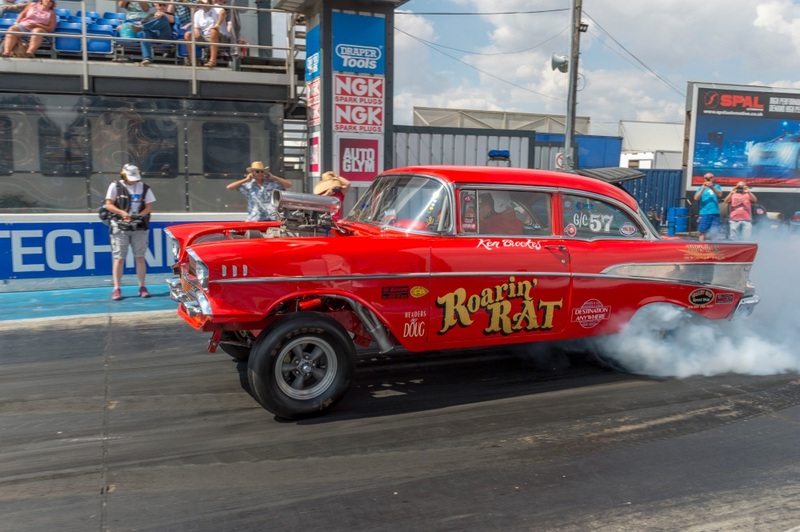 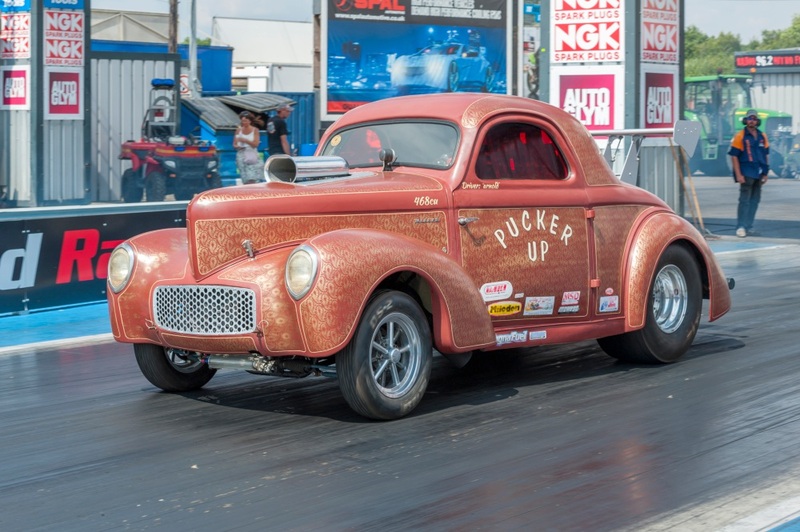 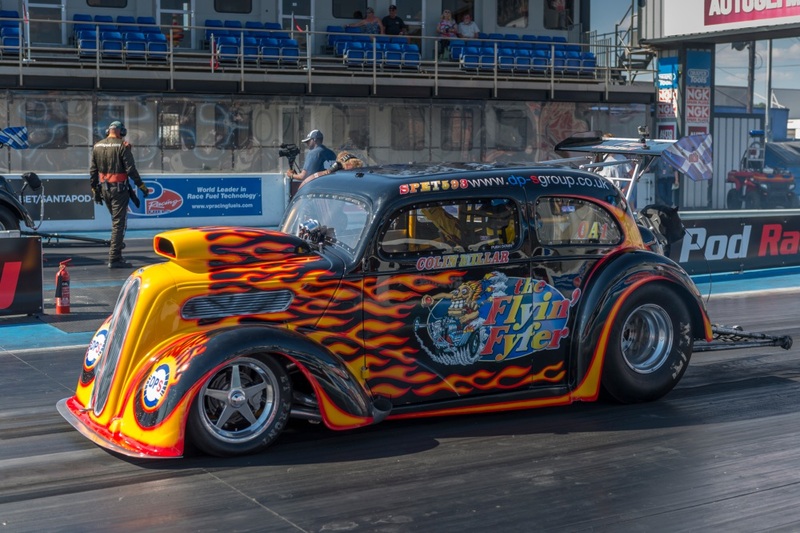 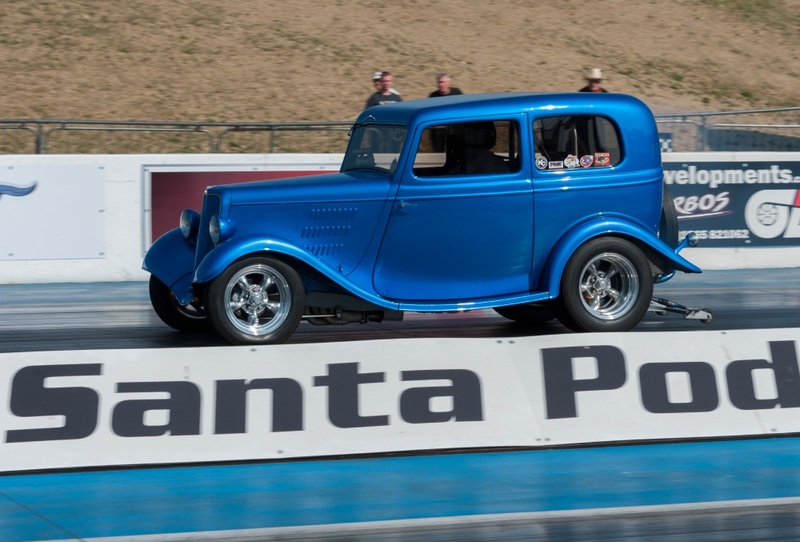 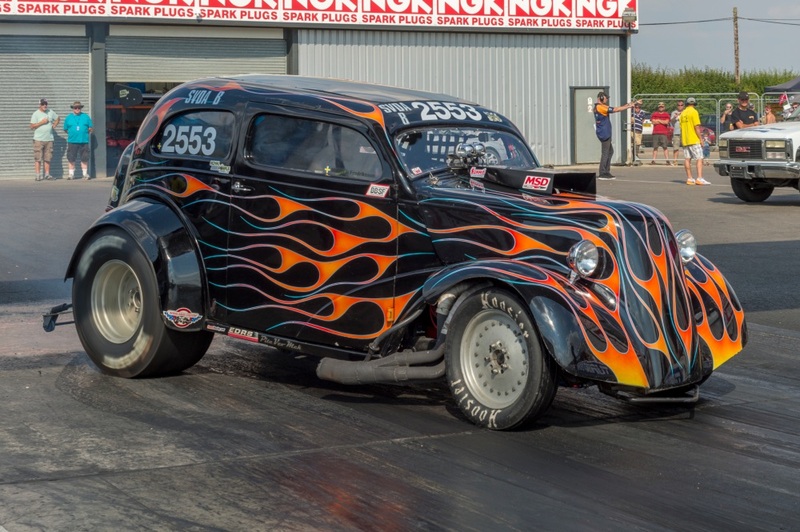 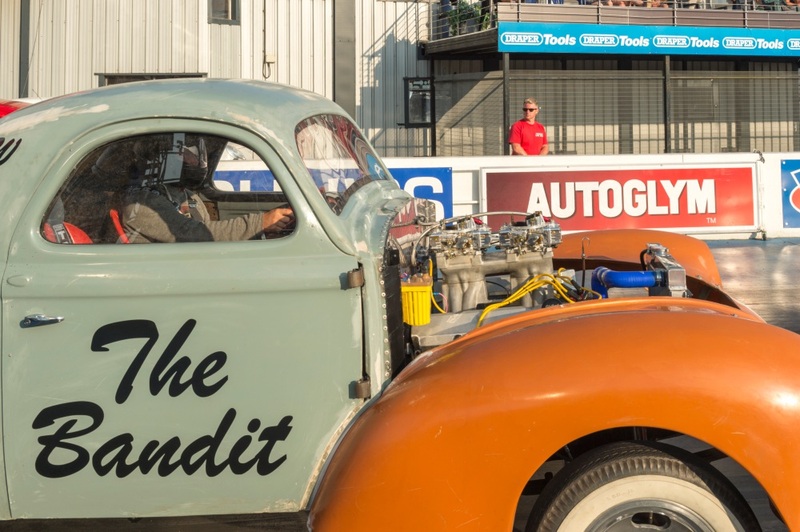 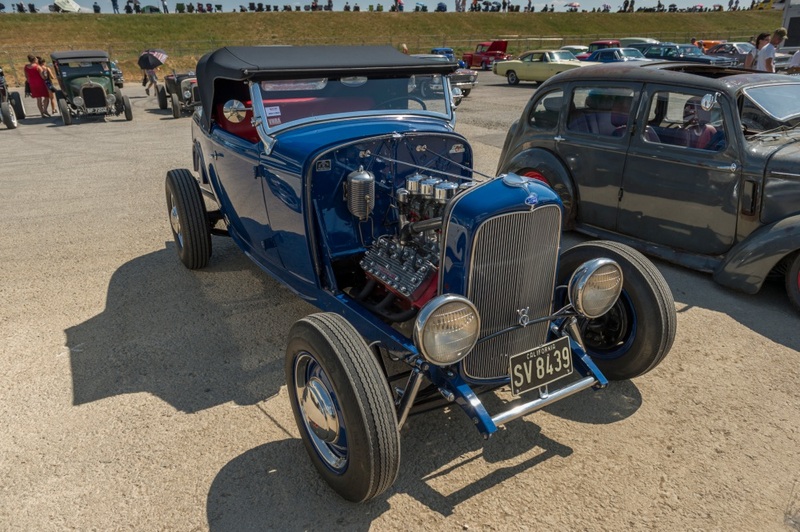 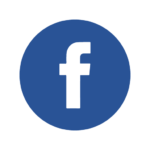 As you probably know, many hot rodder and drag race fans make an annual pilgrimage to the West Coast of the USA at the end of our season to take in the Hot Rod Reunion in October. 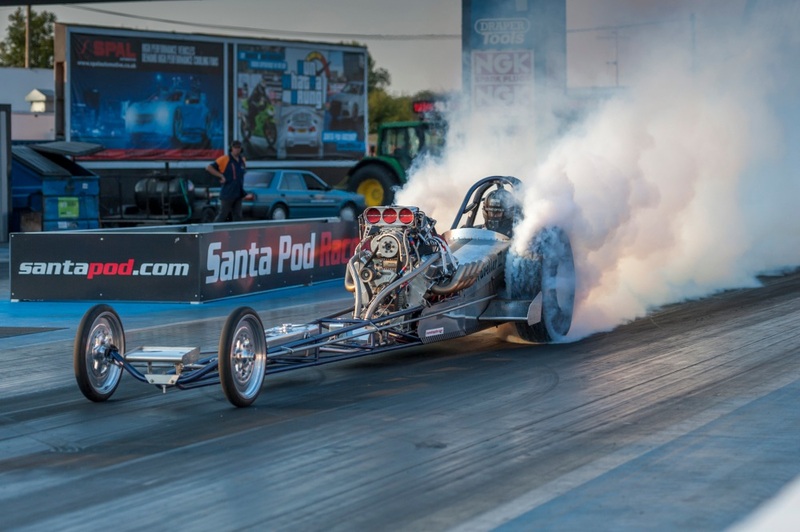 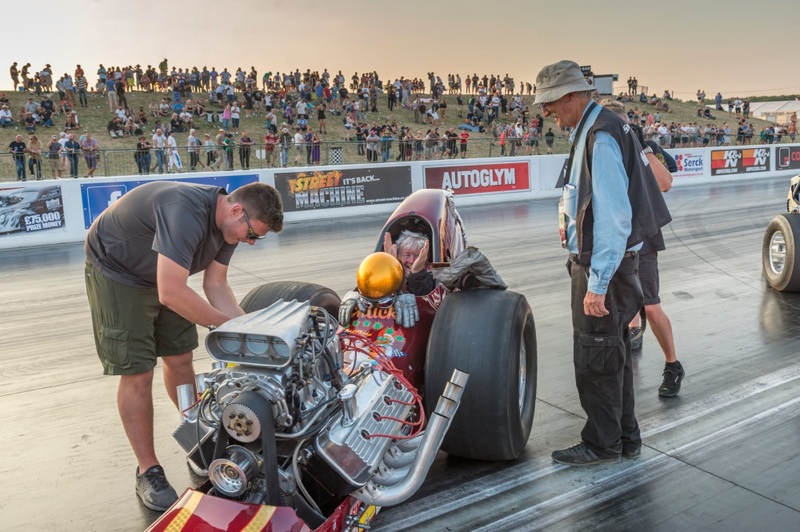 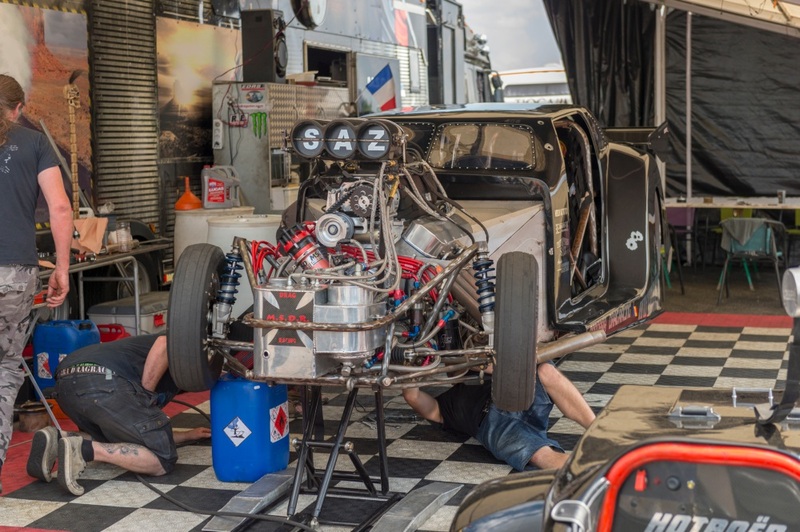 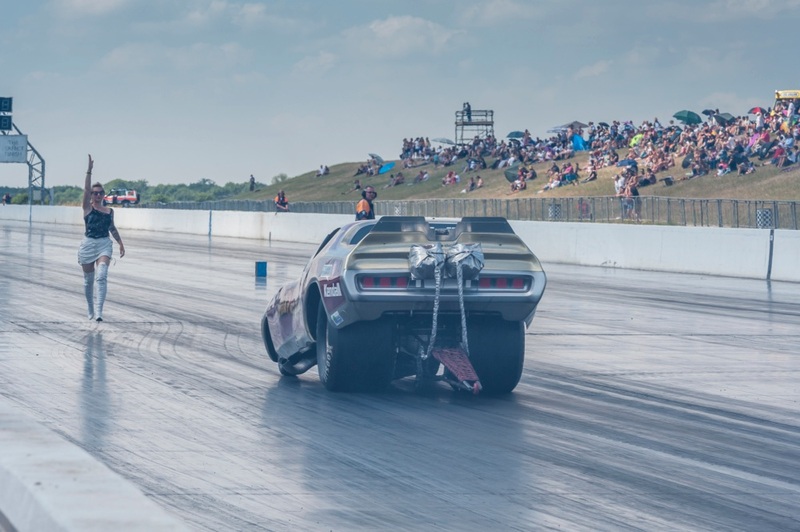 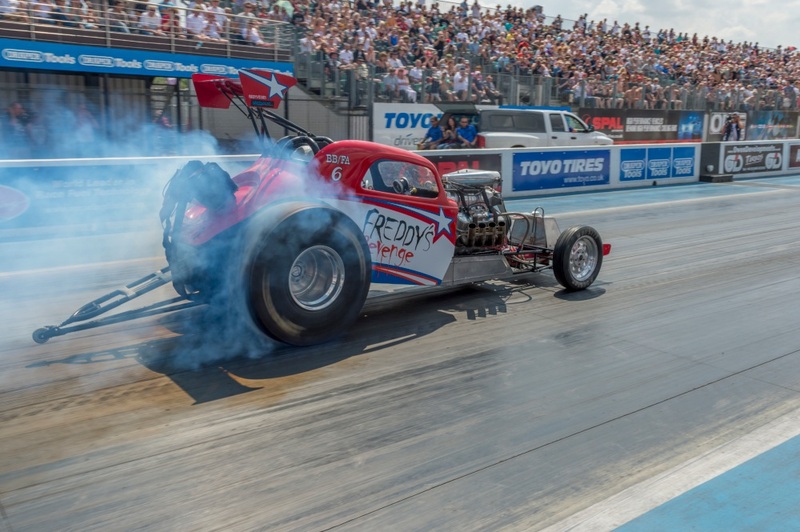 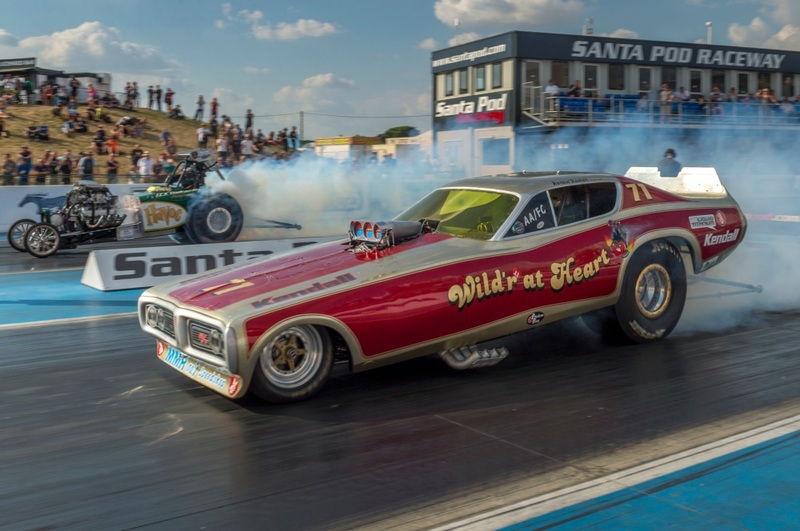 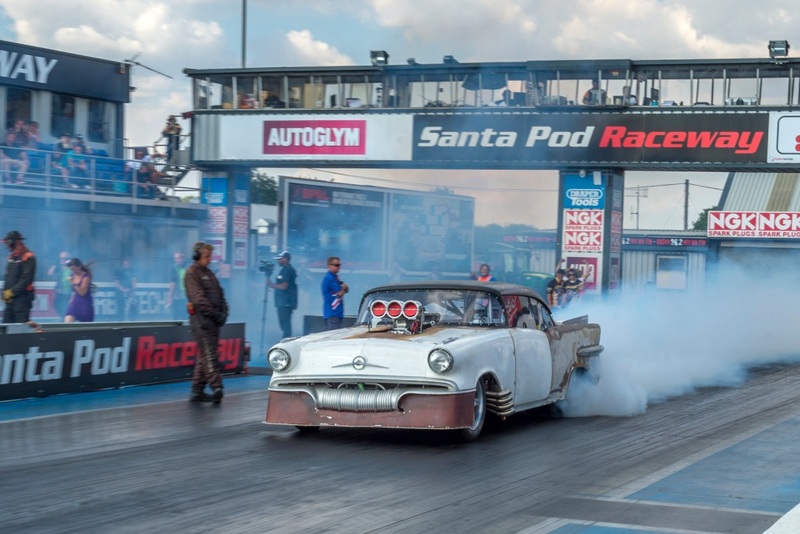 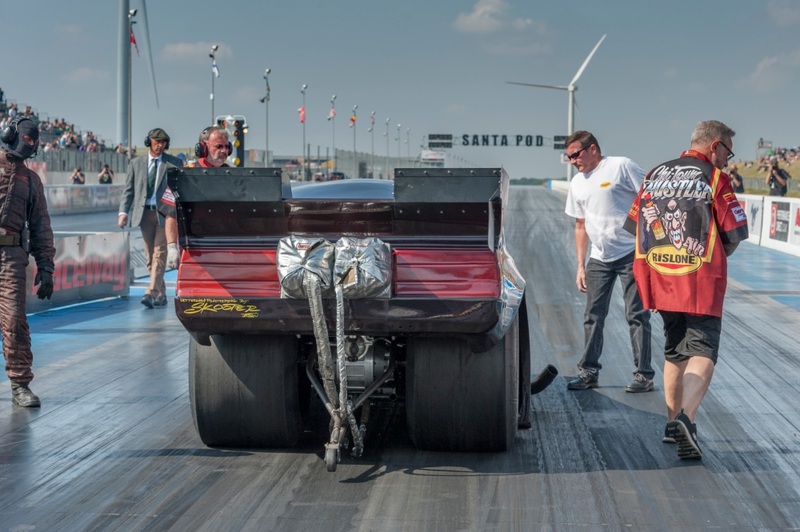 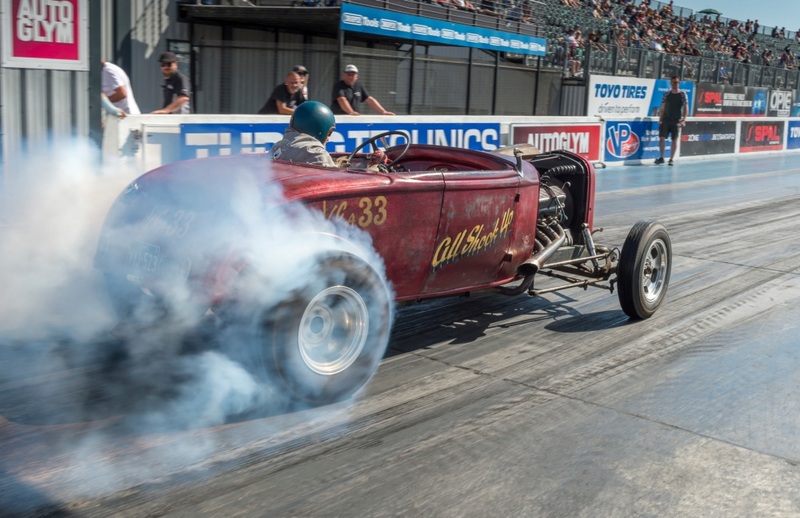 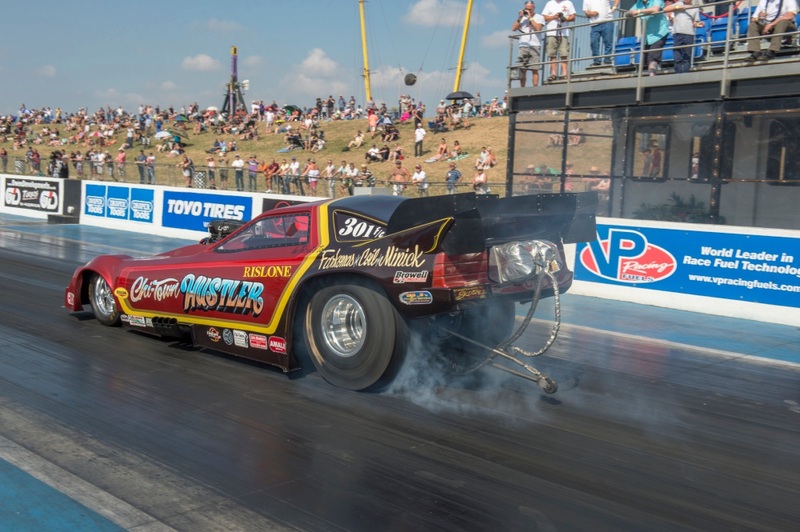 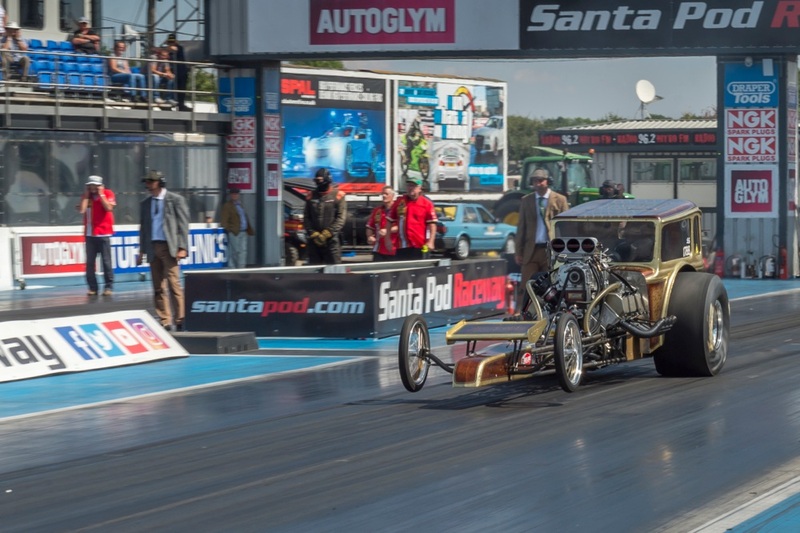 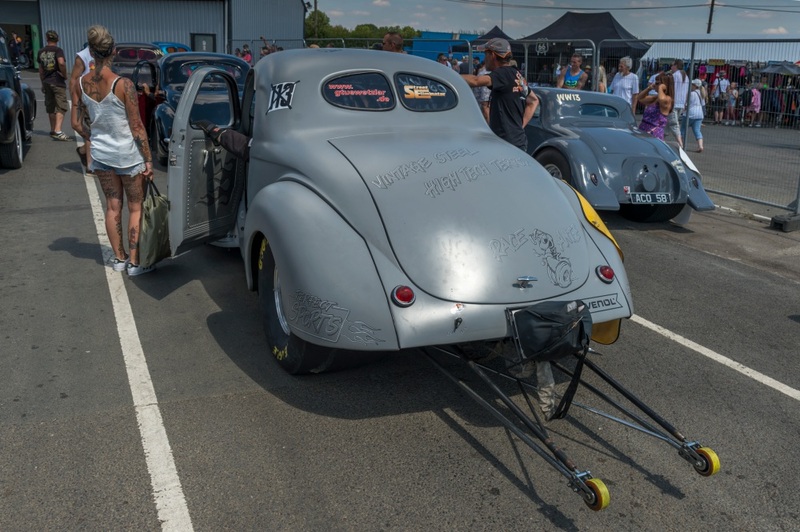 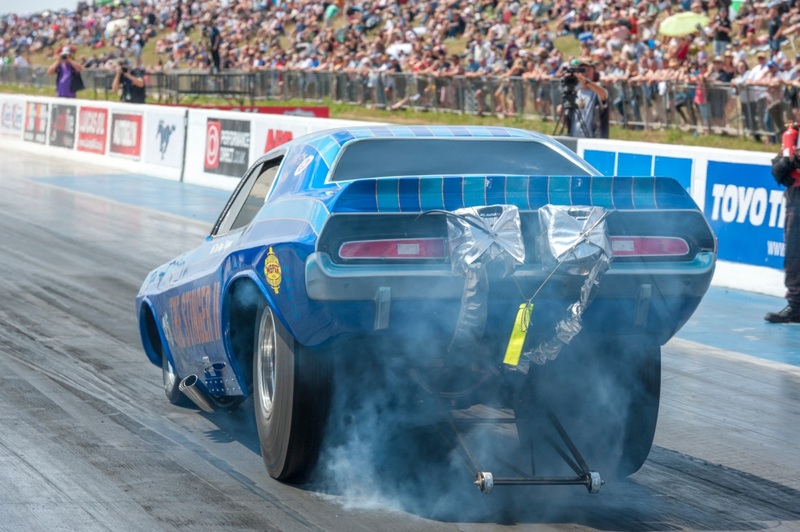 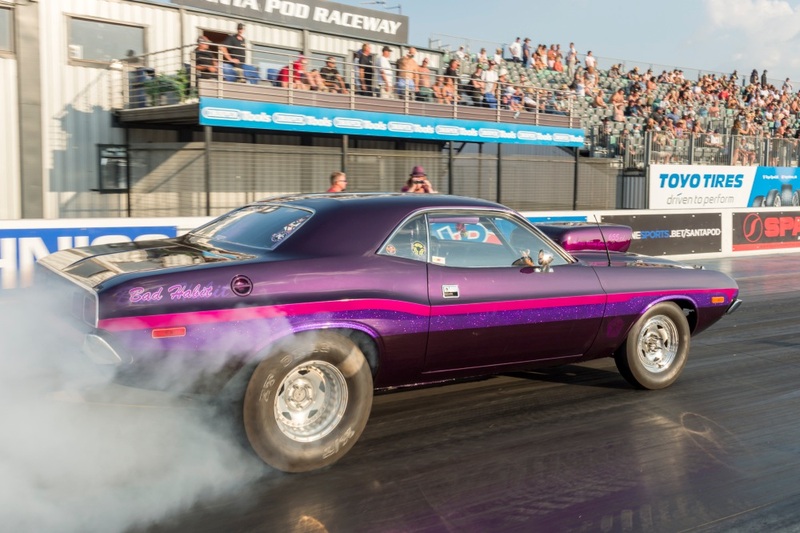 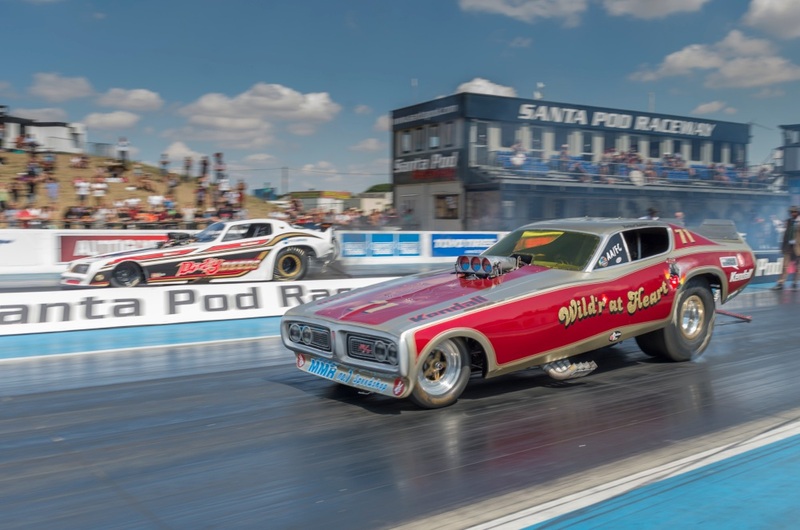 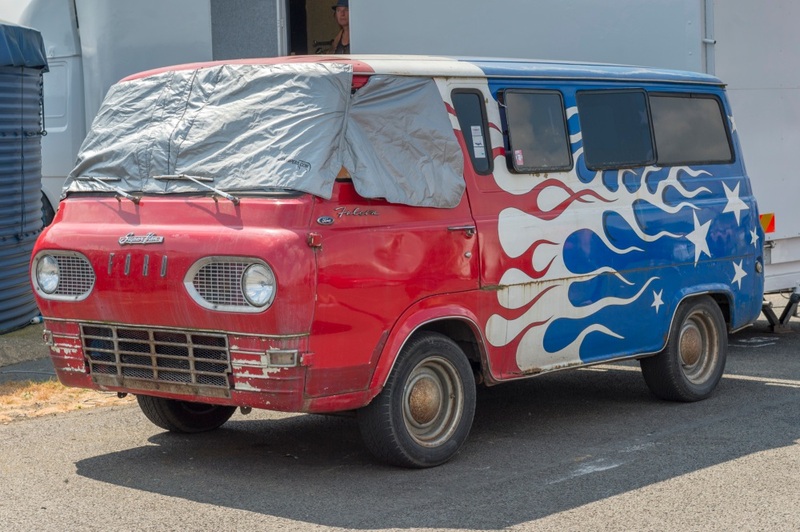 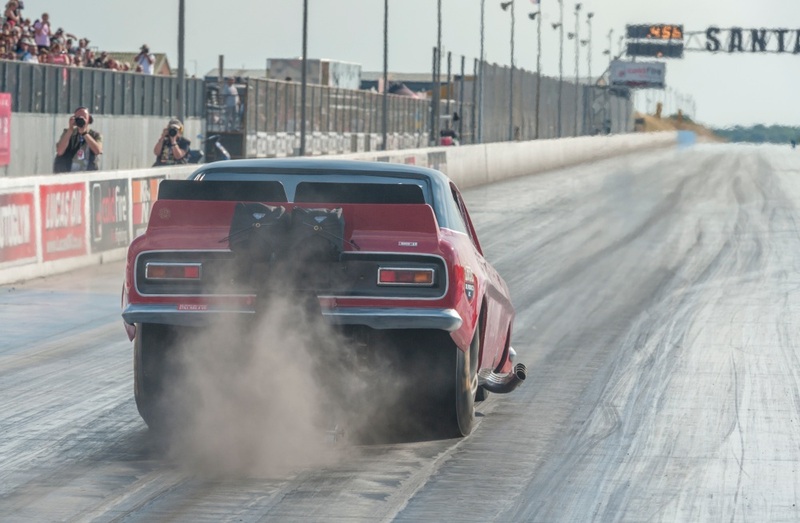 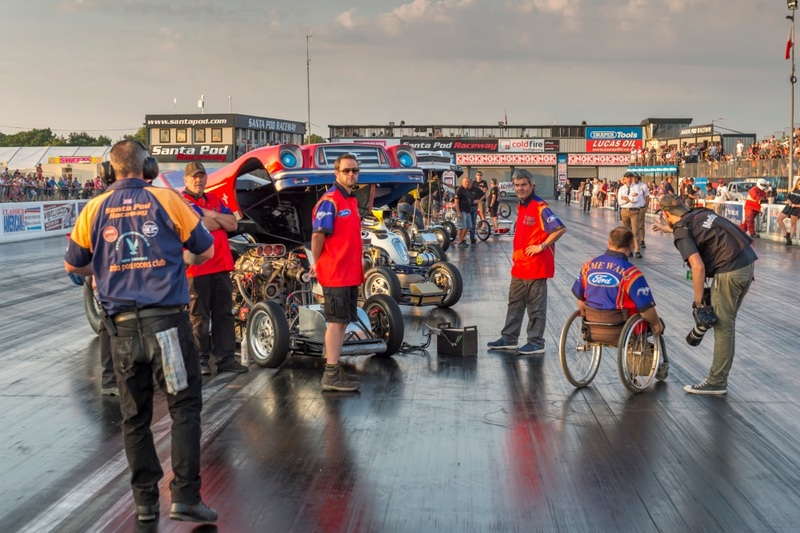 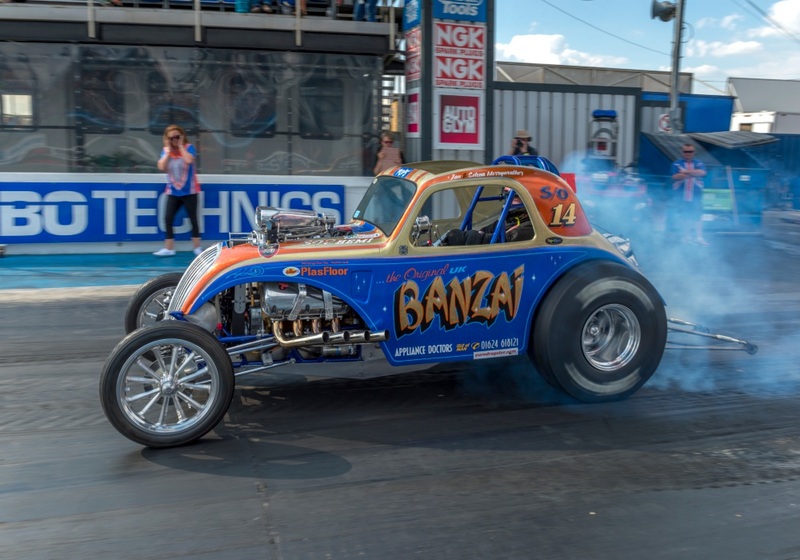 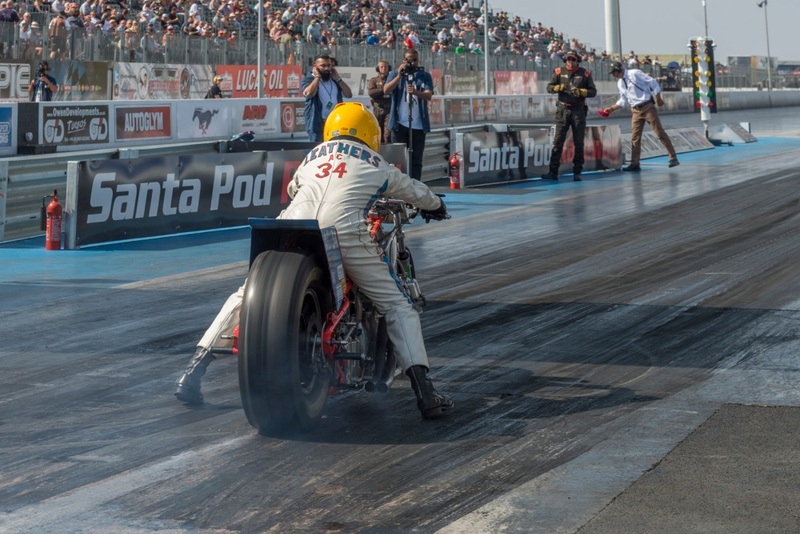 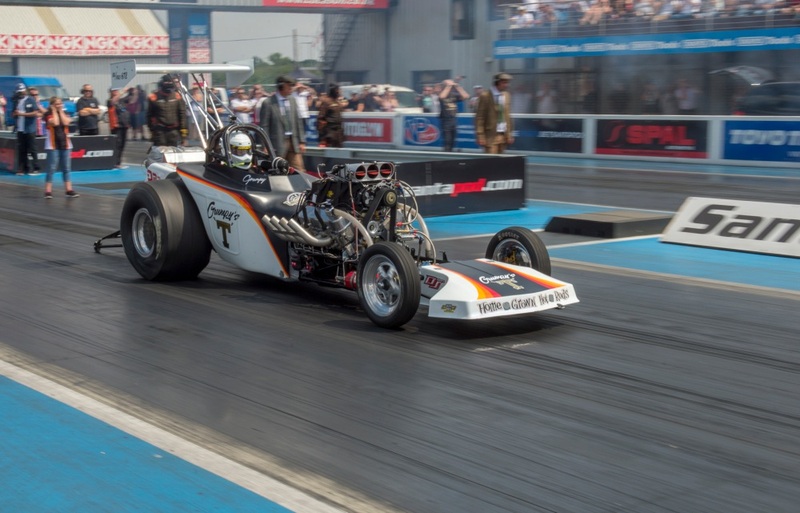 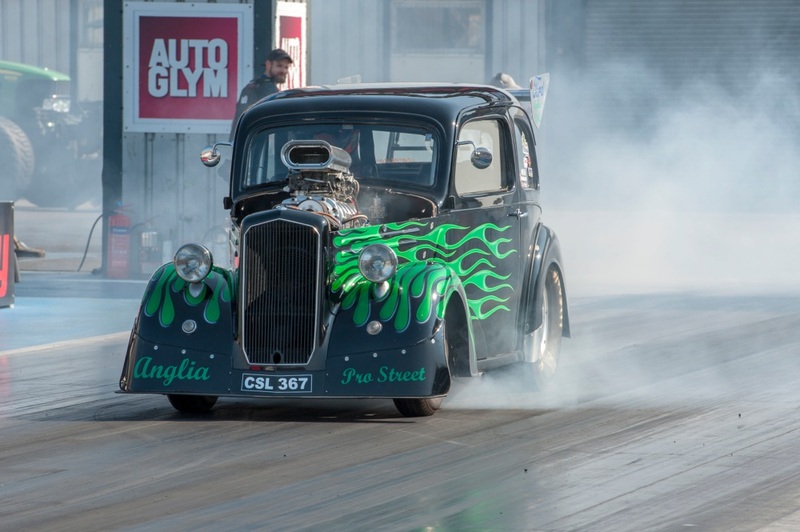 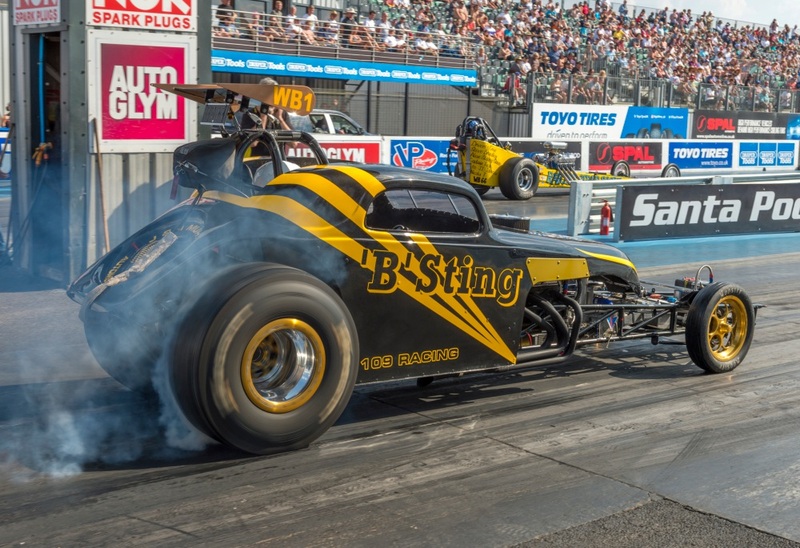 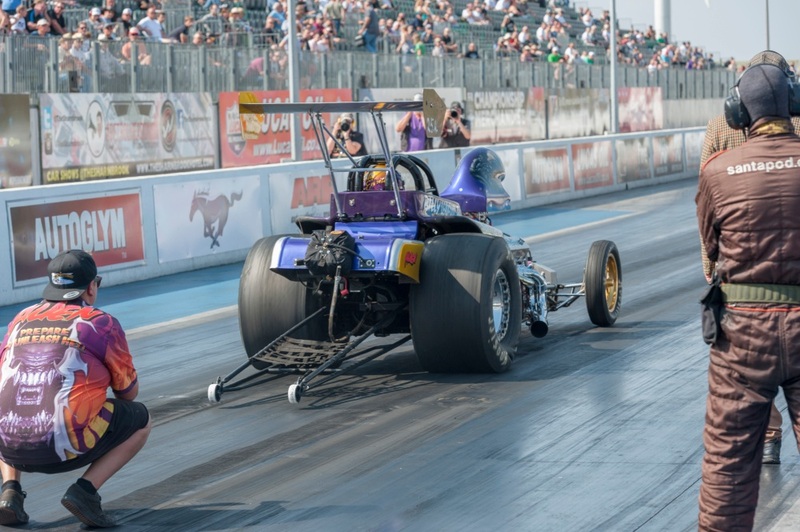 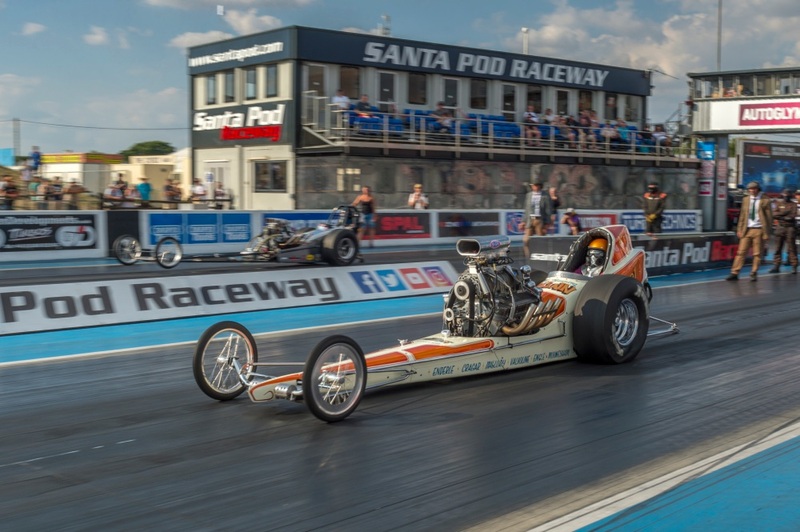 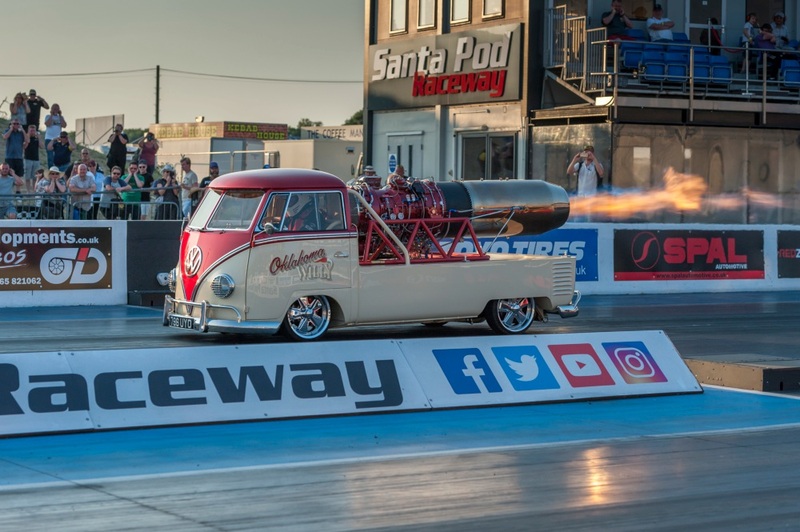 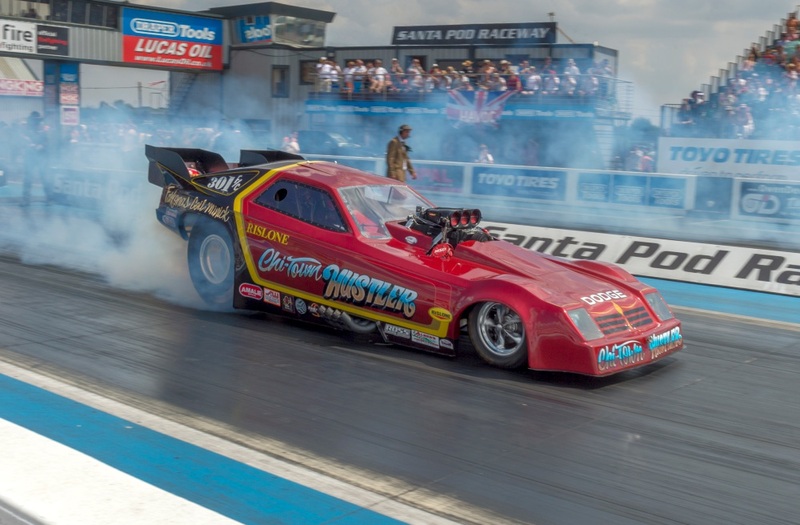 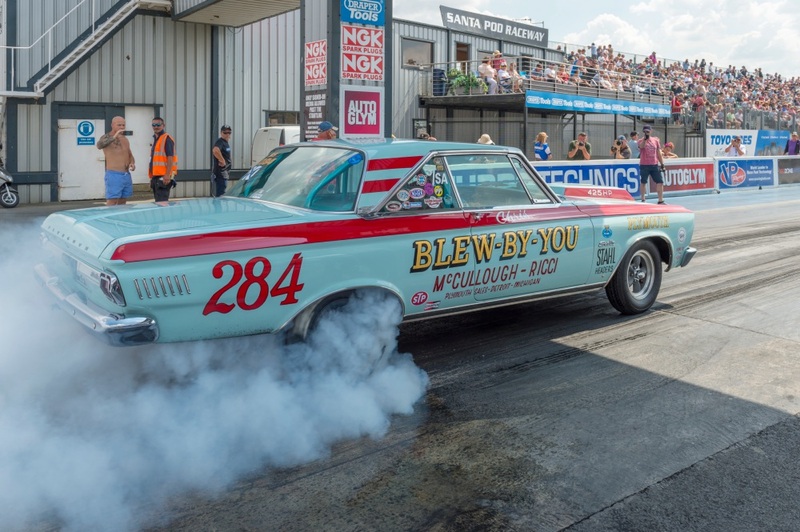 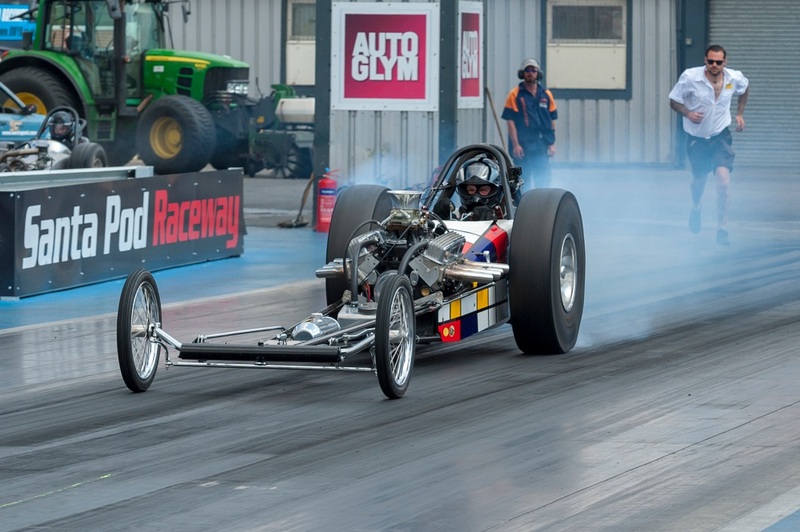 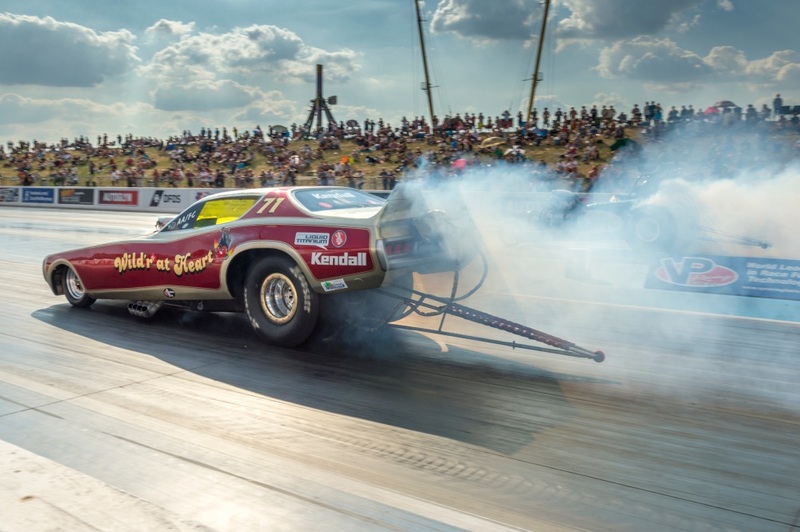 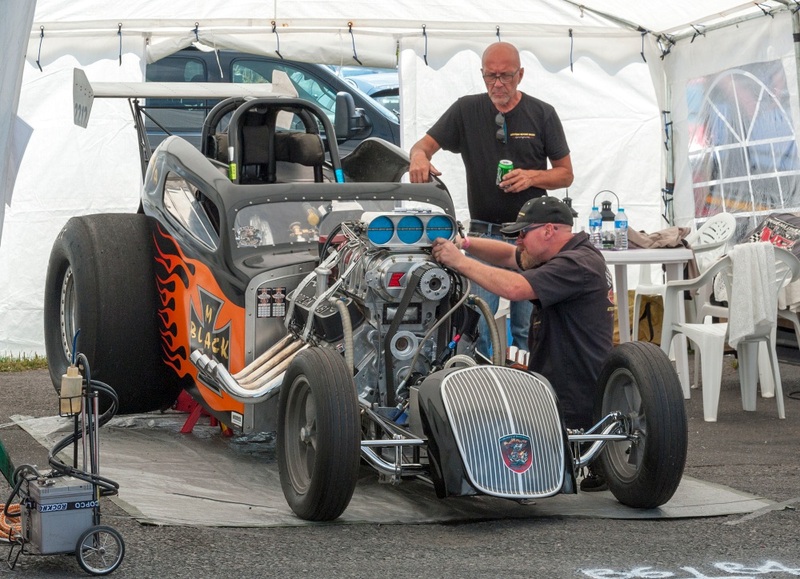 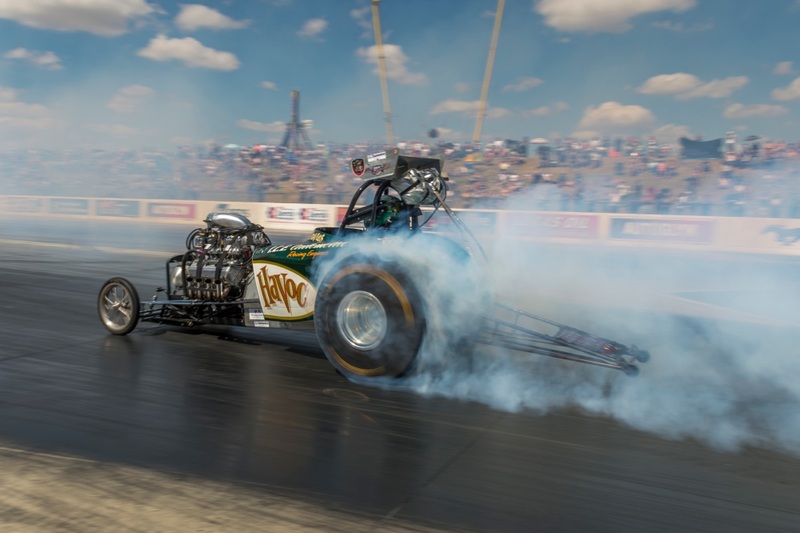 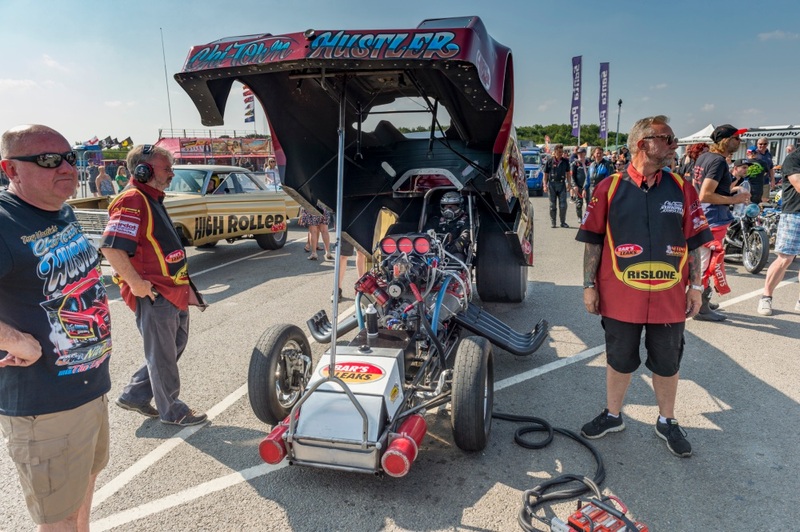 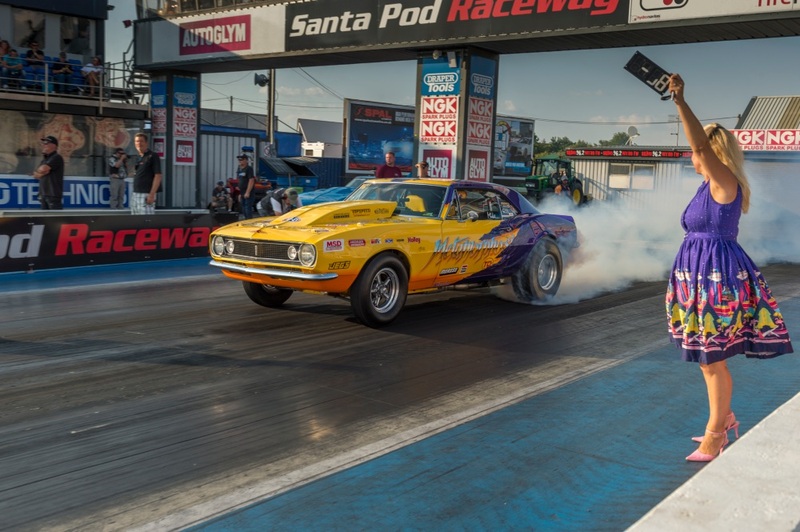 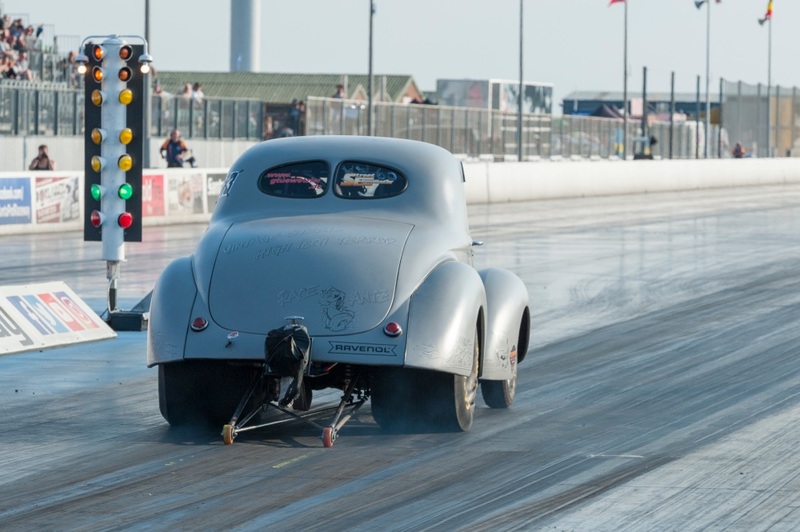 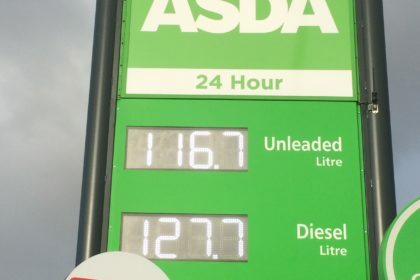 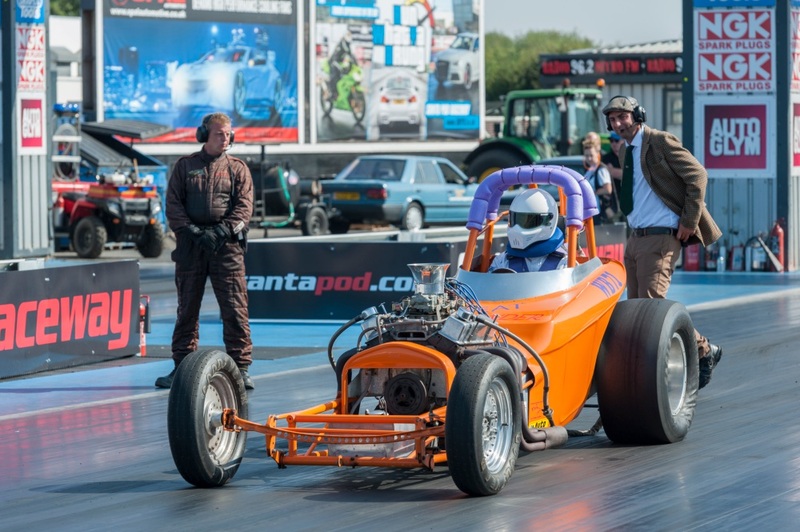 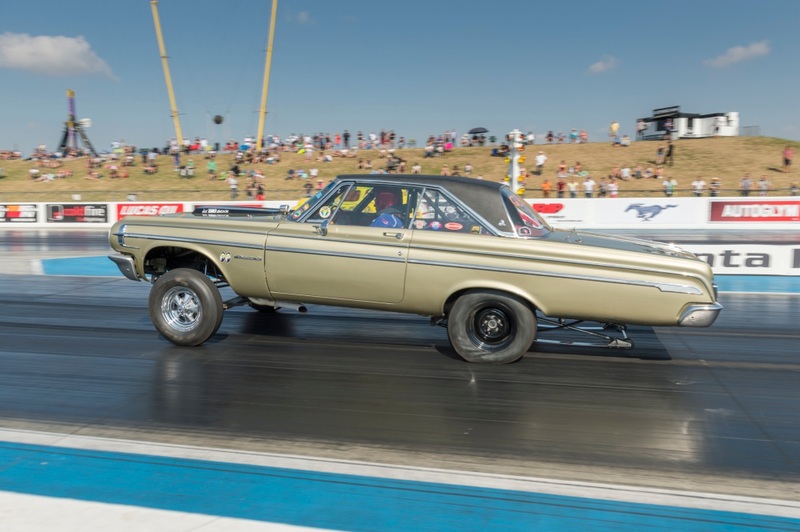 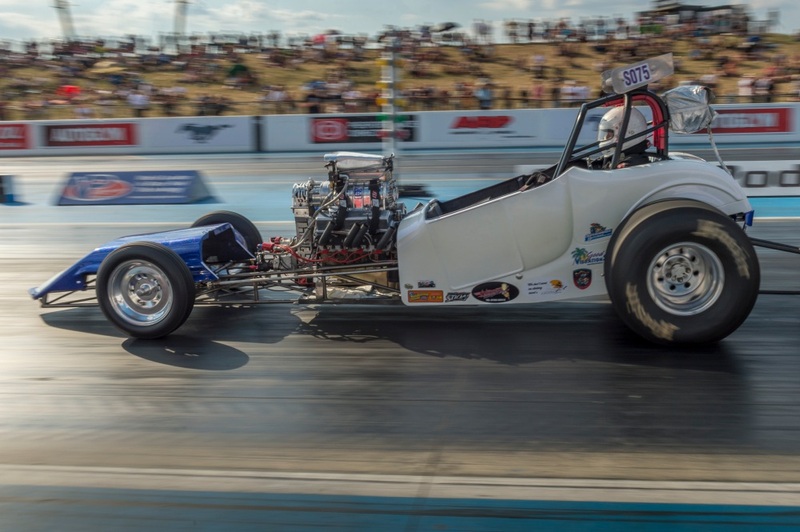 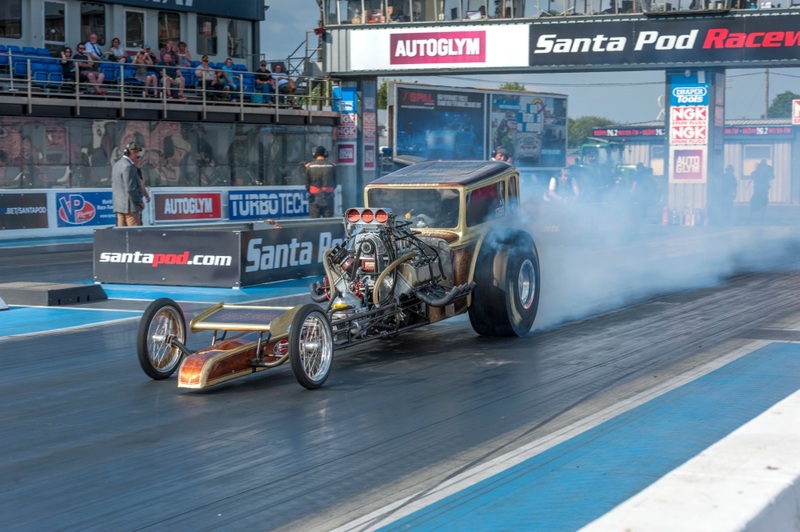 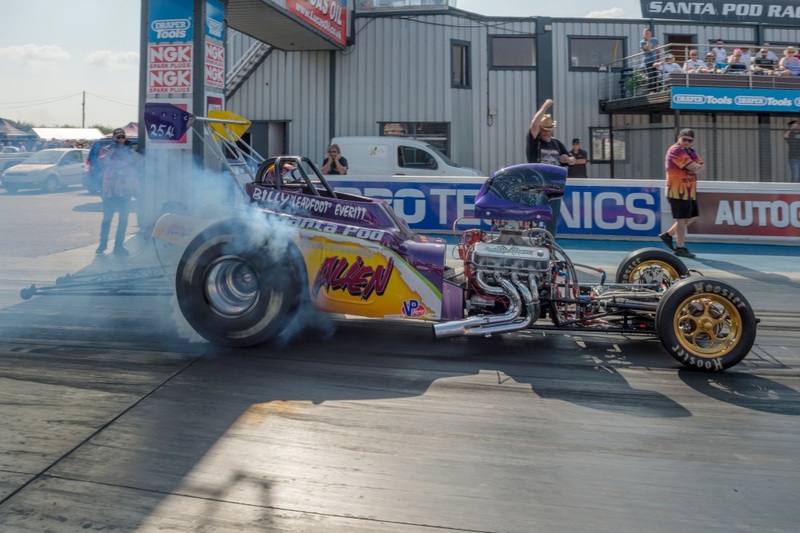 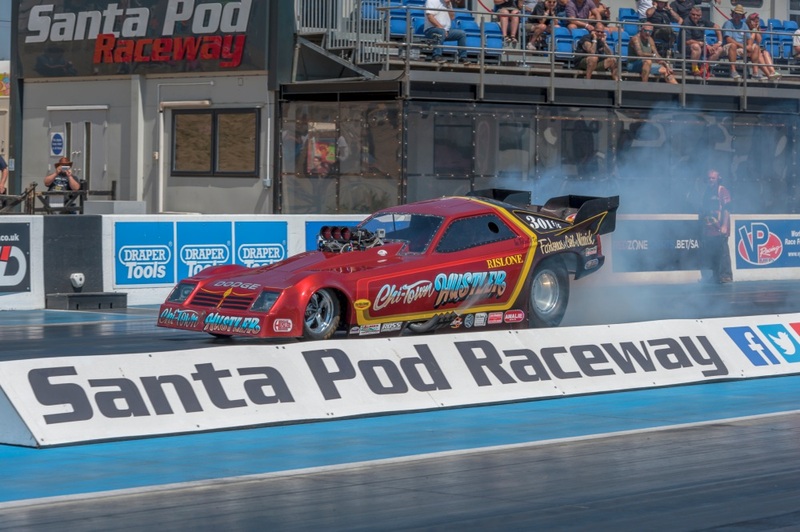 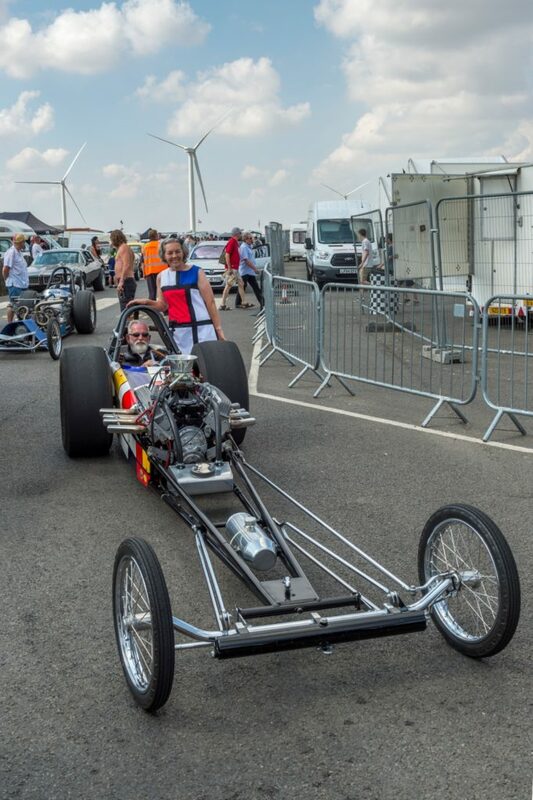 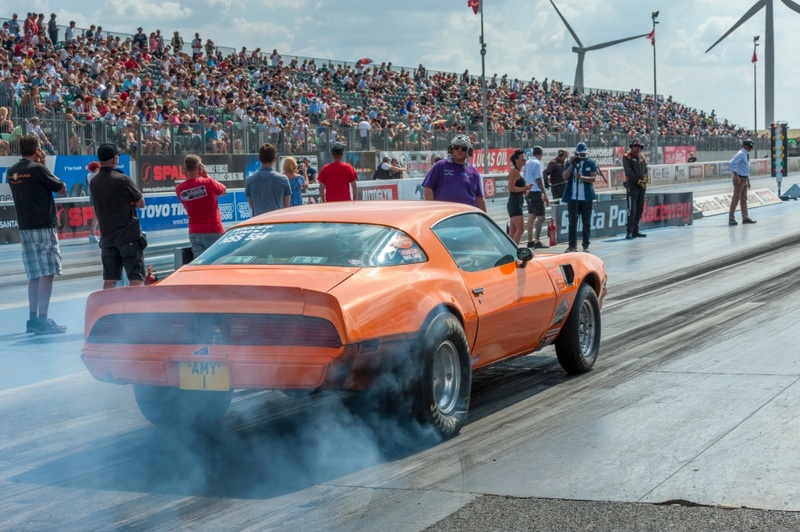 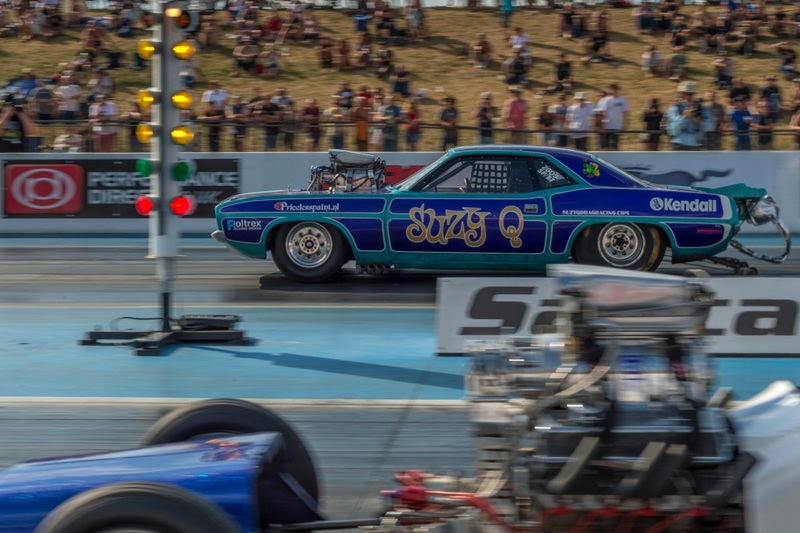 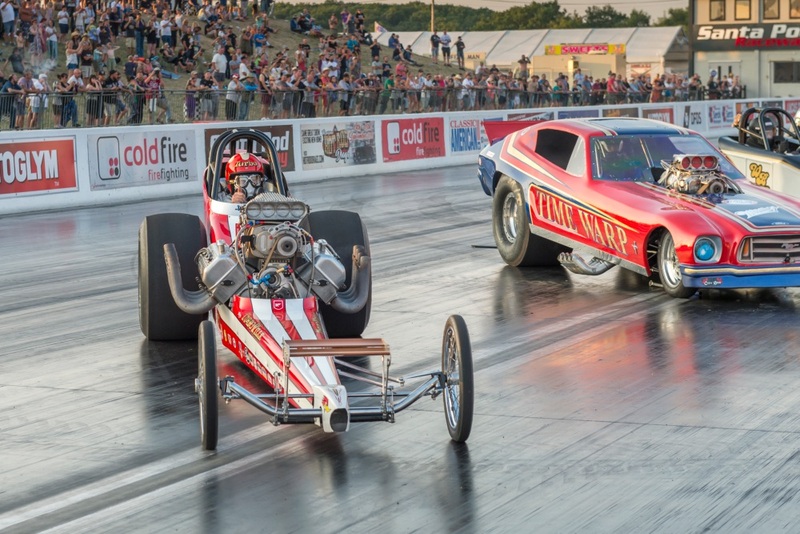 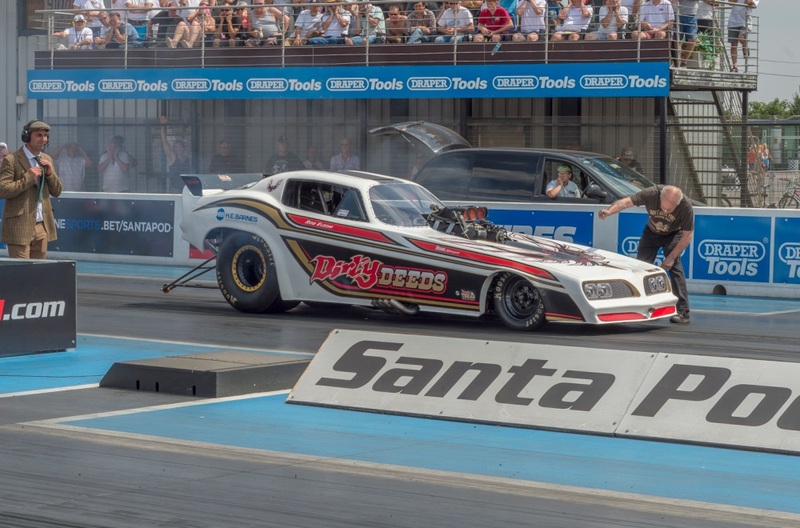 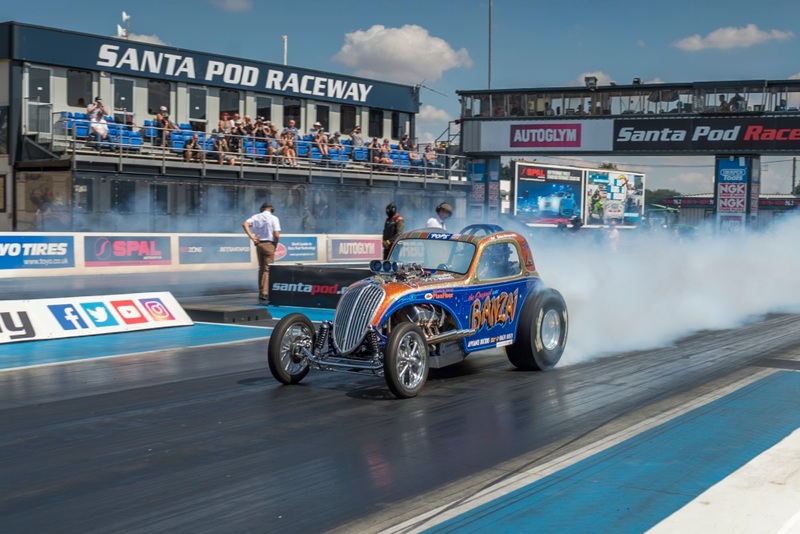 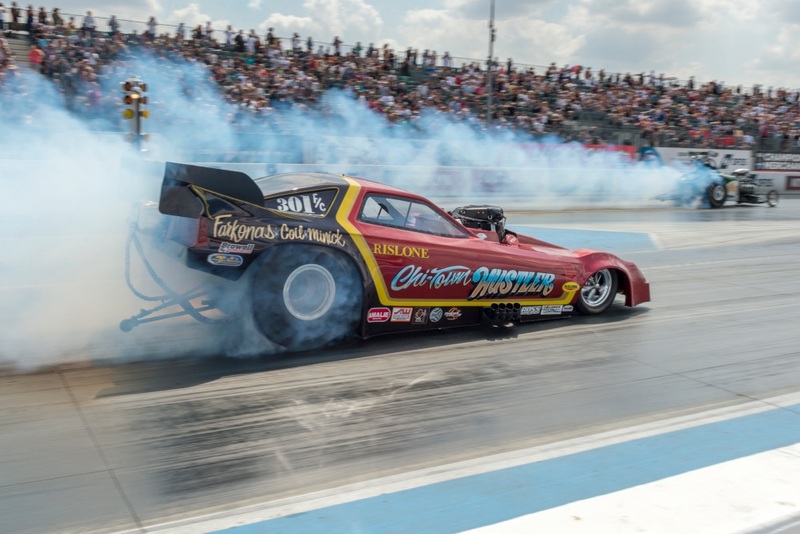 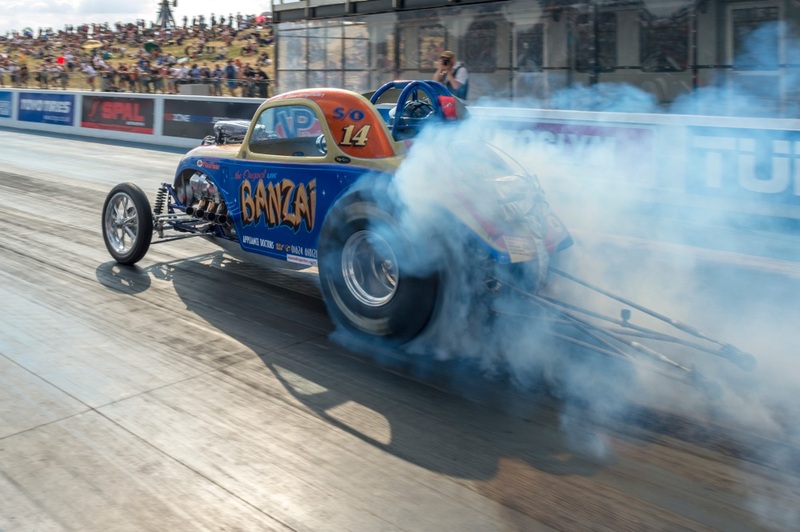 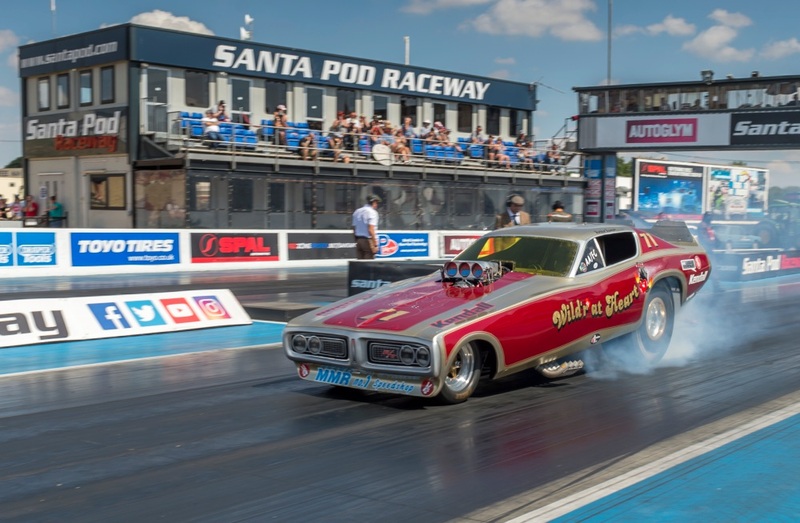 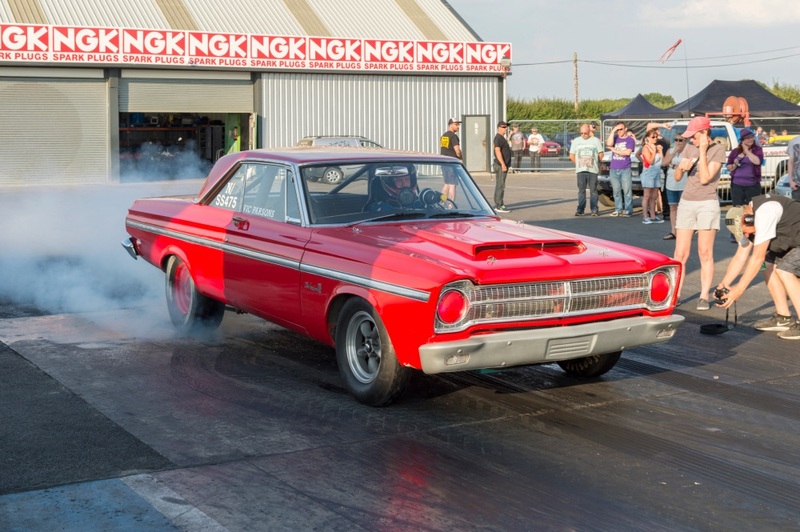 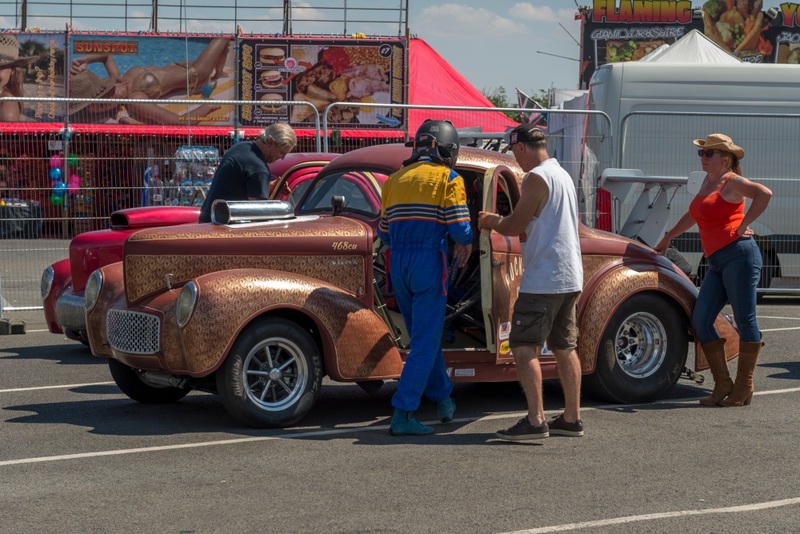 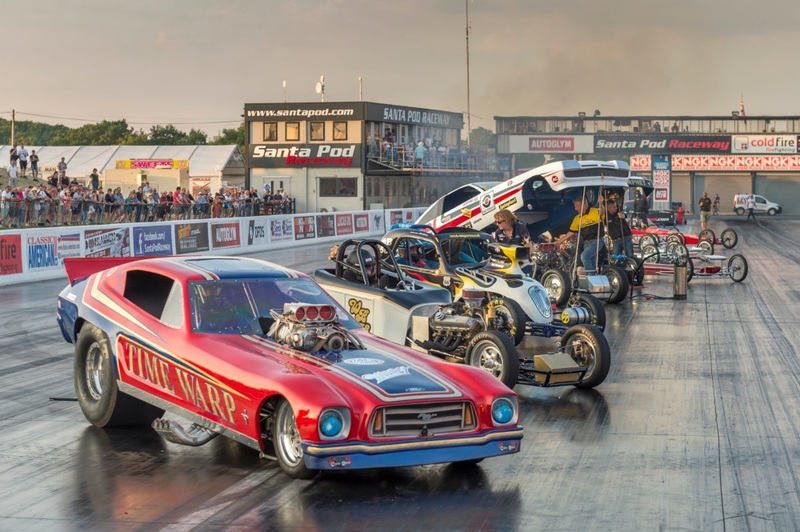 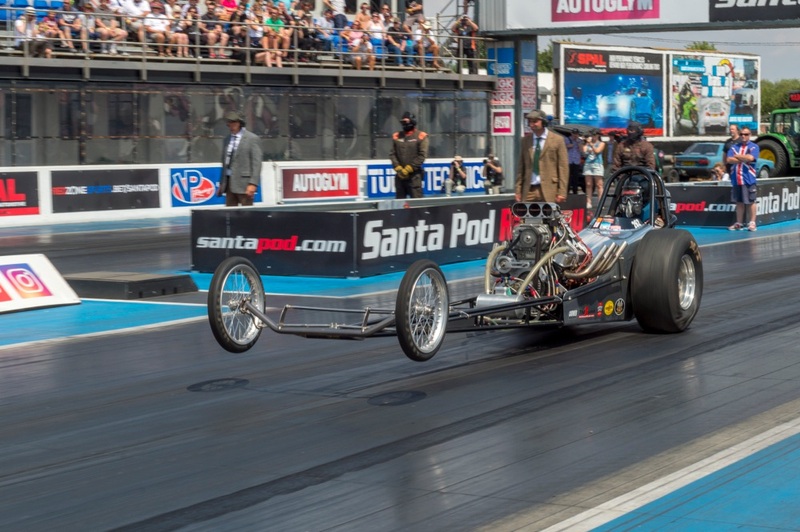 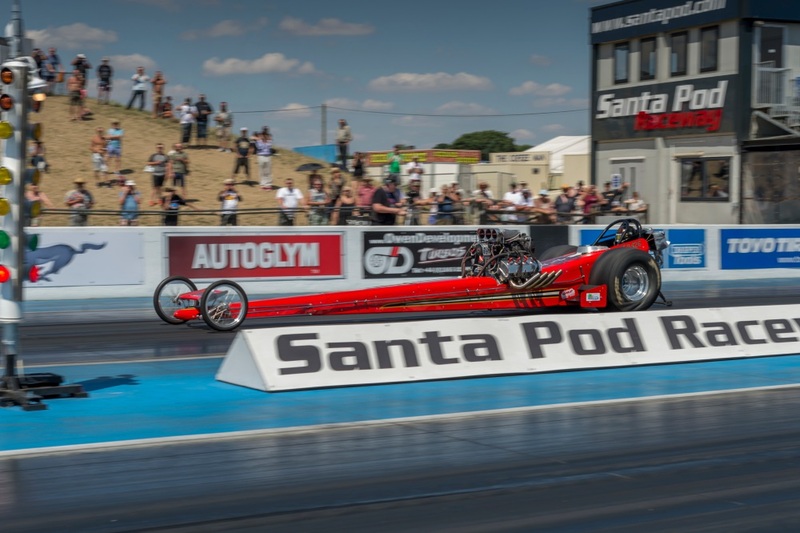 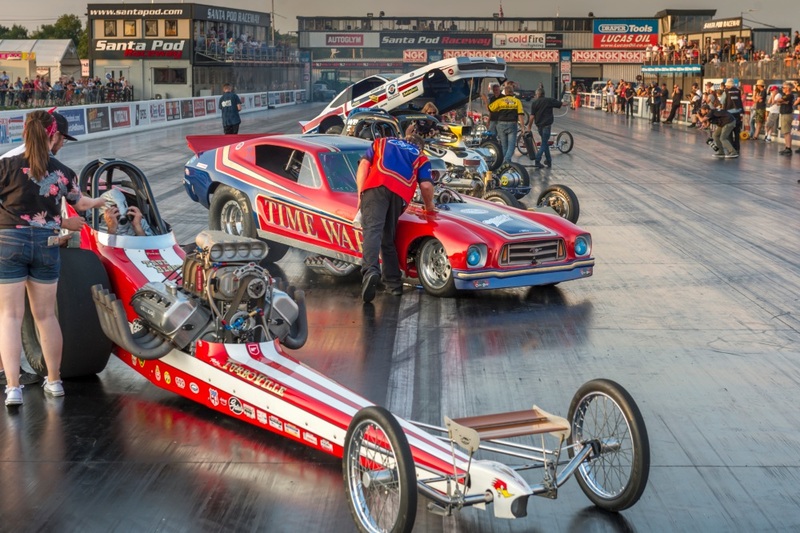 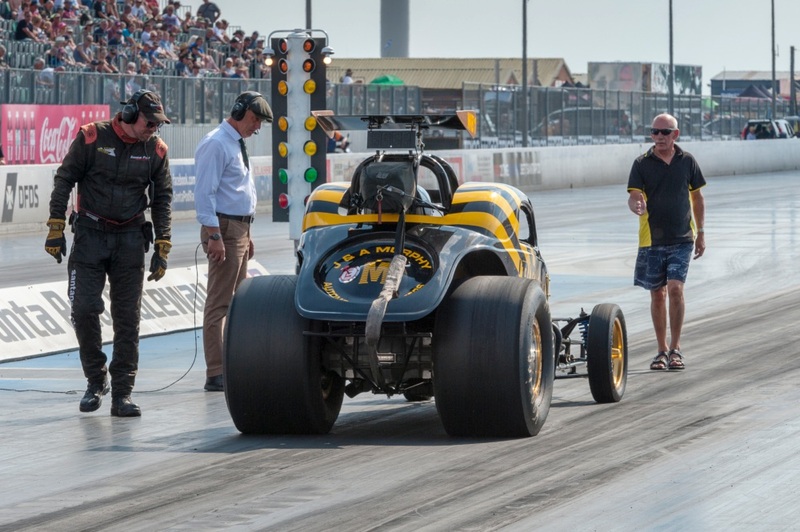 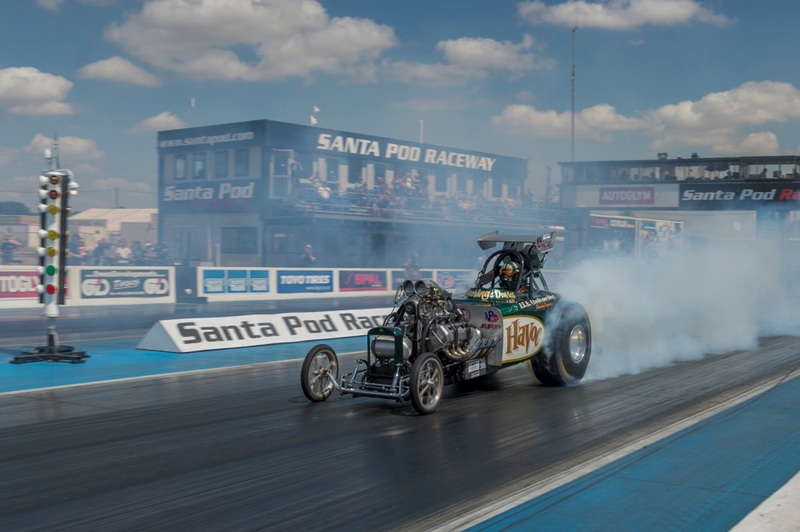 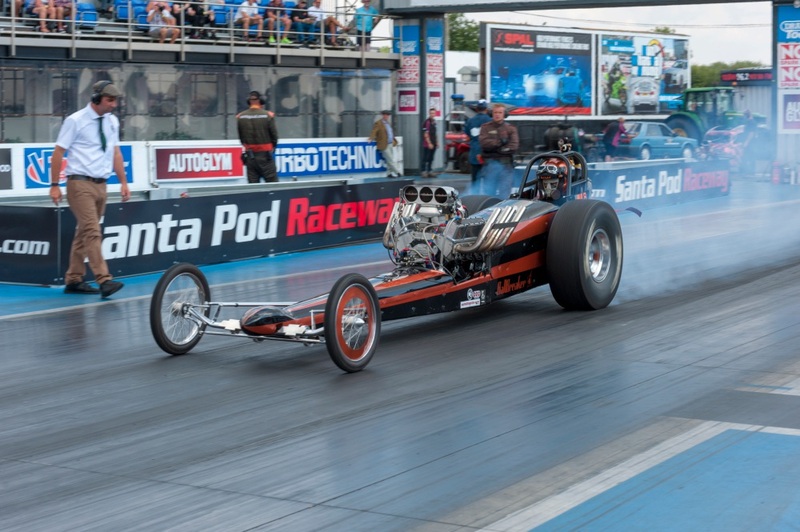 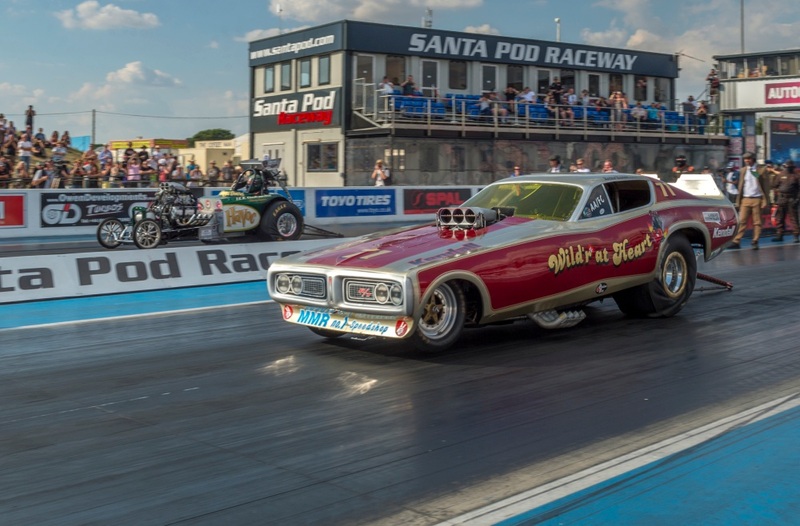 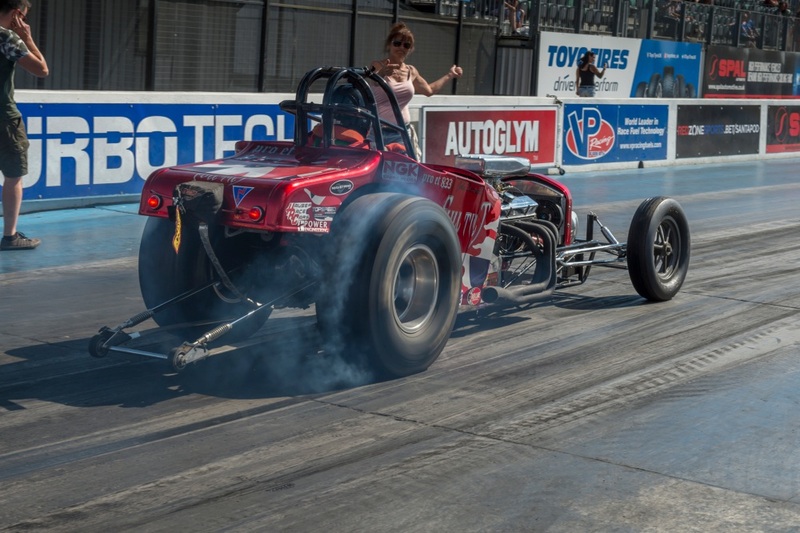 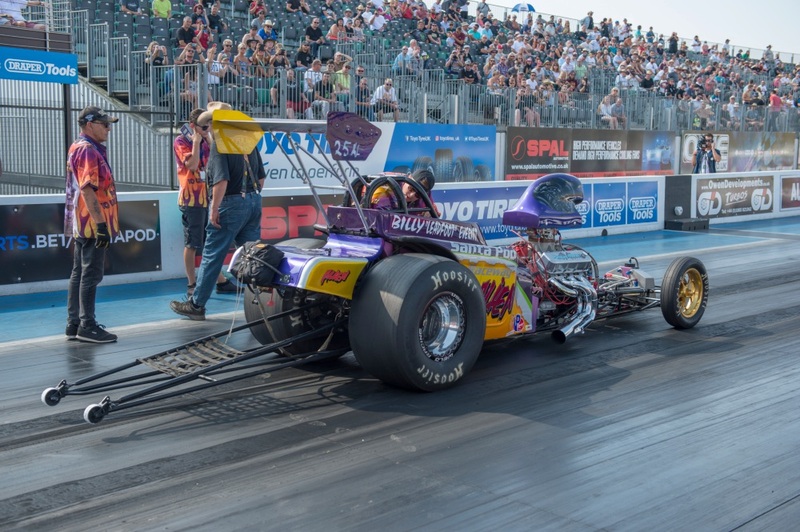 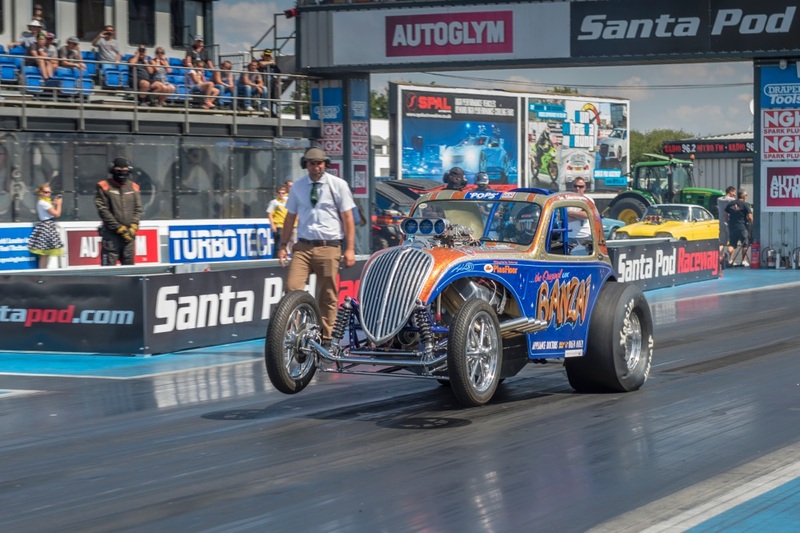 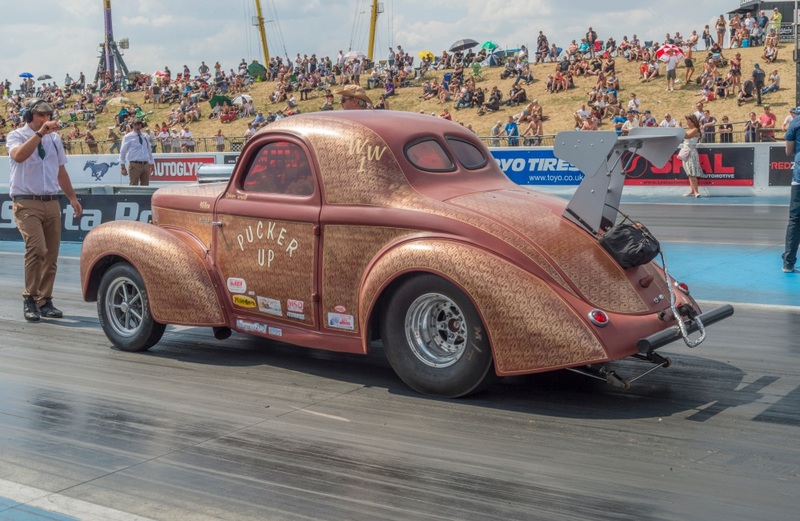 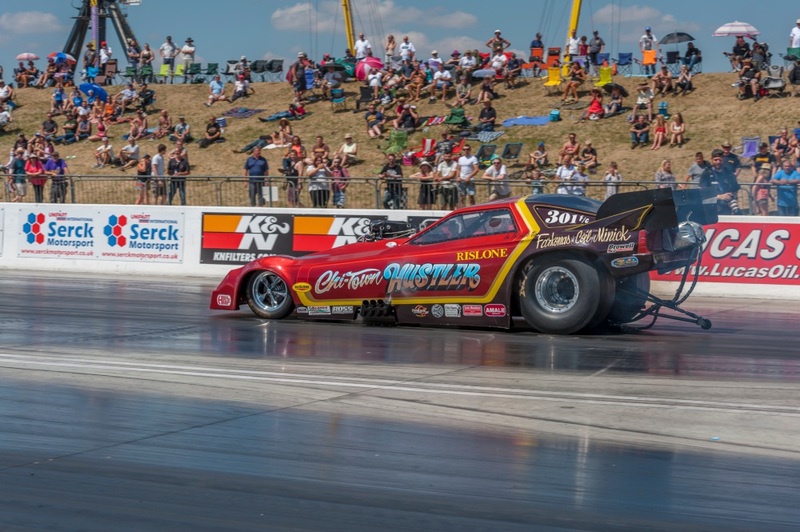 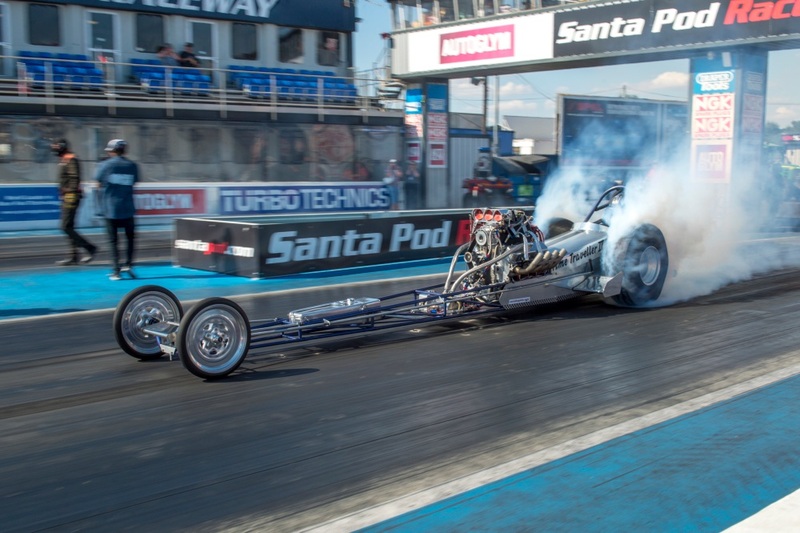 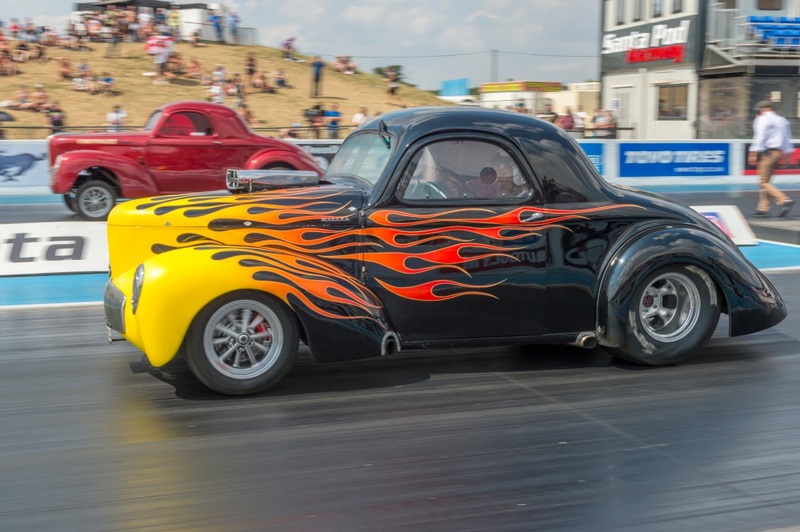 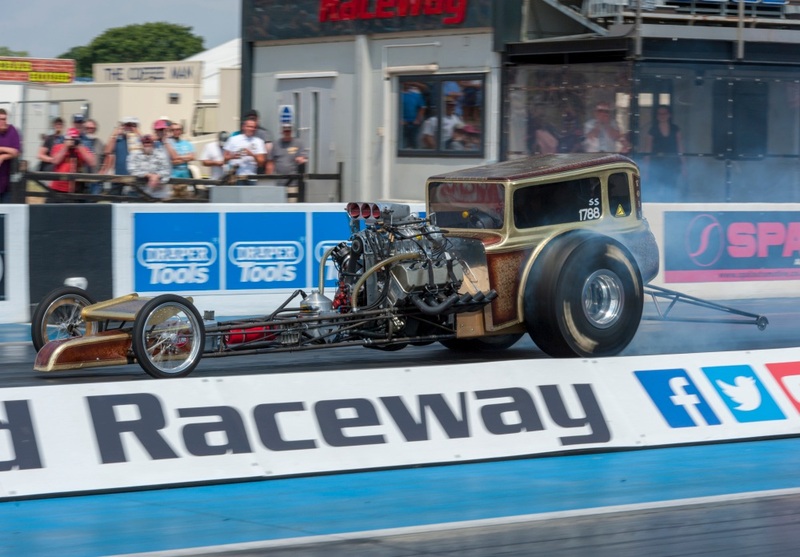 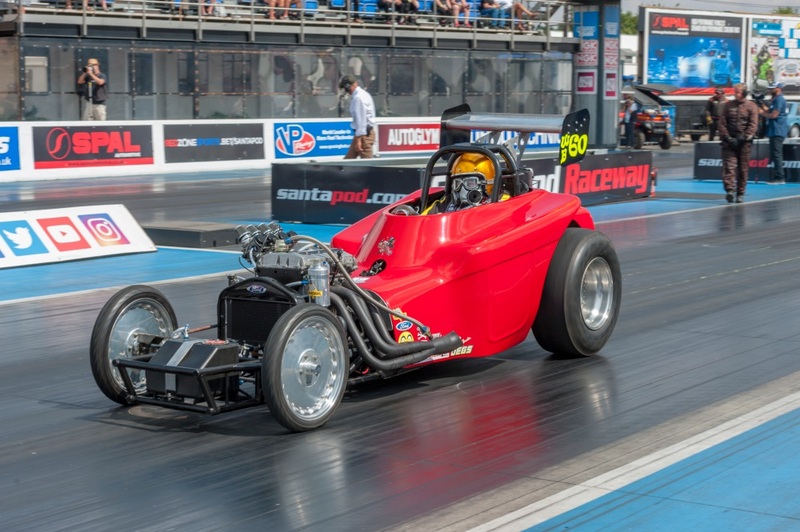 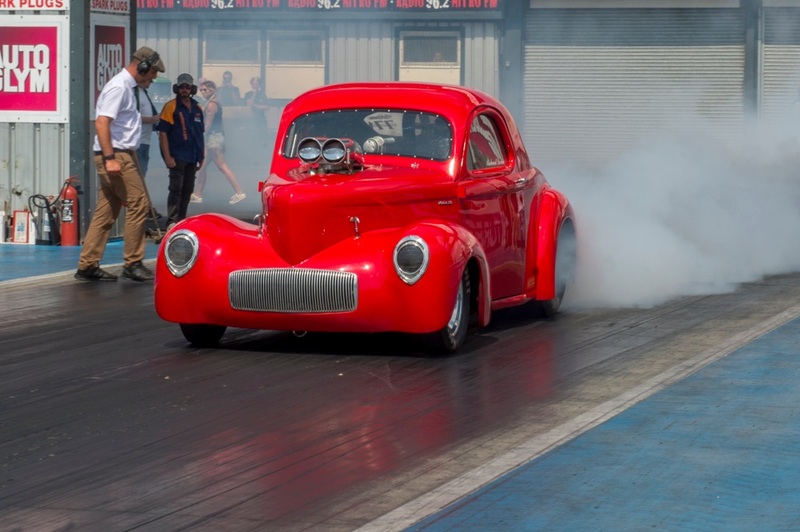 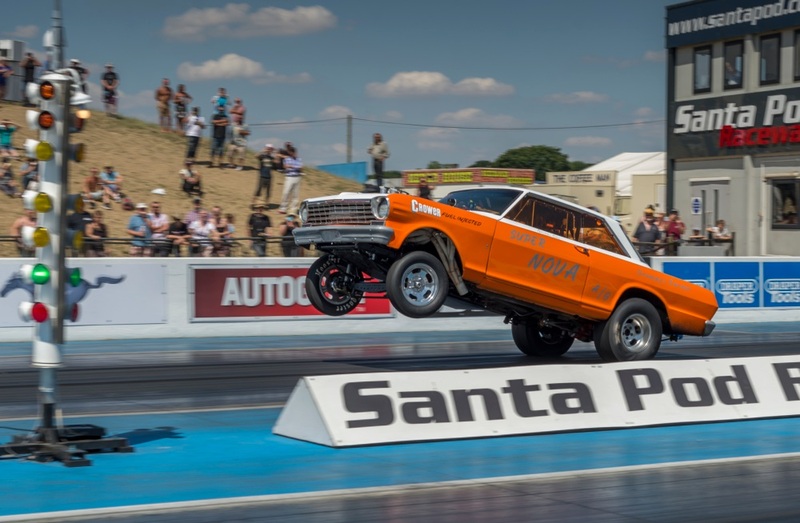 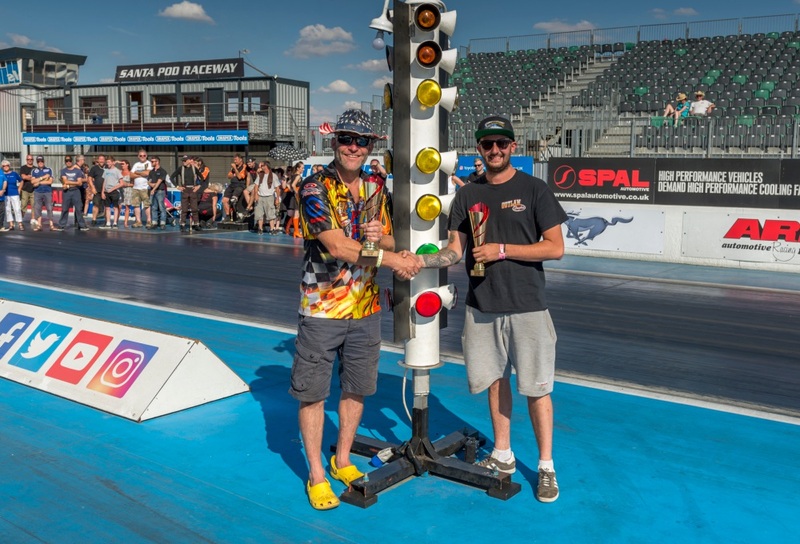 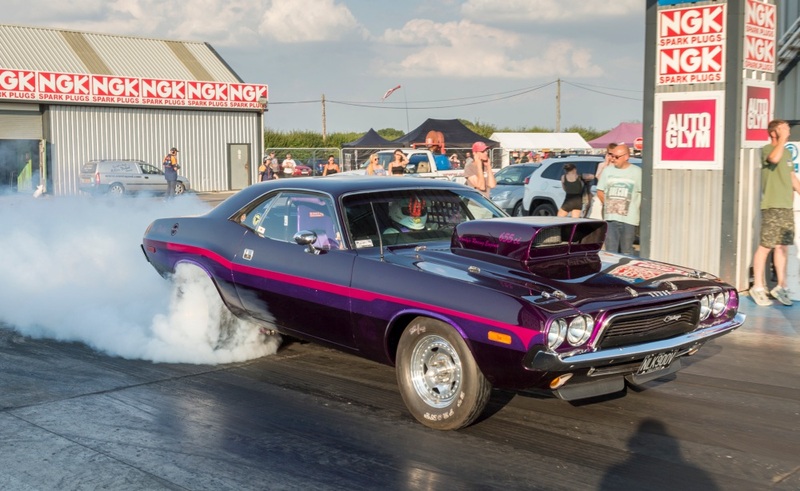 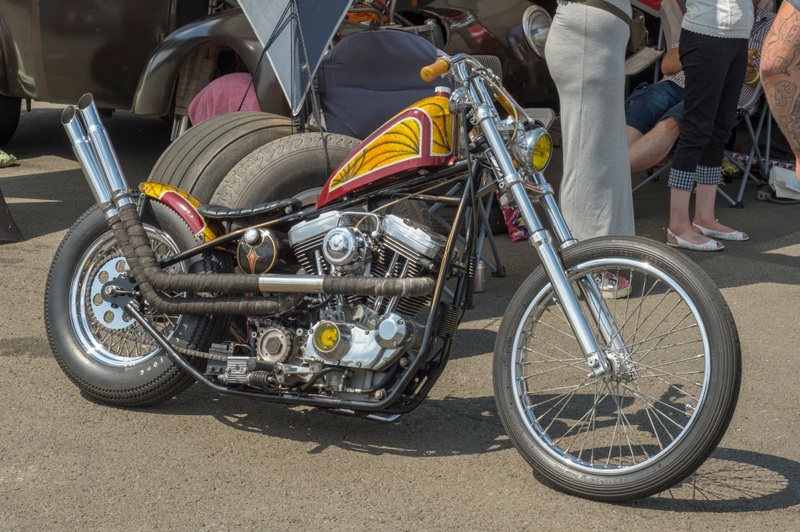 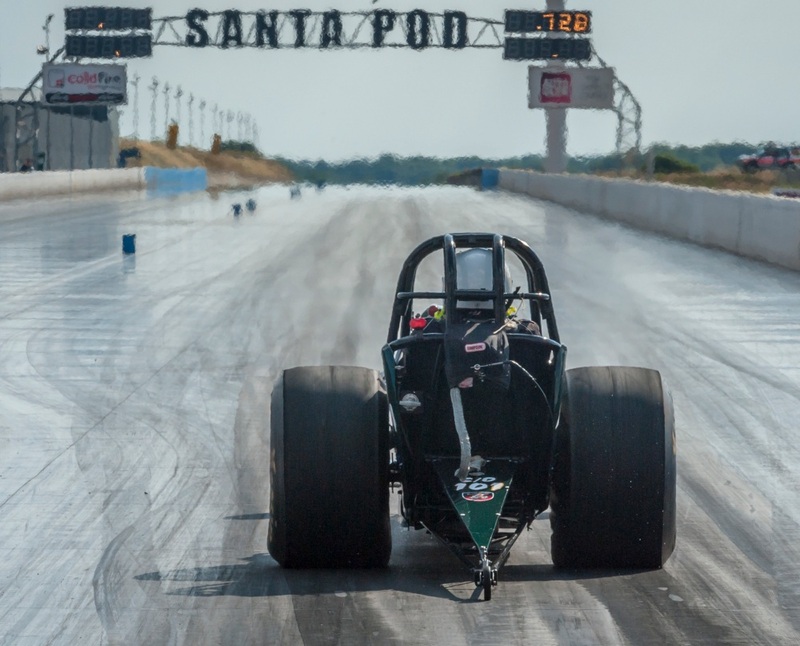 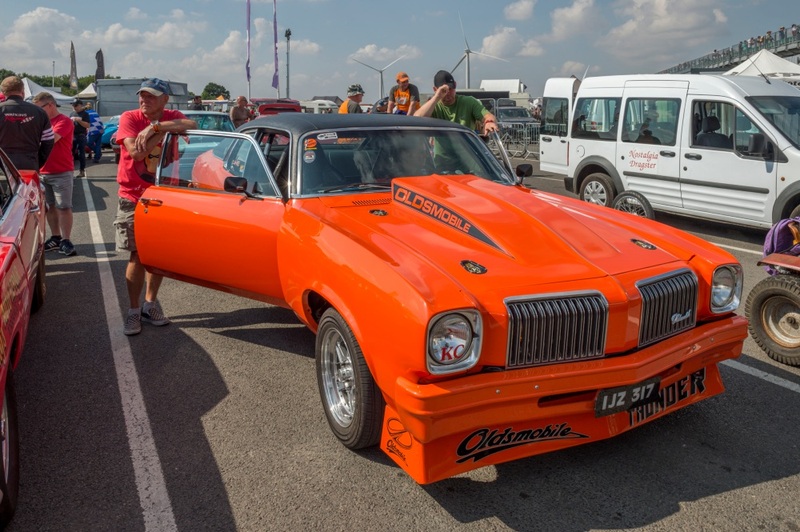 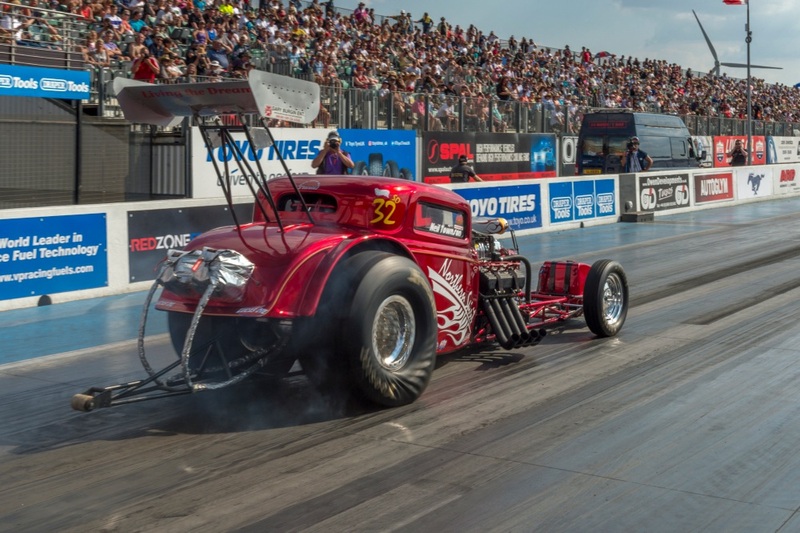 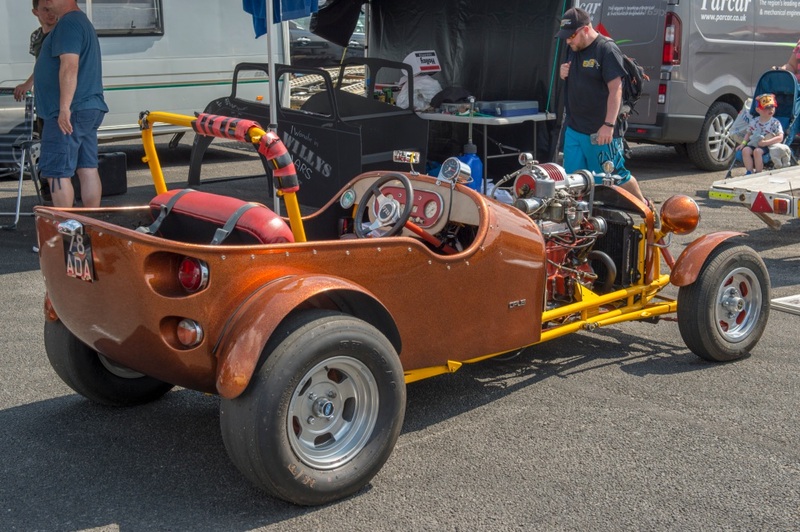 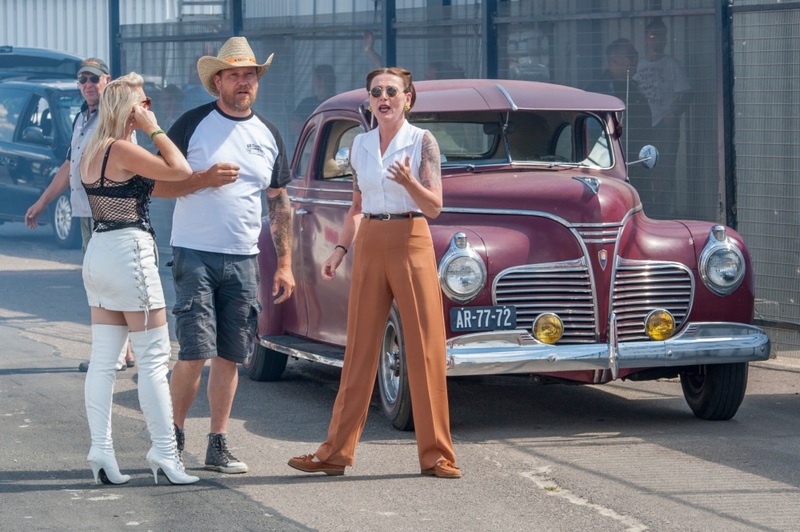 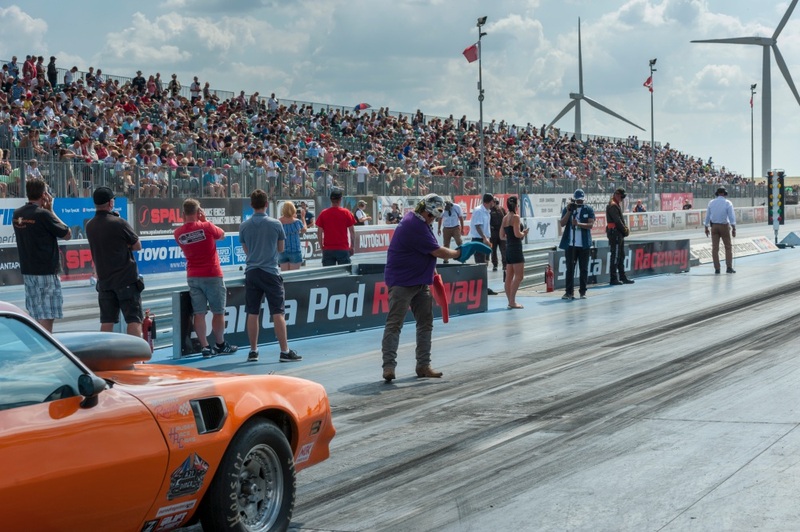 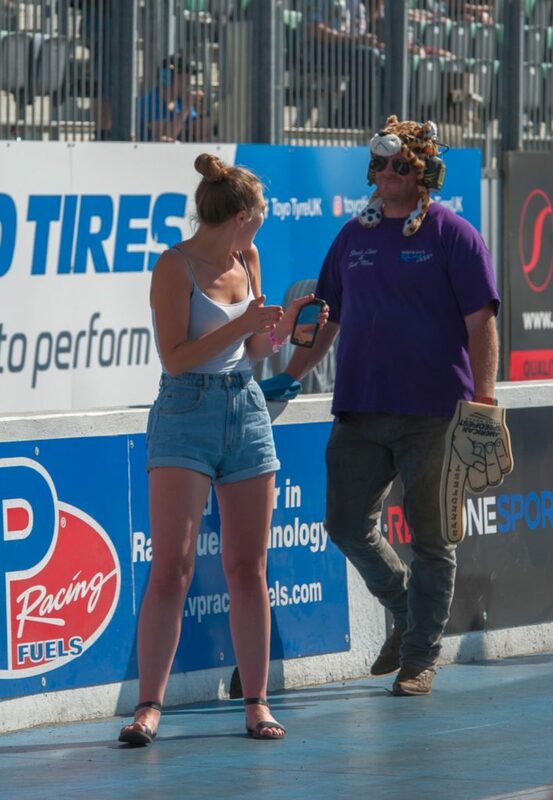 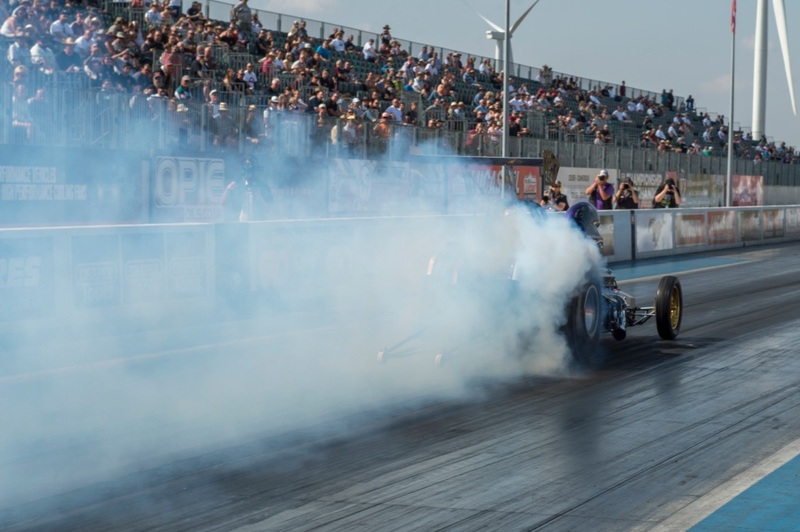 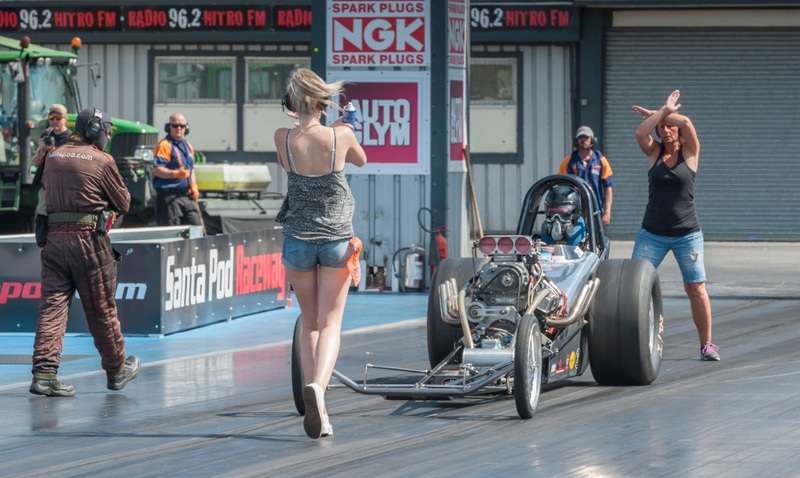 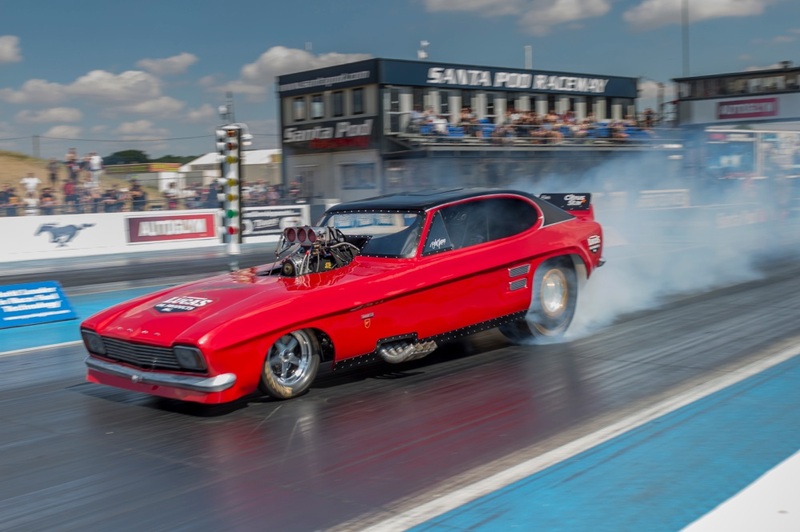 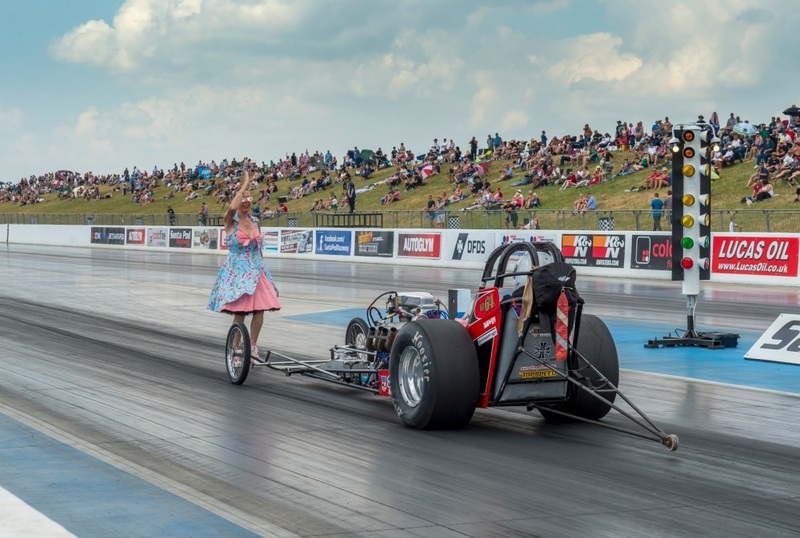 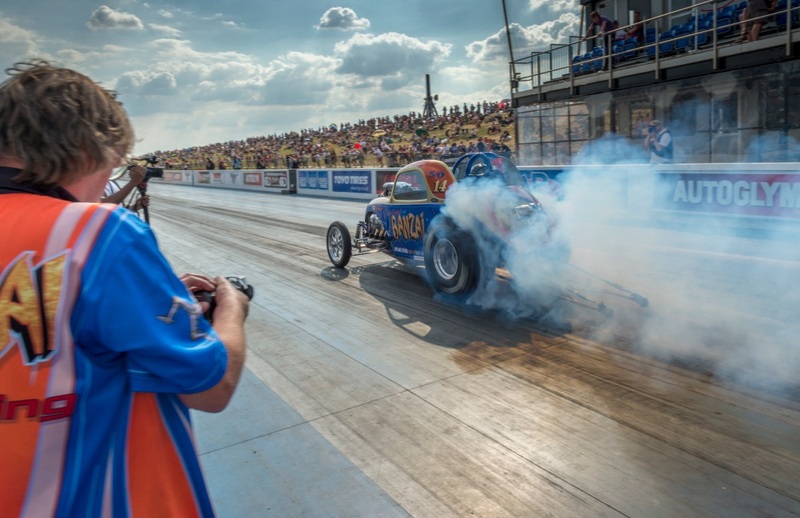 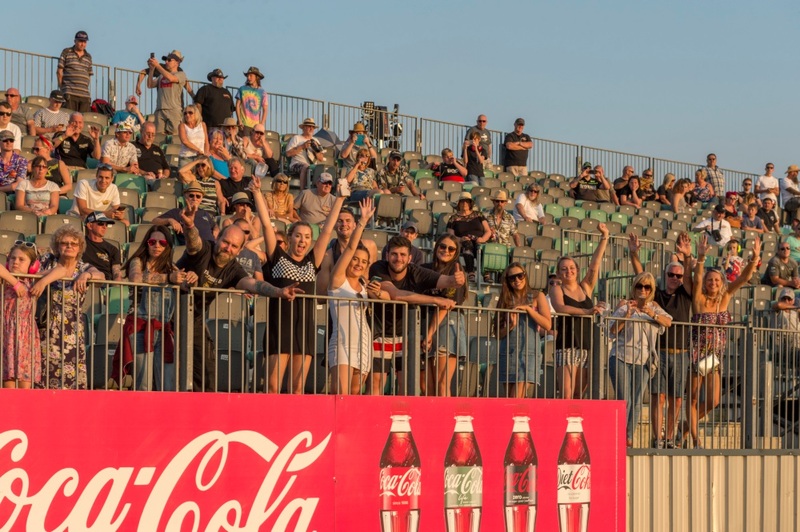 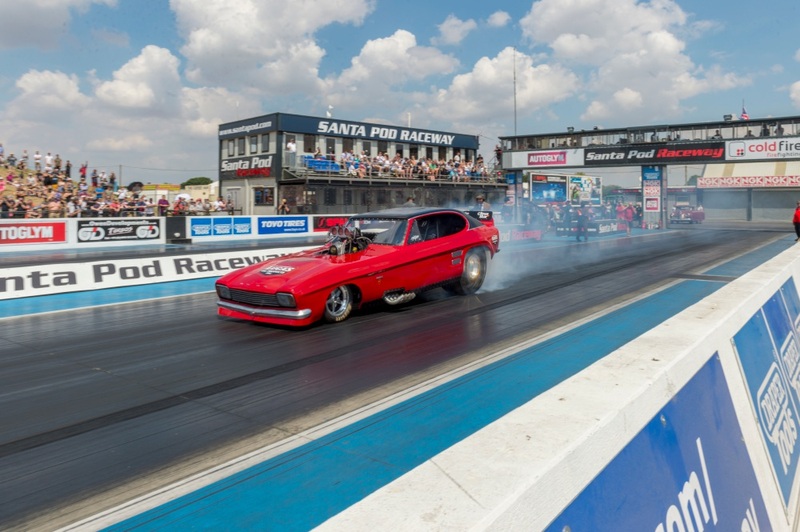 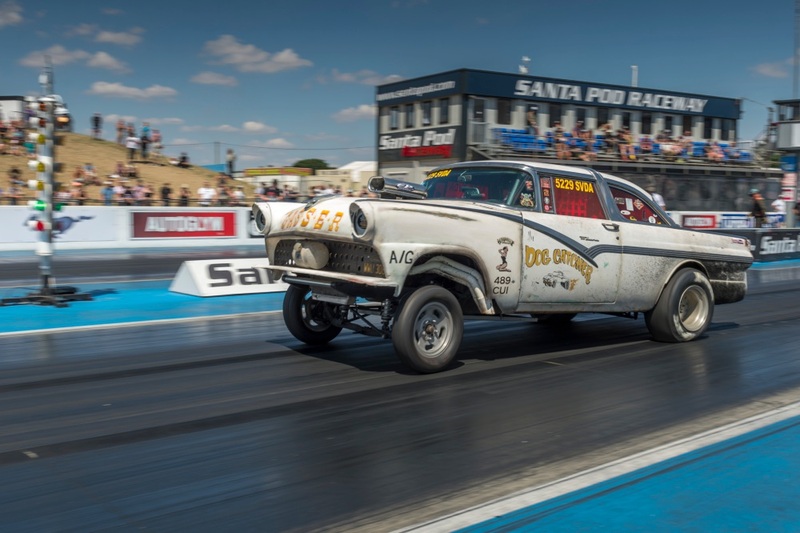 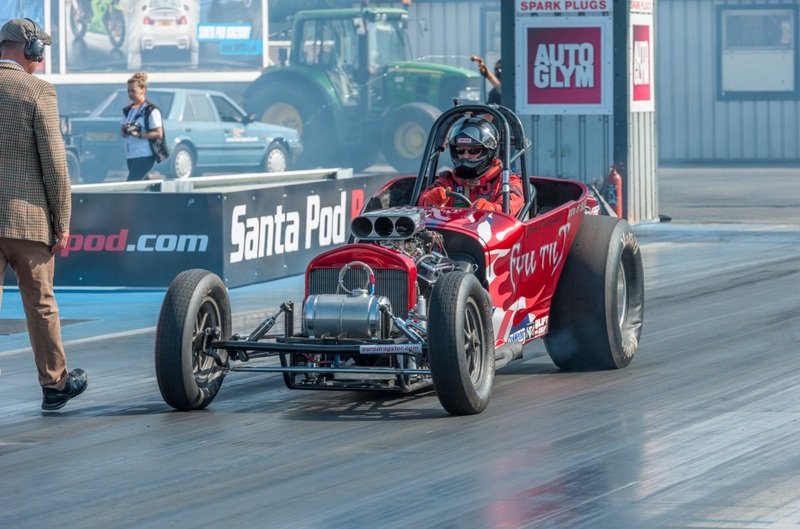 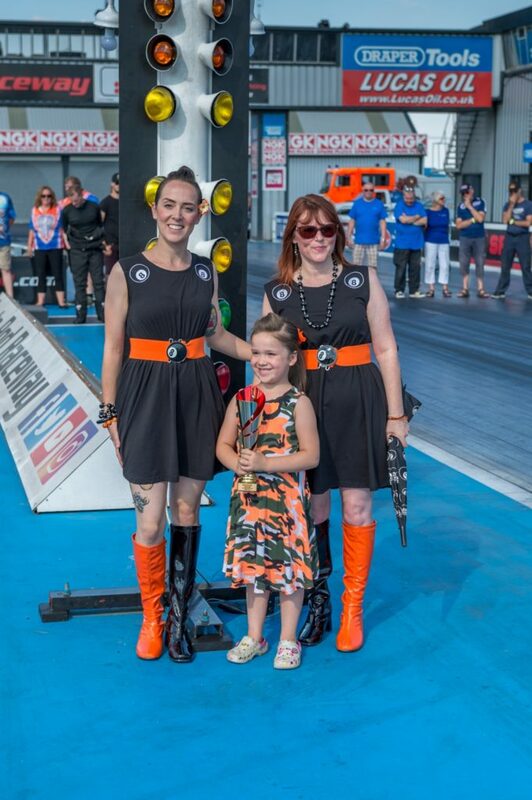 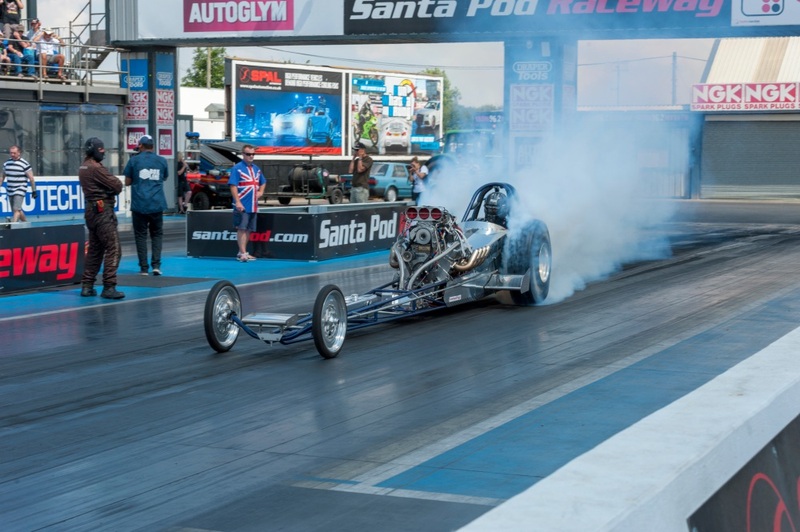 However, if you’ve never made it, the sizzling temperatures at Santa Pod were about as close as Dragstalgia could have got to Bakersfield, California, a comment we heard repeated many times over the weekend. 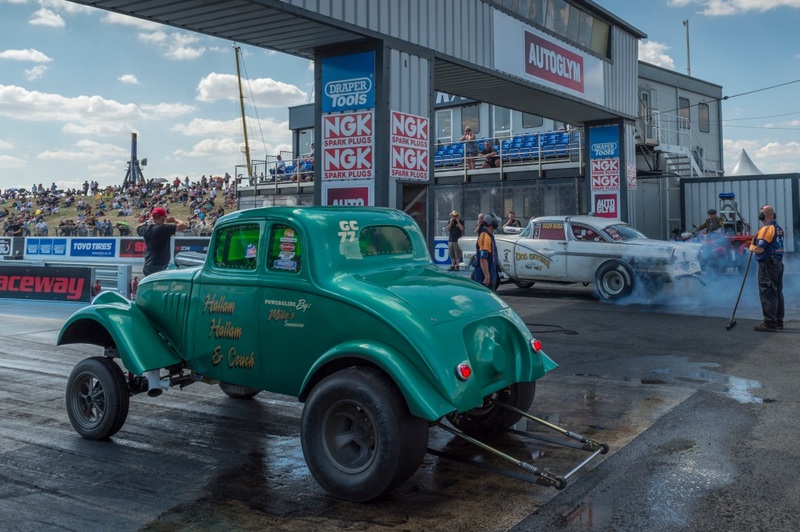 With shoot outs over the weekend for the Gasser Circus, The Wild Bunch, the ever growing Willys Wars, the Slingshot Showdown, and the Outlaw Anglia’s, there was no shortage of on- track action, and without any significant stoppages, the cars (and bikes) just kept coming. 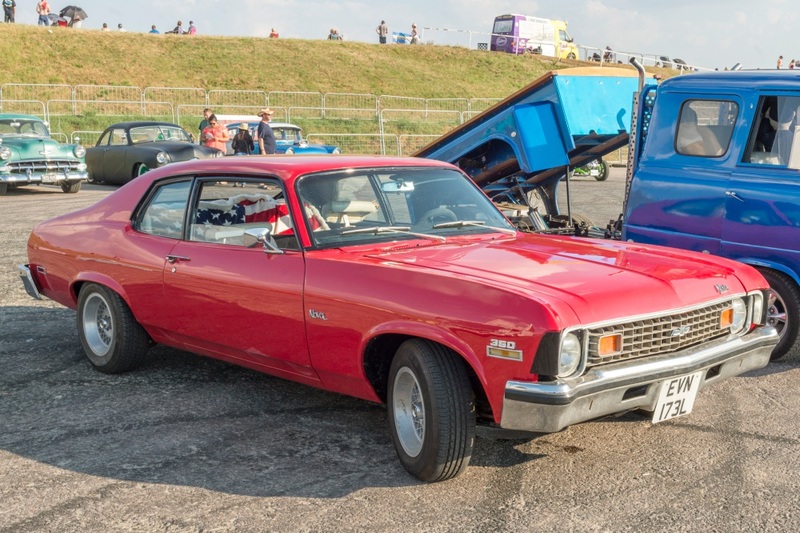 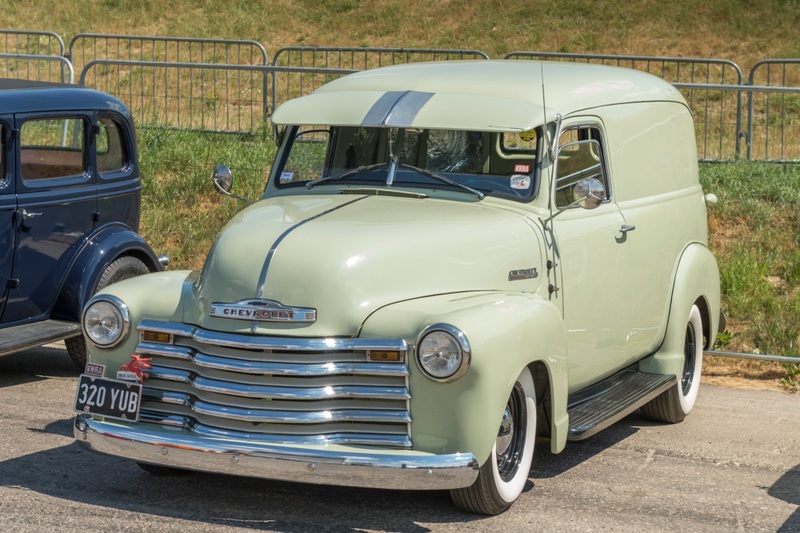 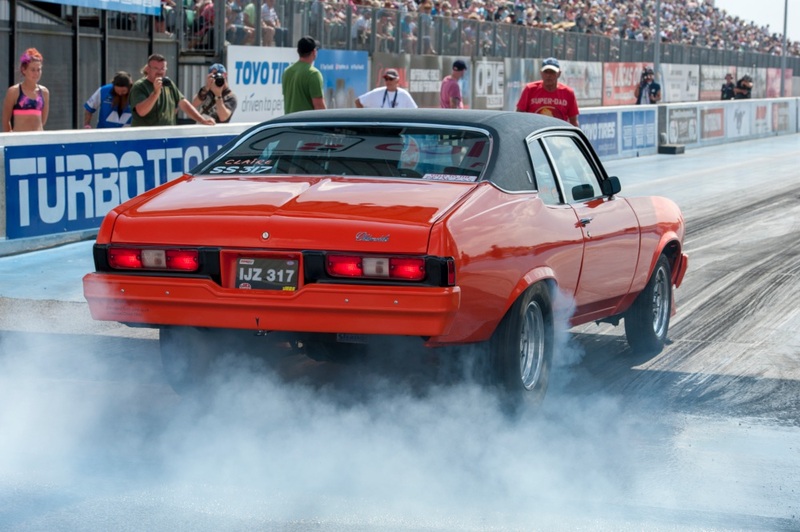 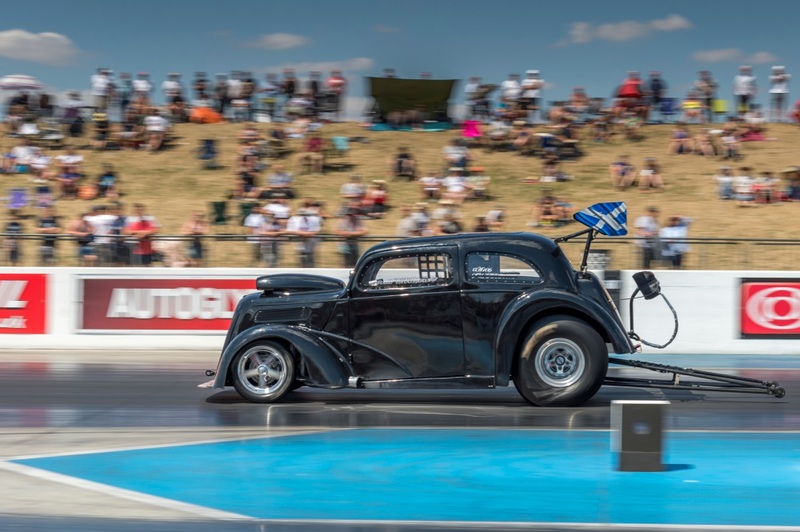 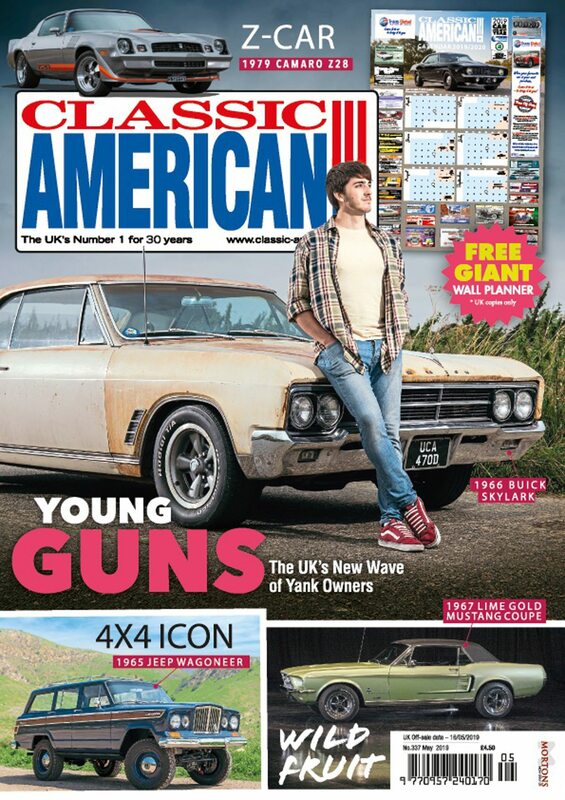 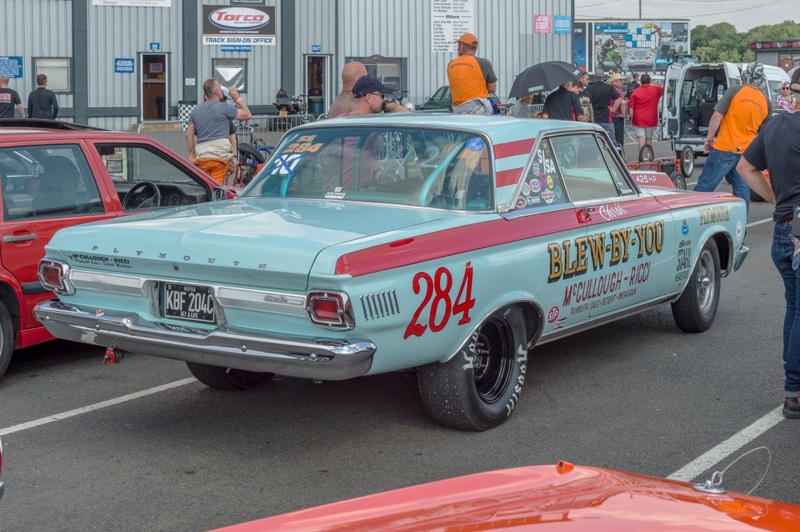 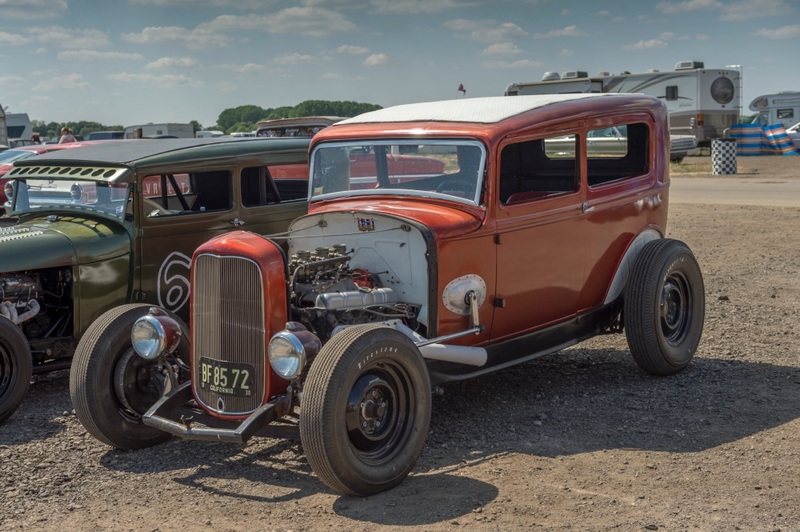 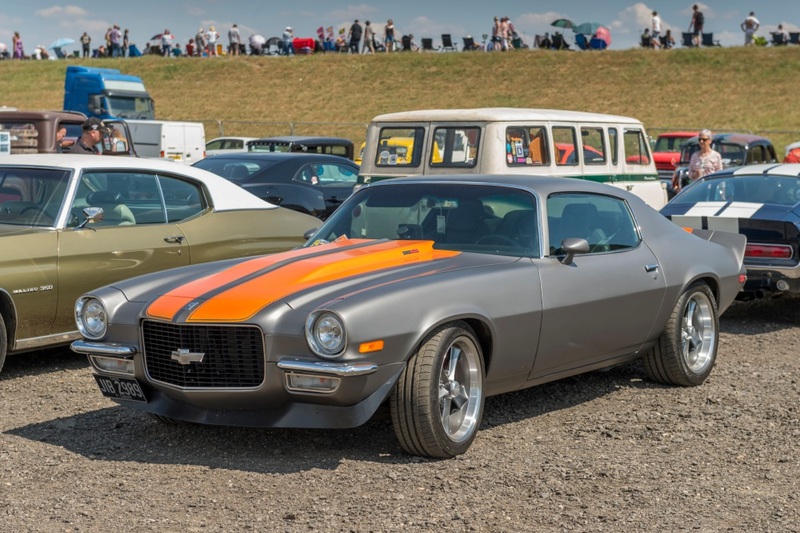 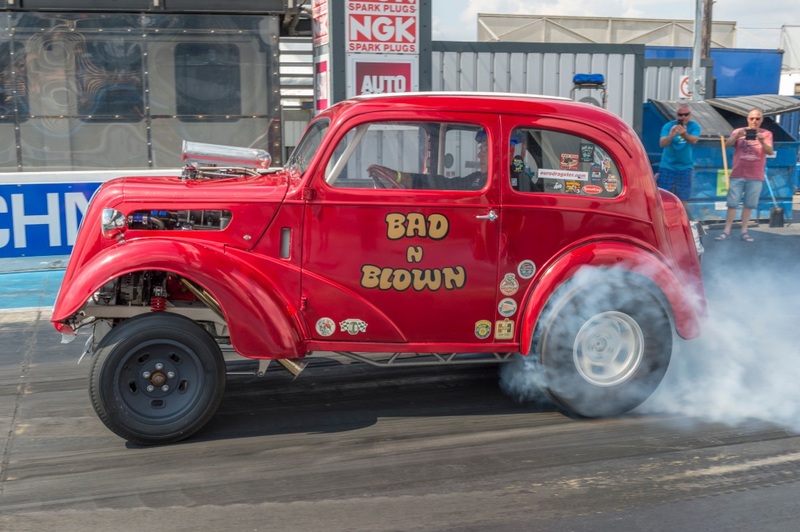 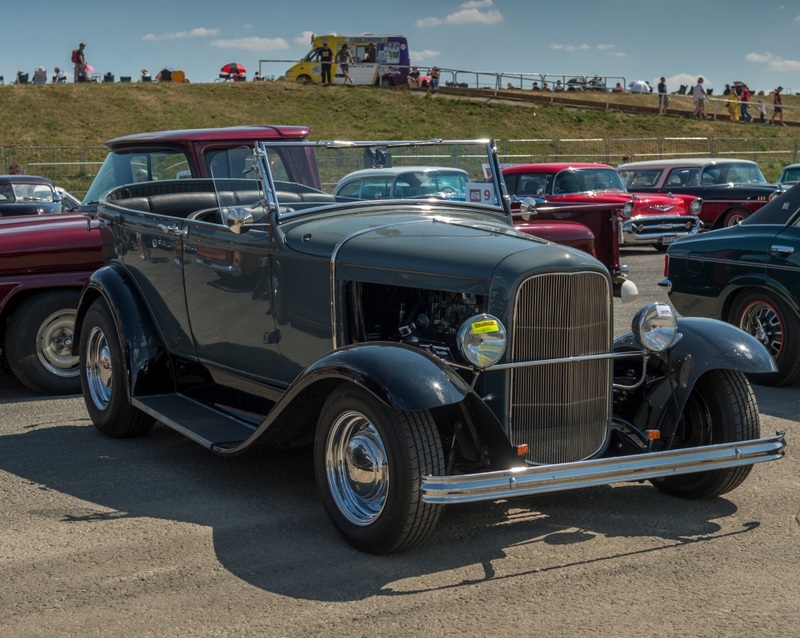 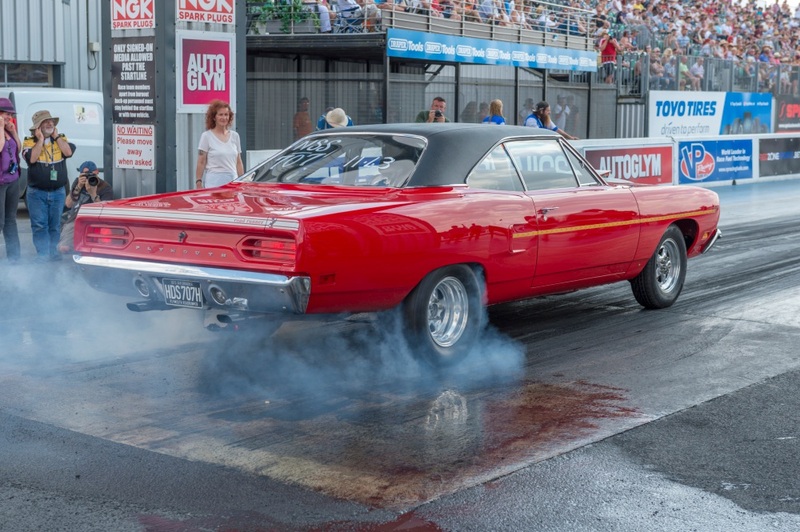 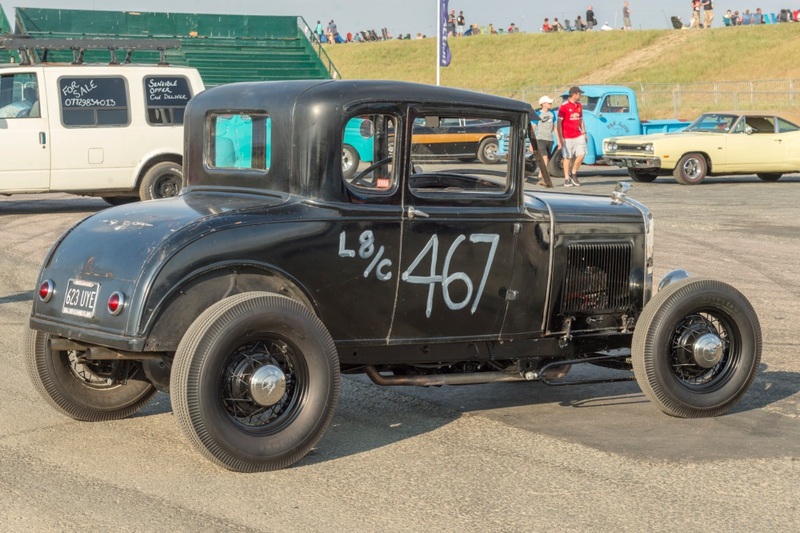 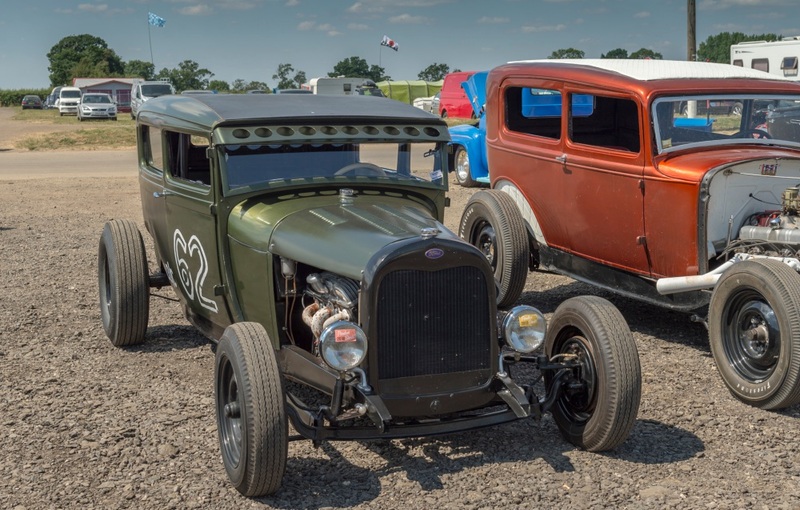 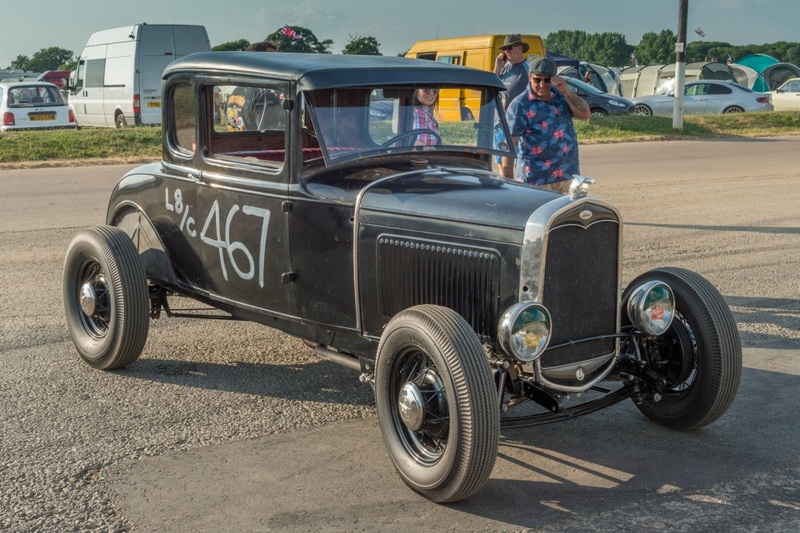 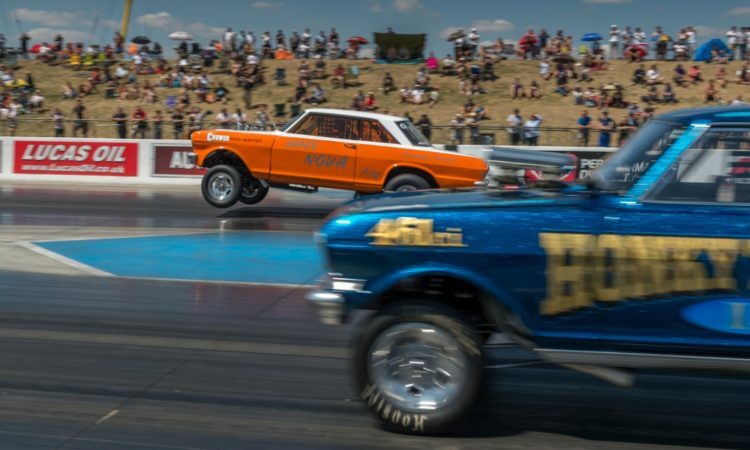 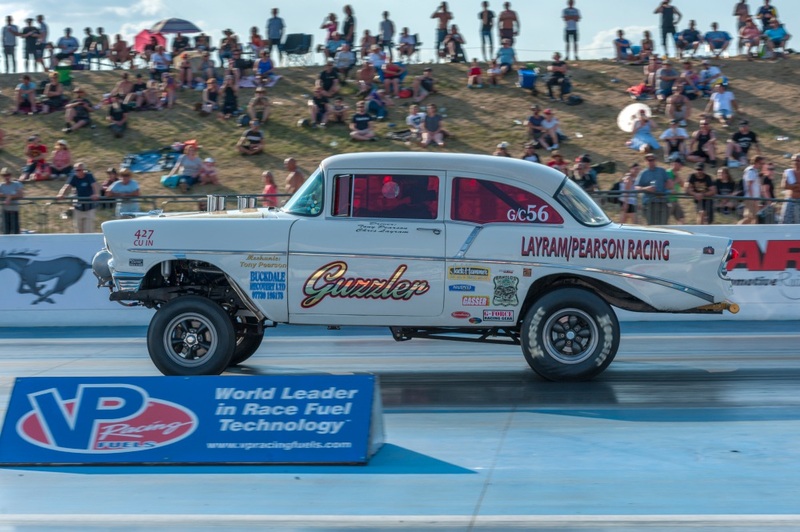 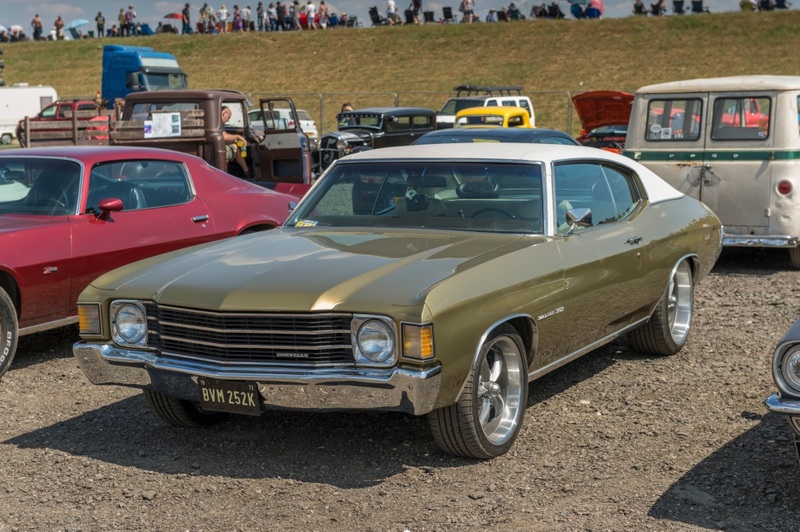 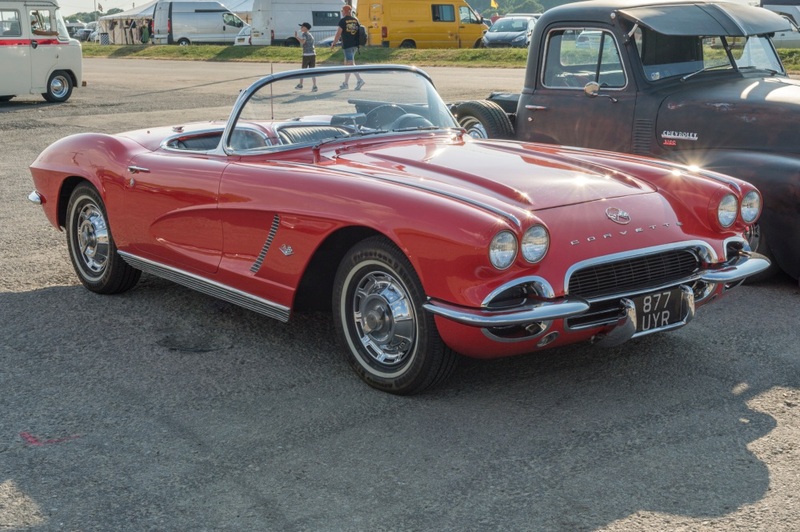 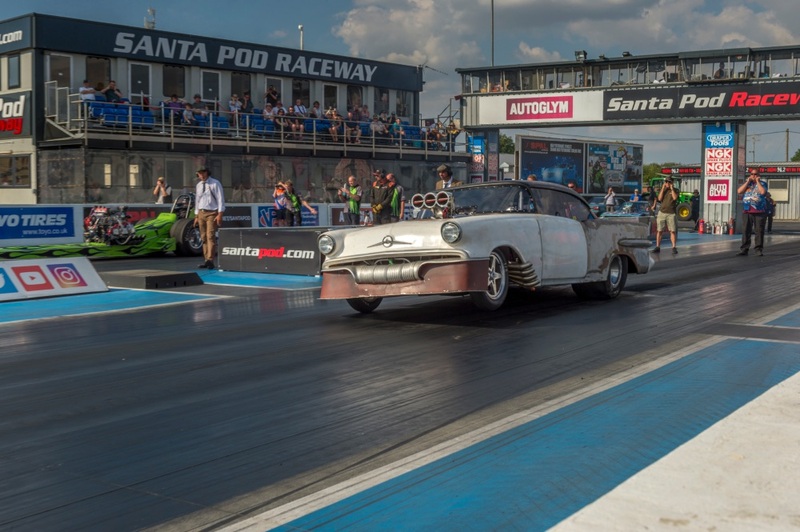 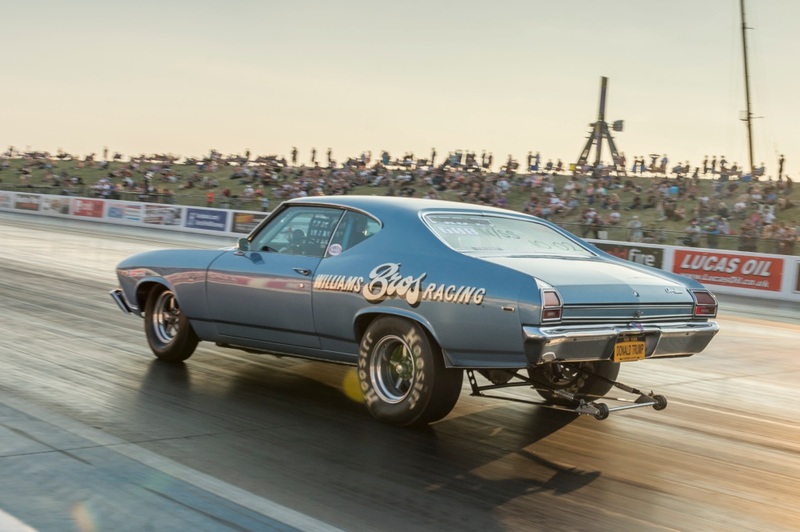 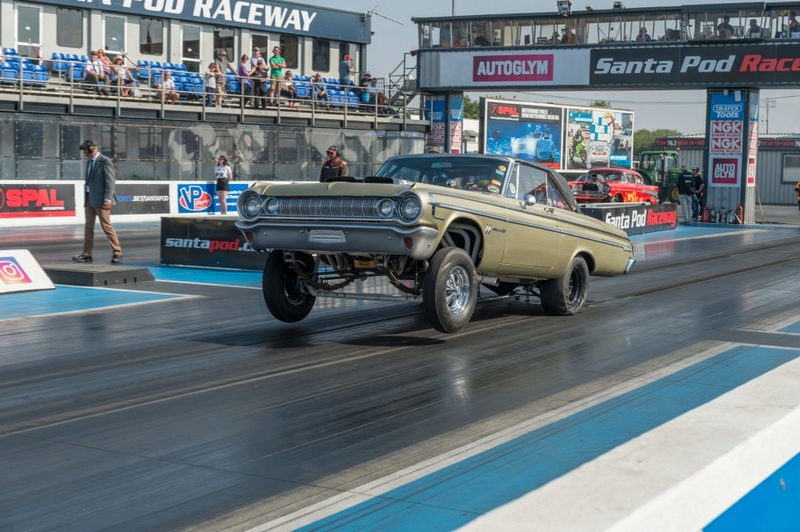 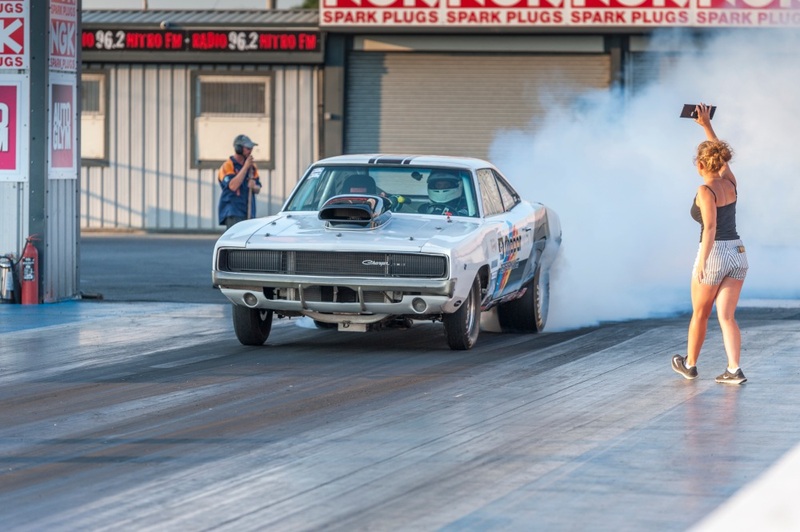 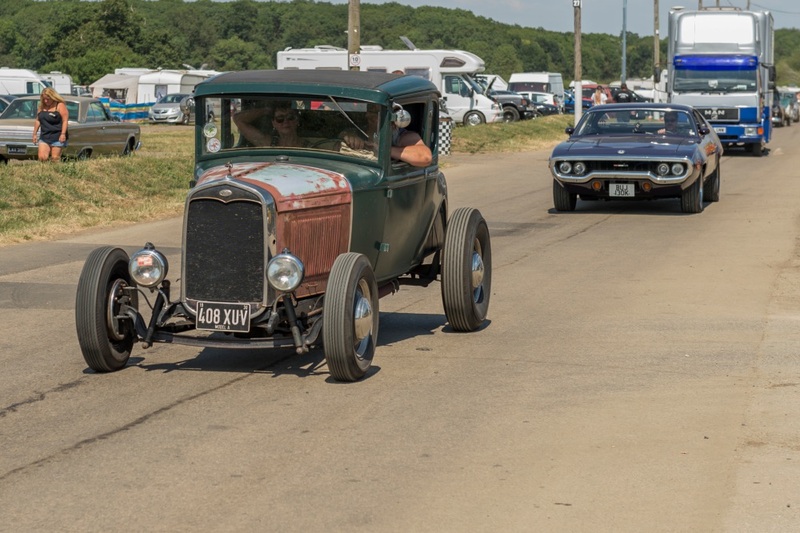 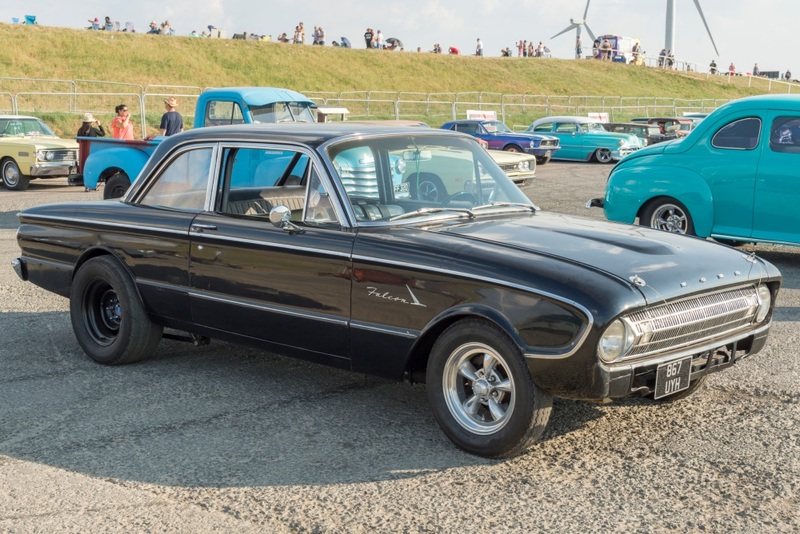 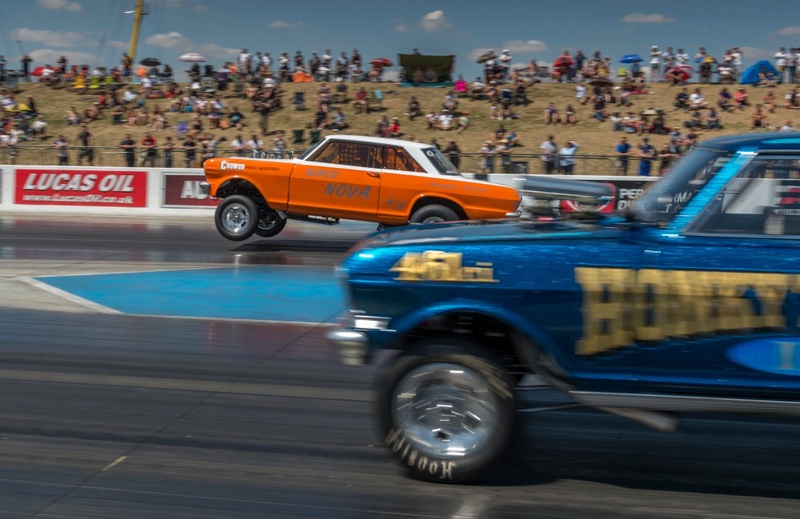 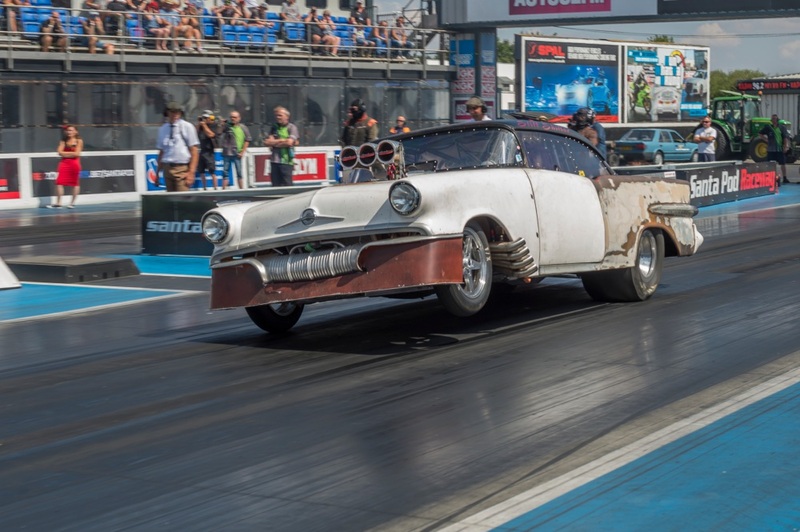 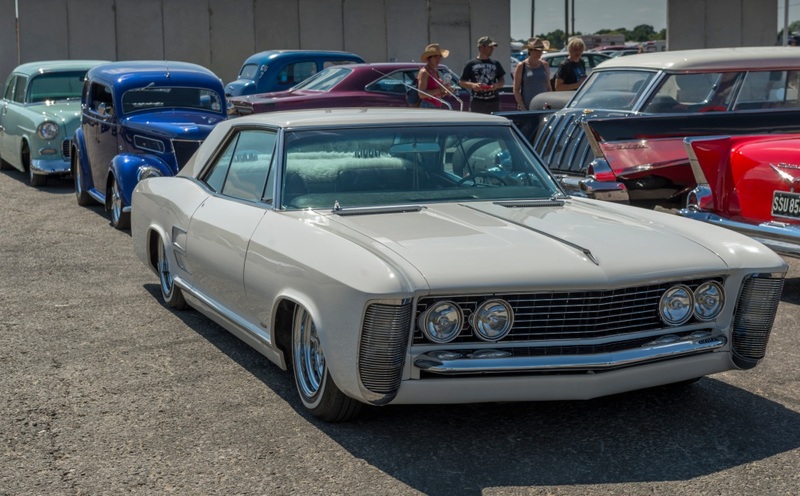 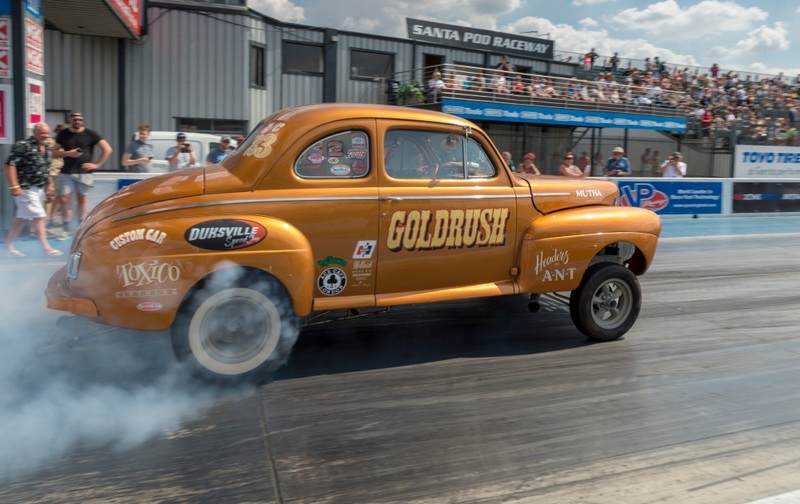 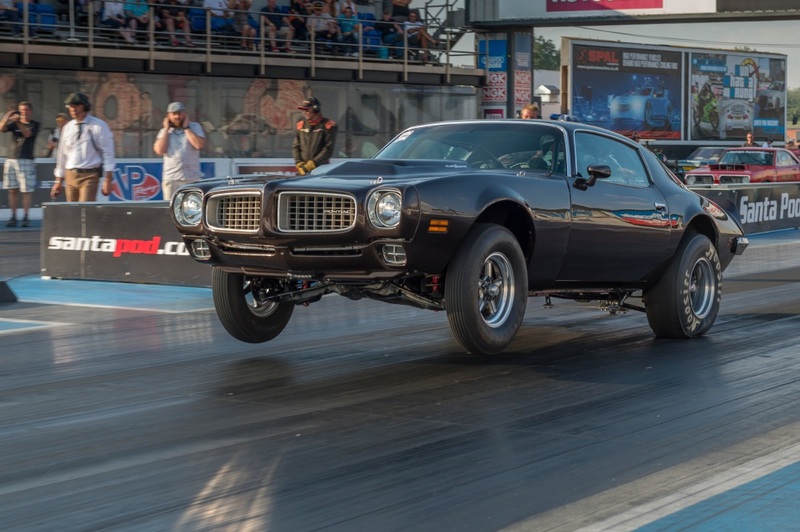 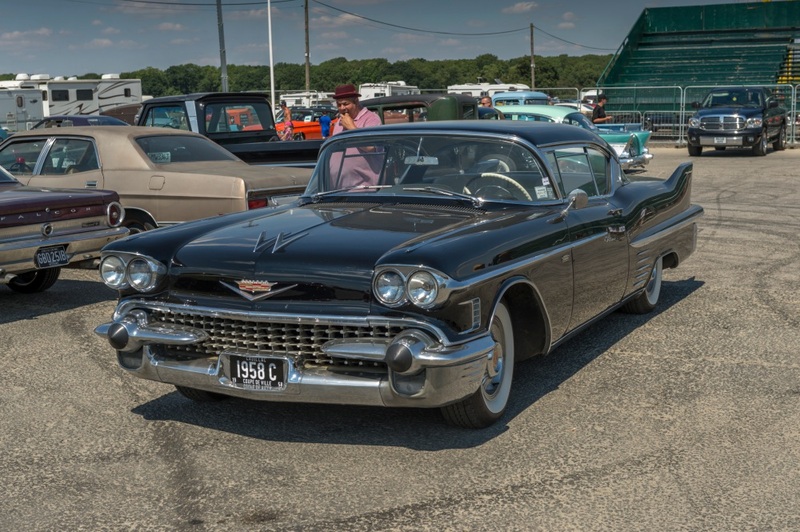 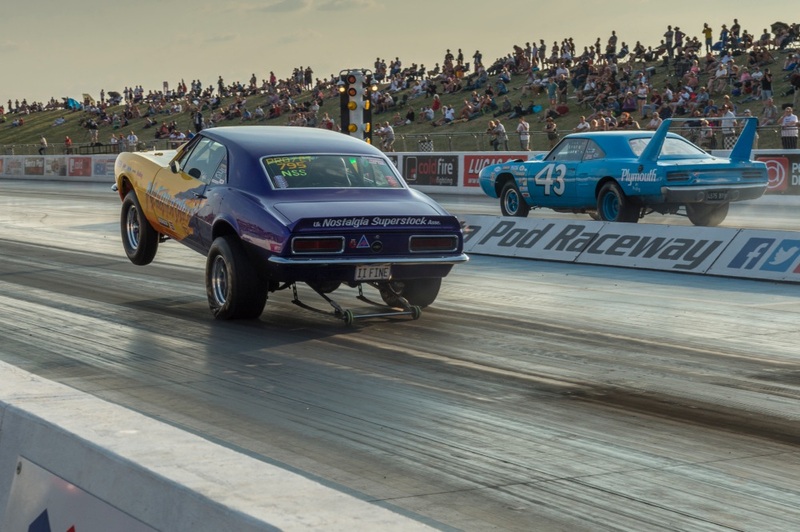 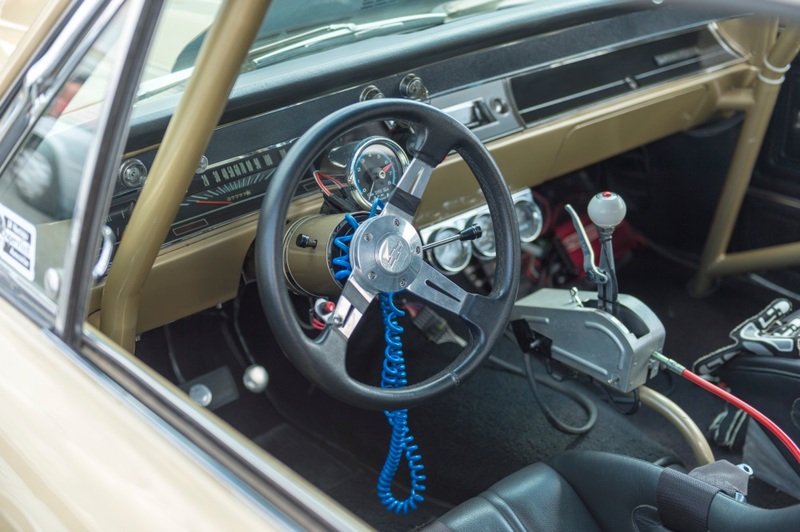 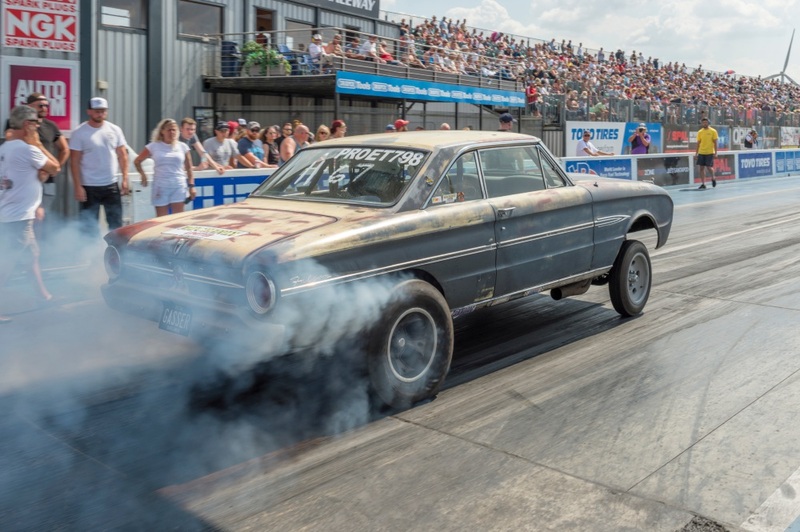 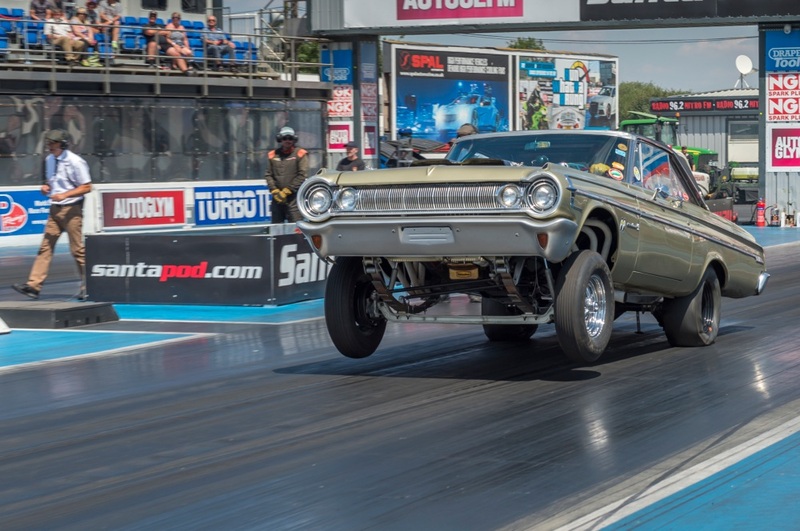 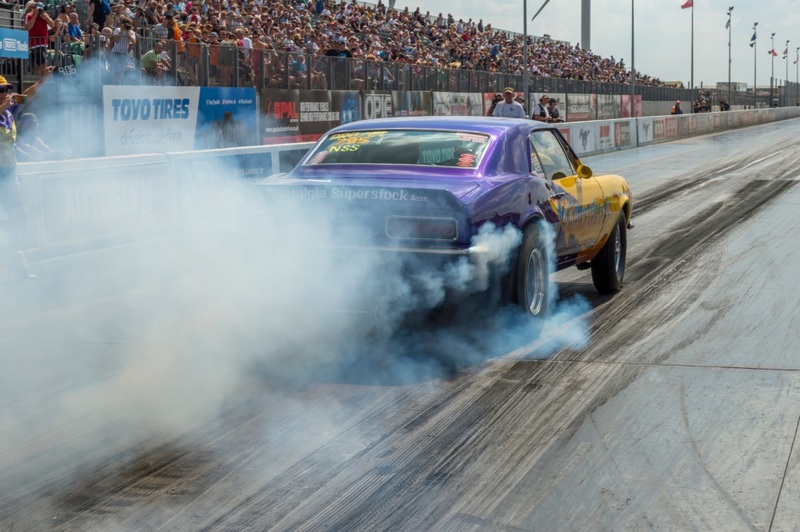 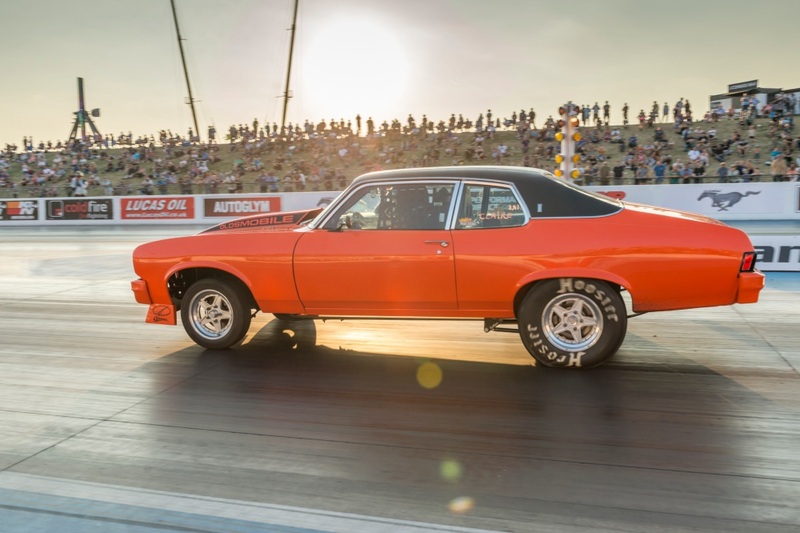 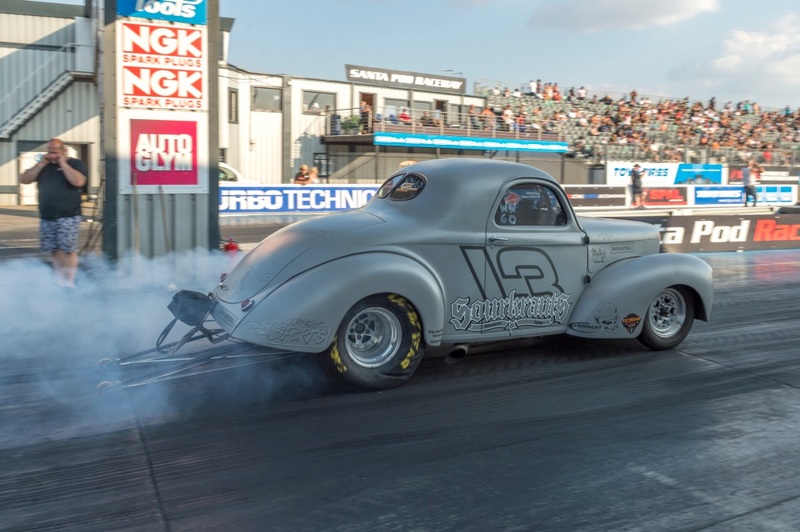 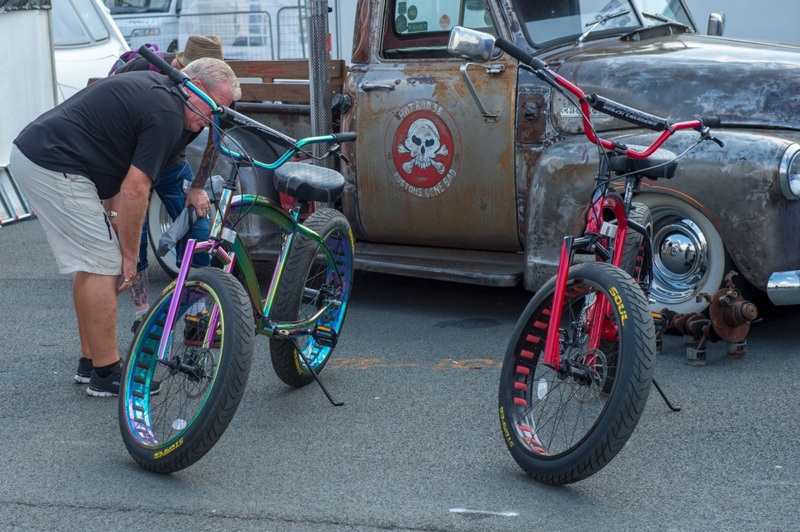 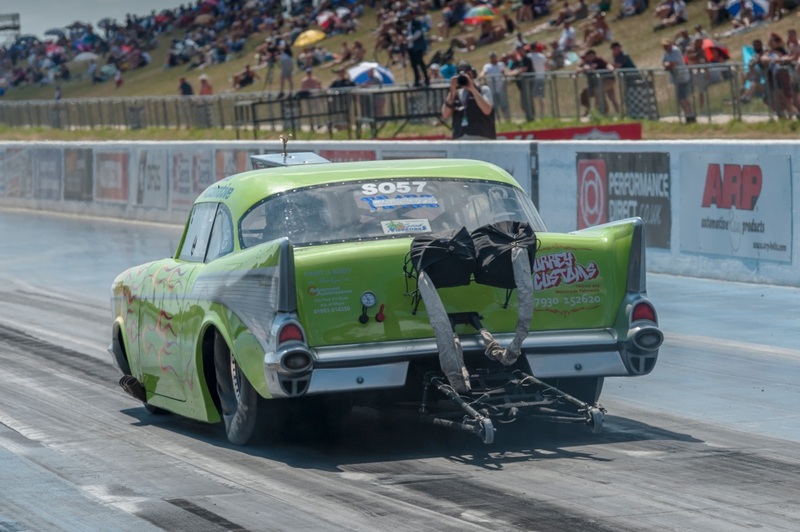 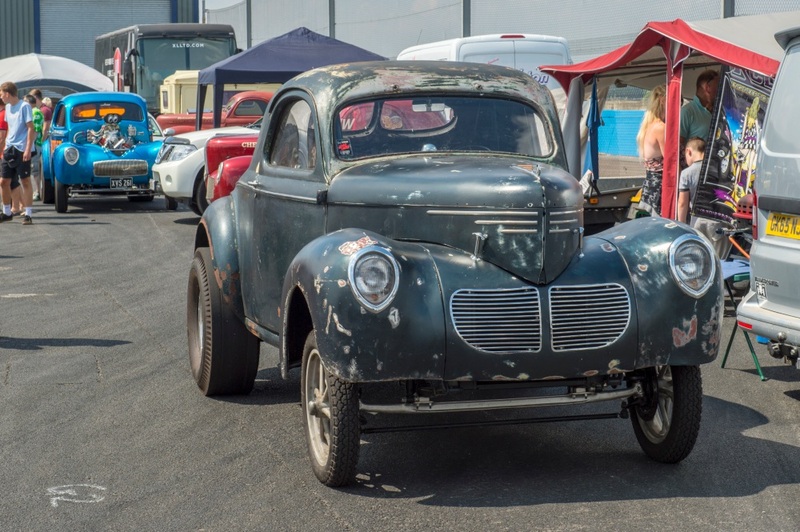 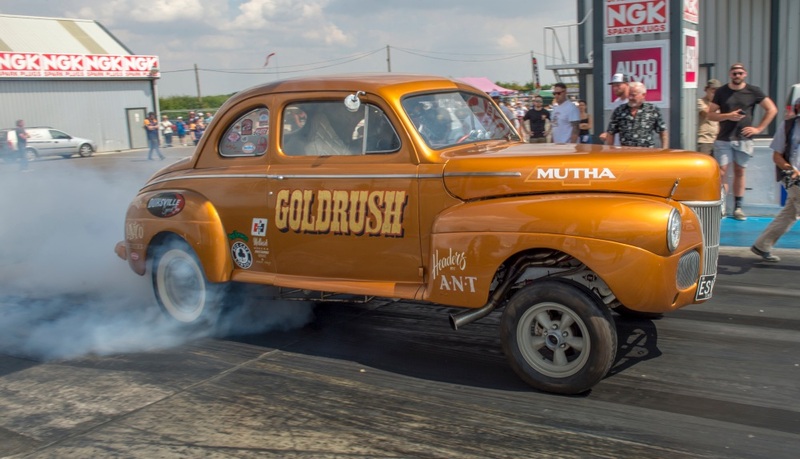 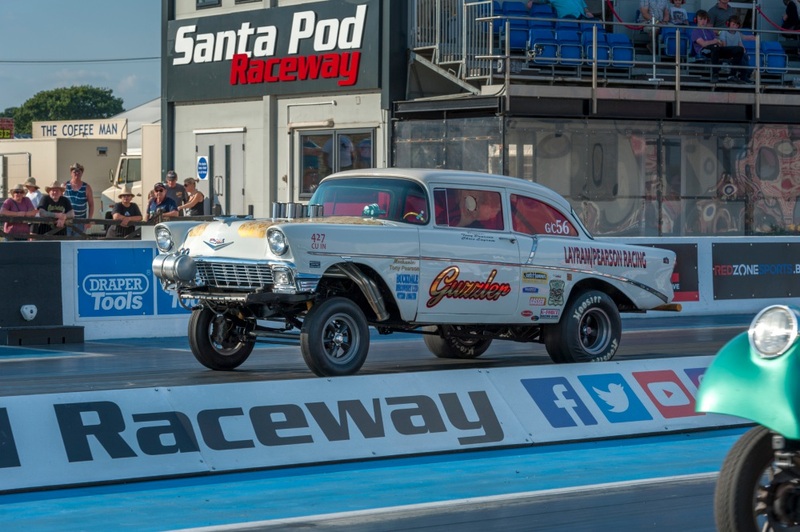 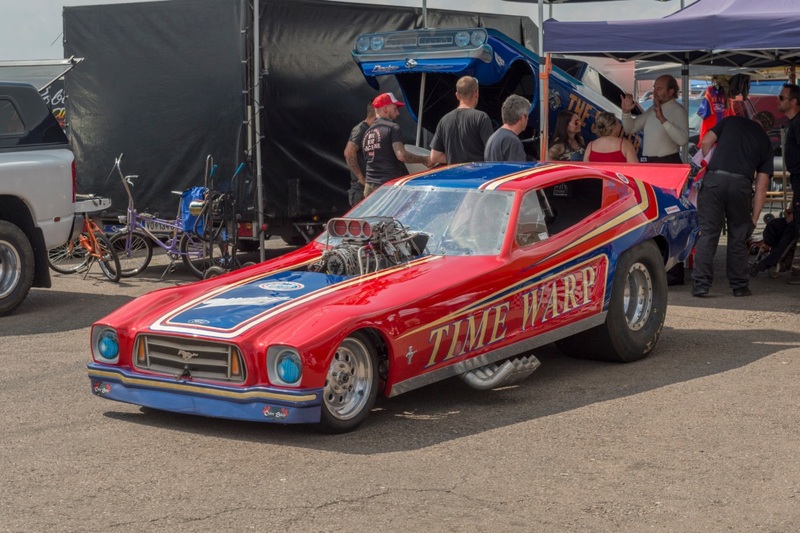 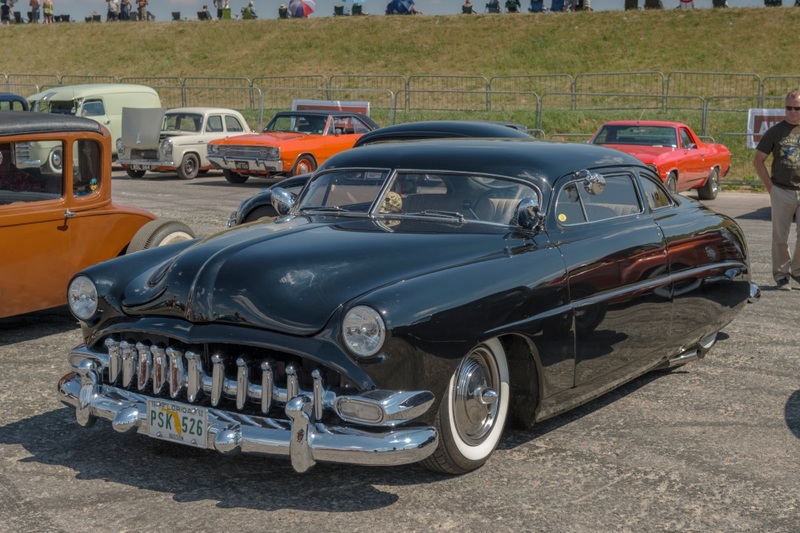 For American car fans who like to see more recognisable models, the Nostalgia Super Stocks also put on a great show, and with plenty of sticky traction, many classic muscle cars were seen leaving the start line with their front wheels in the air – fantastic stuff! 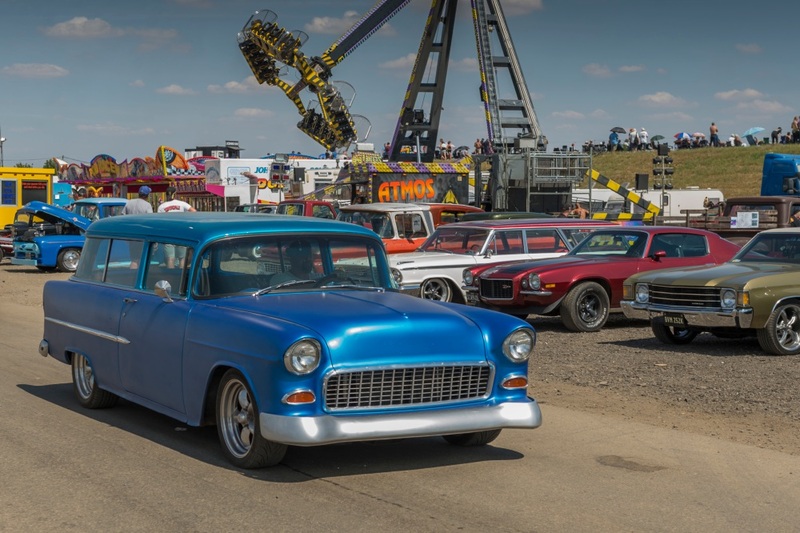 Elsewhere, there was plenty to see with a big showing of street cars in the show and shine area, this year moved to the area behind the funfair on the right hand side of the track, a bit of a trek from the pits though, especially as the previous area near the start line was only being used for mostly non-automotive oriented traders this year. 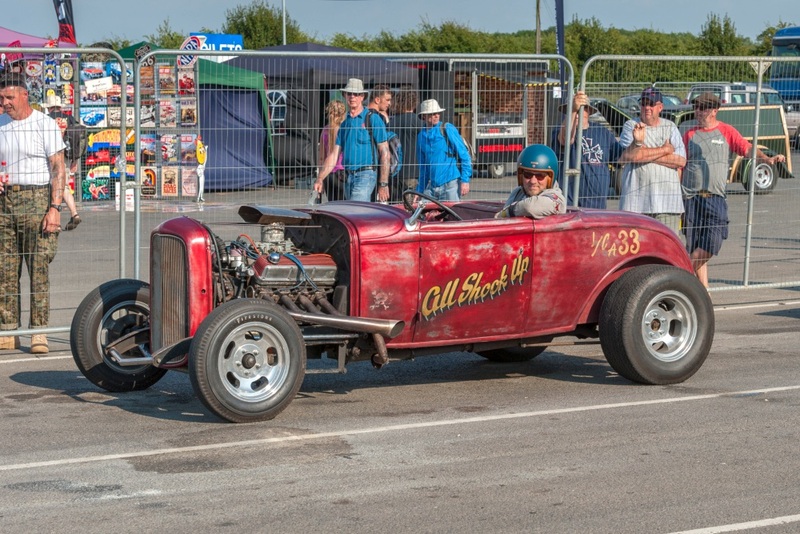 Static displays in marquees set up behind the grandstand included some real blasts from the past of British hot rodding, including Coffee Grinder, the first hot rod to be imported into the UK from the US in 1965 and Nykilodeon, the famous British Bucket T built in 1972 by Nick Butler. 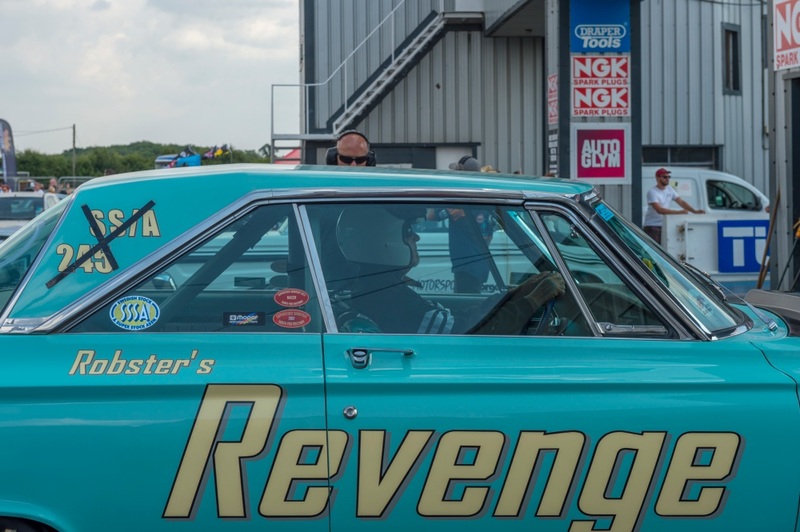 A rather sad-looking drag race car that looked like it had been dragged out of someone’s garden was liveried up with Capital Radio and the Eighties DJ Mike Allen, who introduced a whole generation of Eighties kids to hip hop, back in the day. 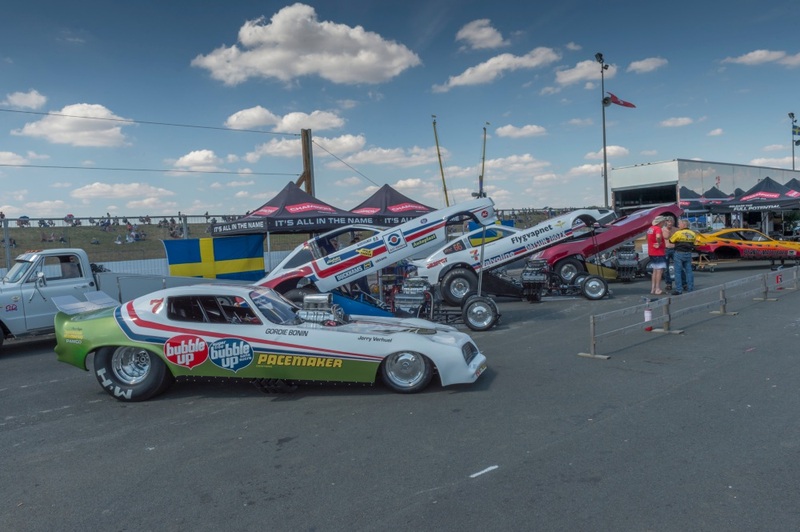 Dragstalgia is always an international event, and although we had no US guests again this year, this was more than made up for by a strong Swedish contingent, in particular an awesome collection of Historic Funny Cars owned by Janne Johanssson. 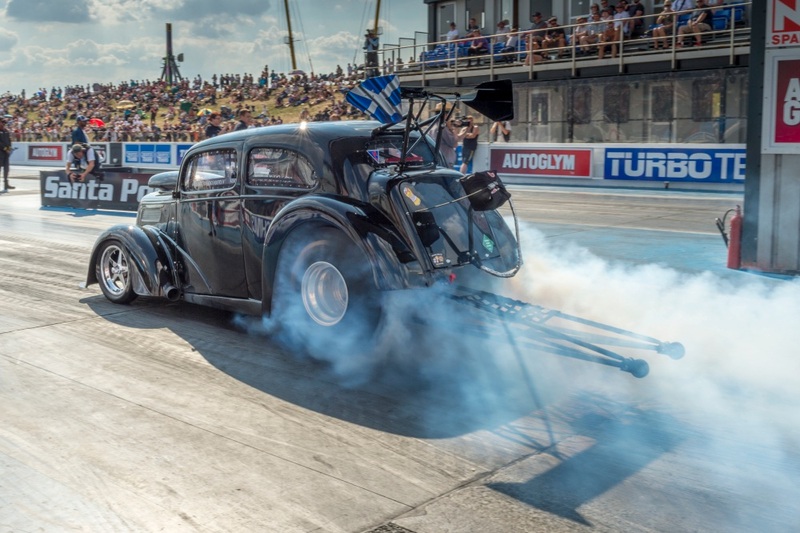 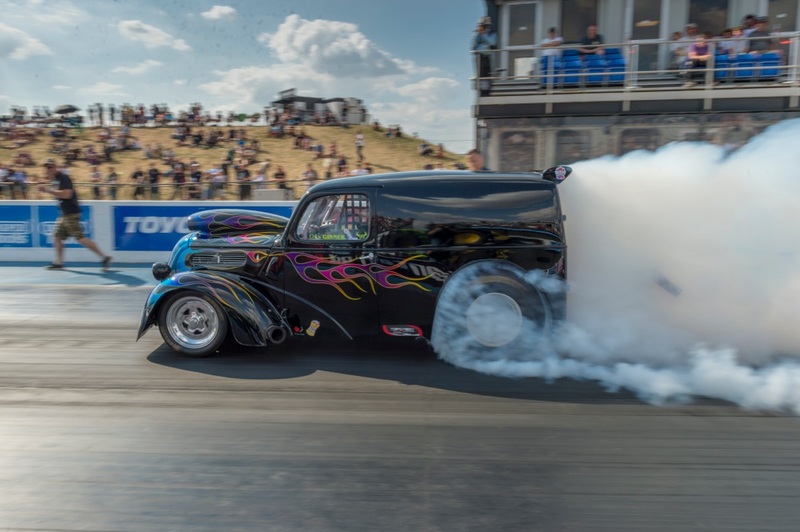 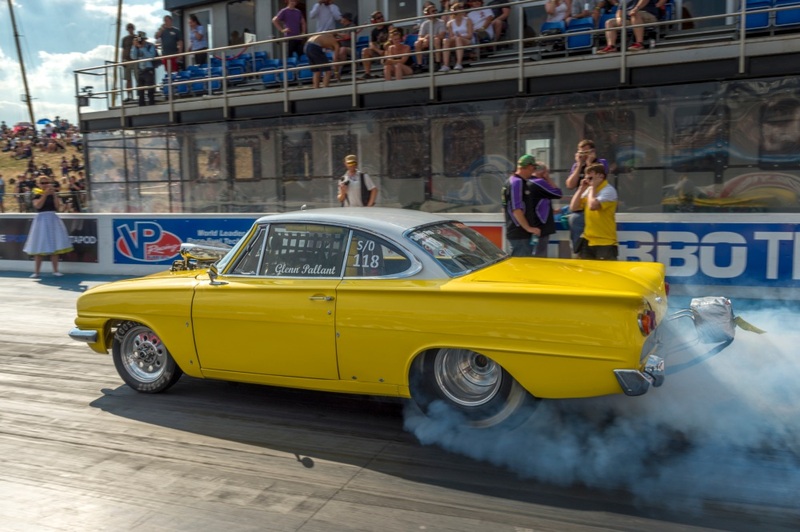 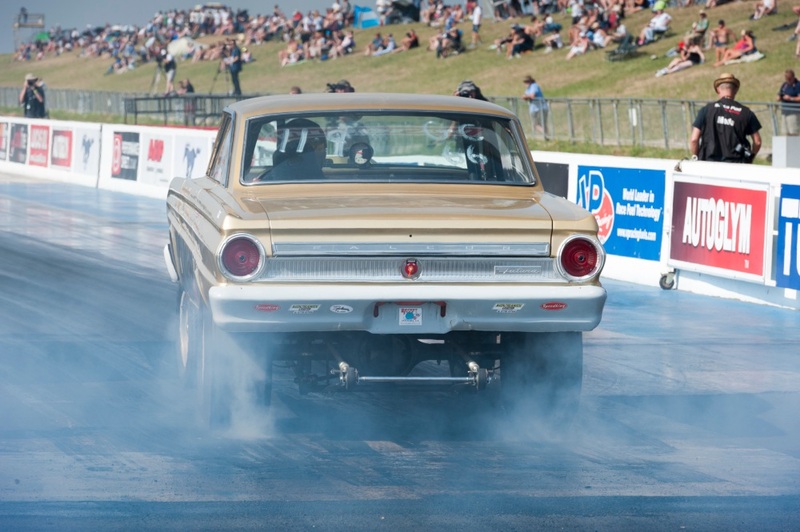 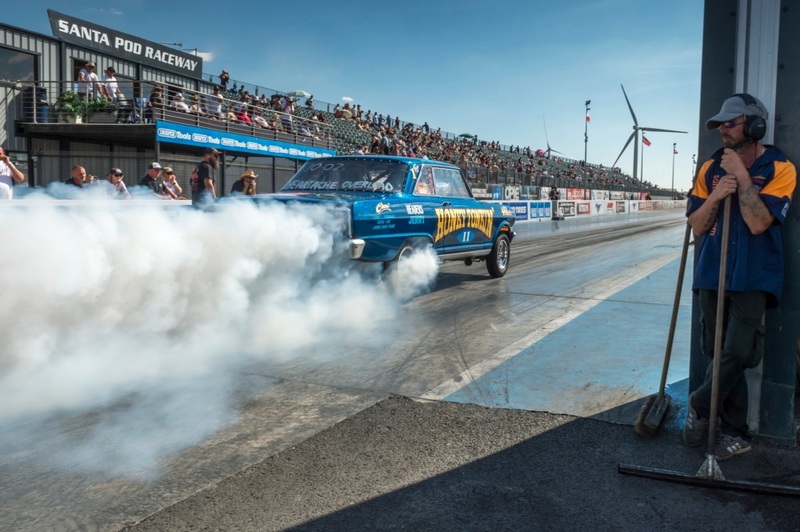 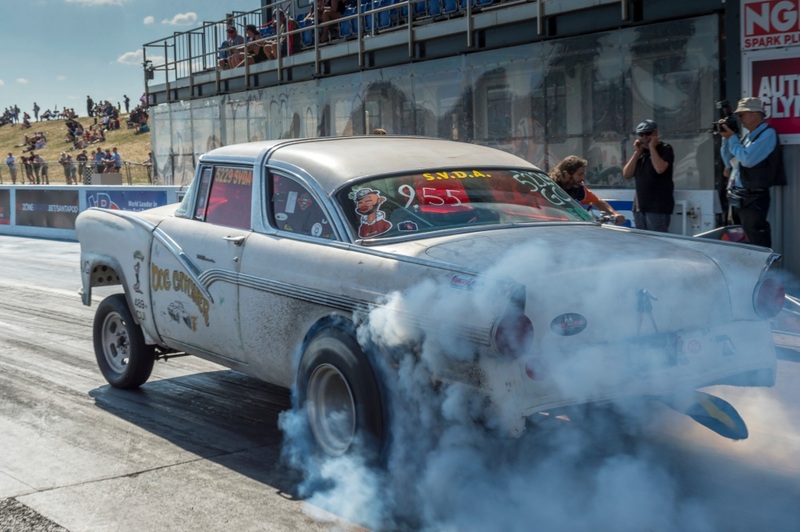 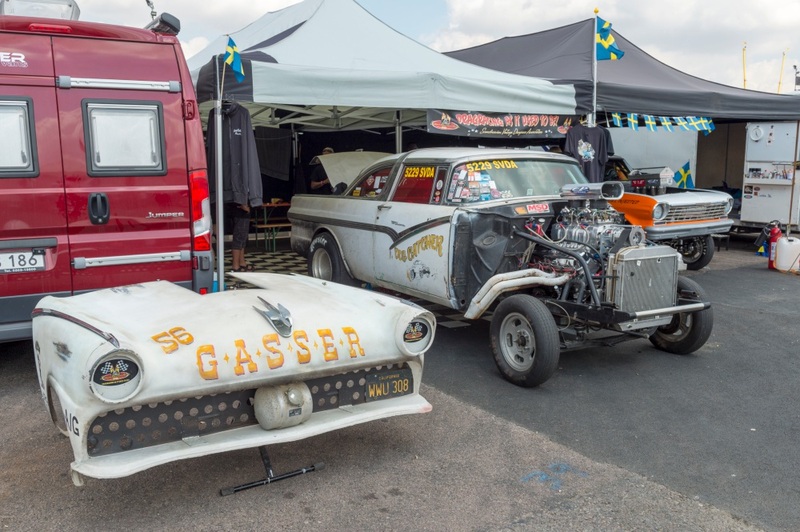 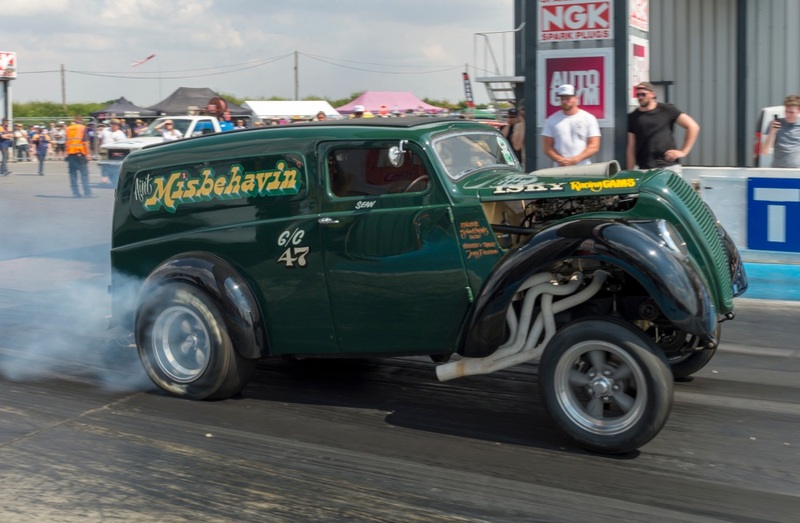 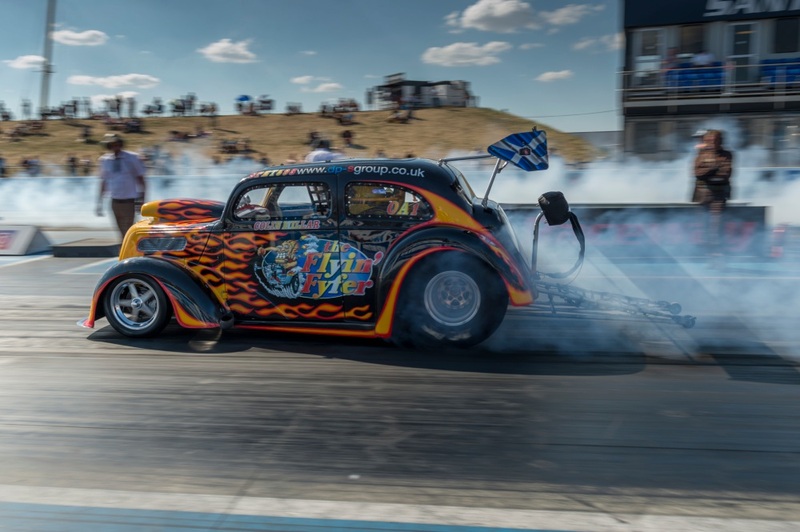 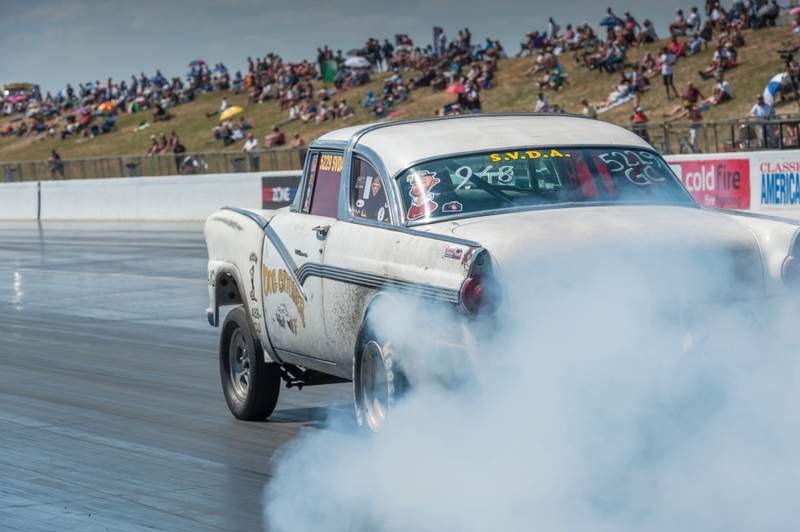 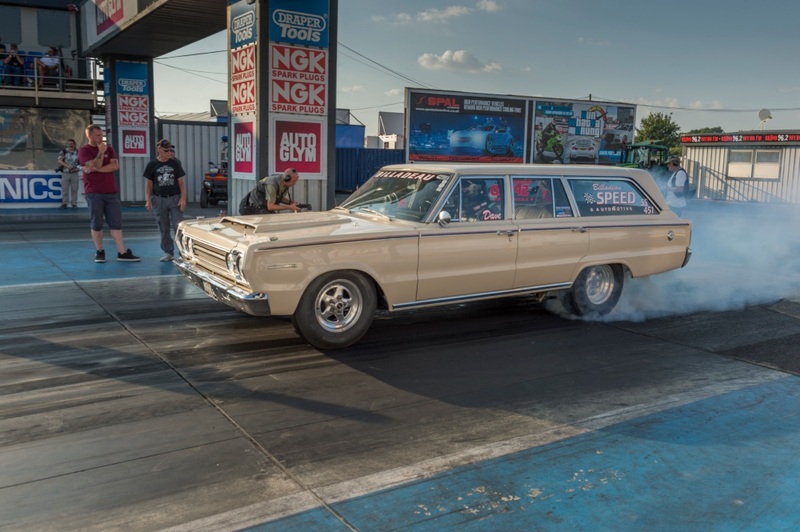 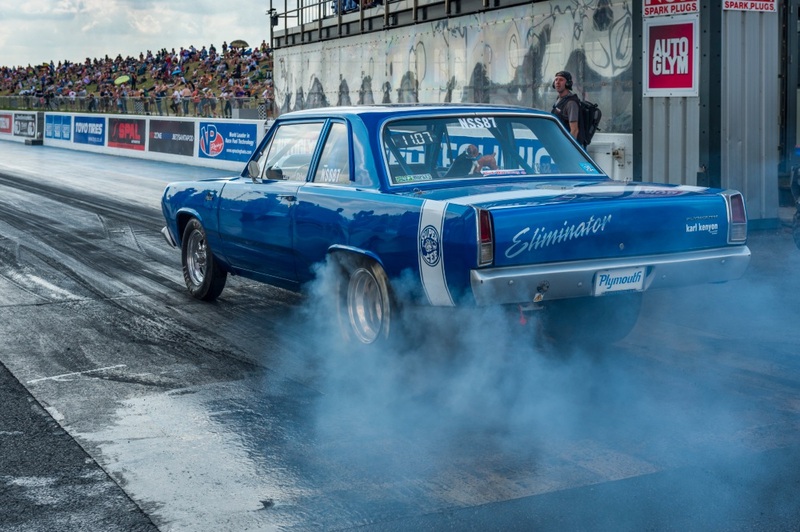 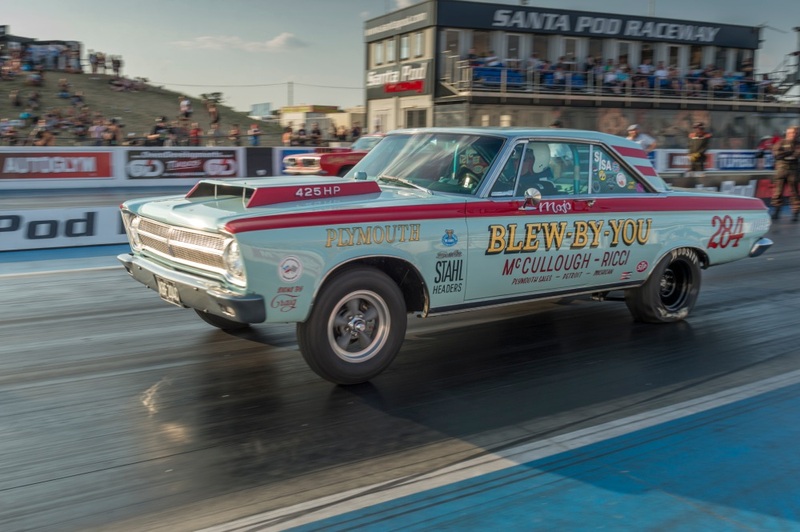 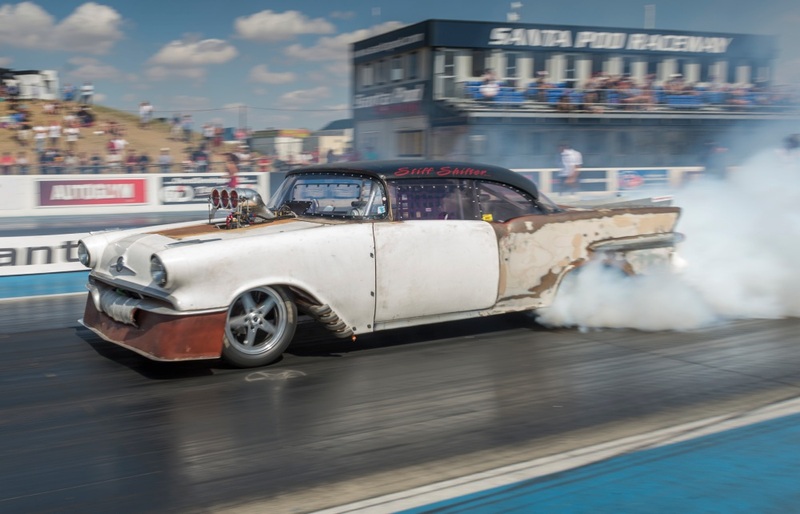 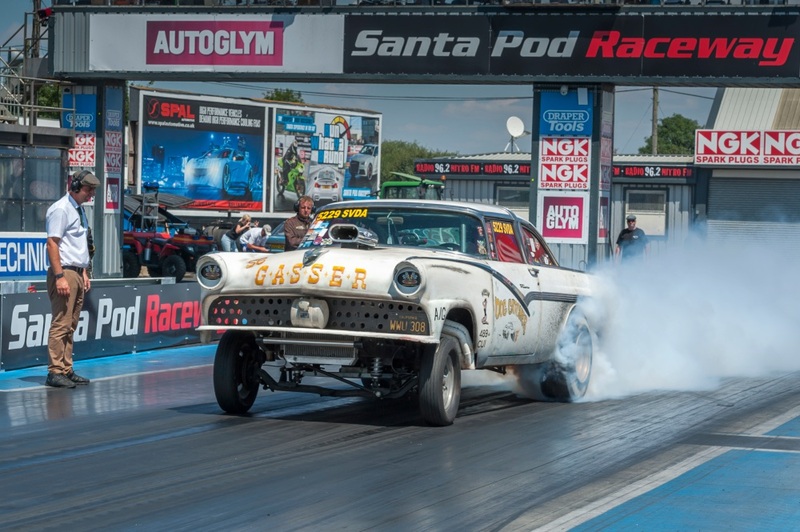 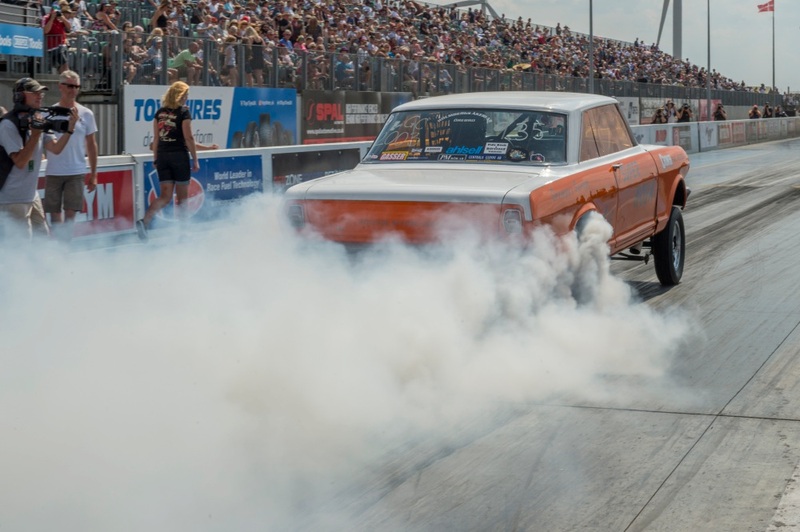 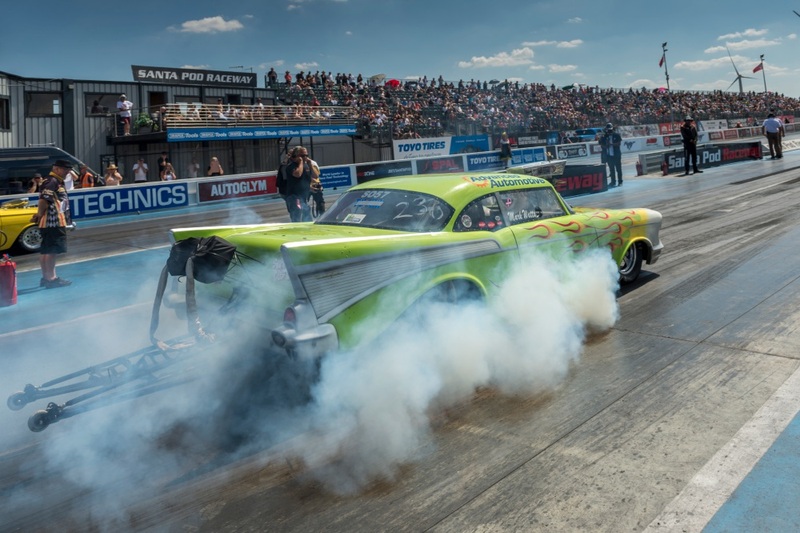 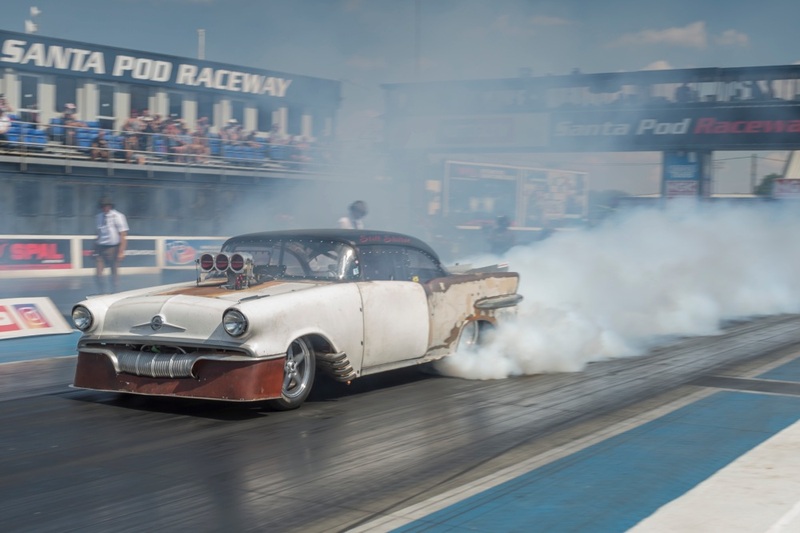 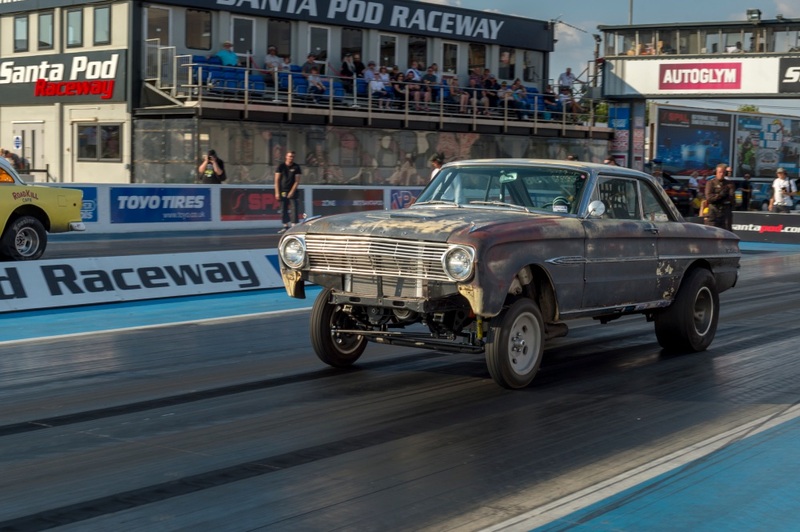 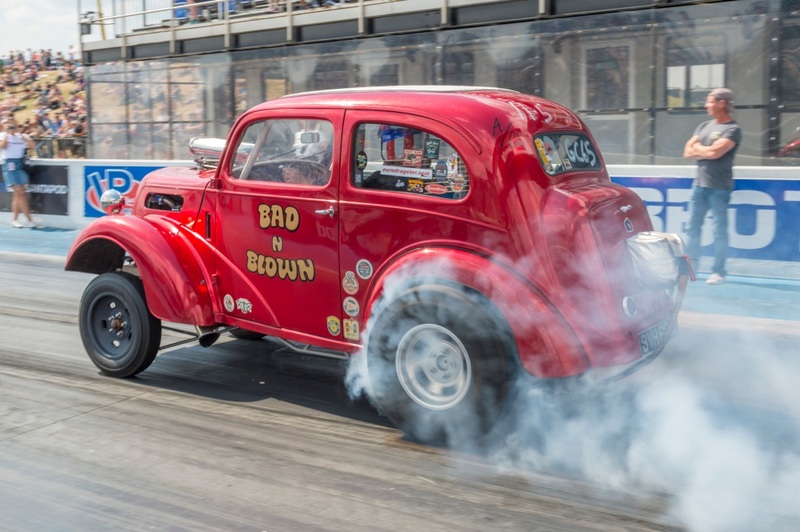 Fellow Swede Stefan Flodell once again wowed the fans with his long smokey burnouts courtesy of his Super Nova Chevy Gasser. 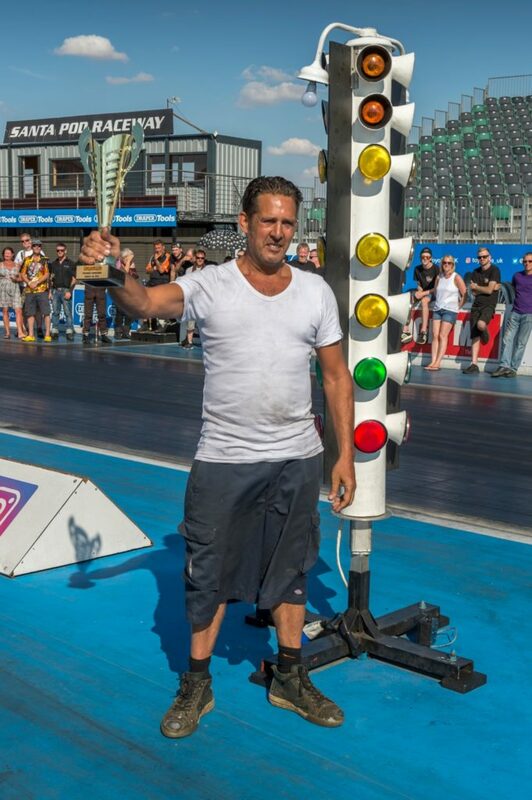 Not surprisingly, Stefan won the award for Best Burnout of the weekend. 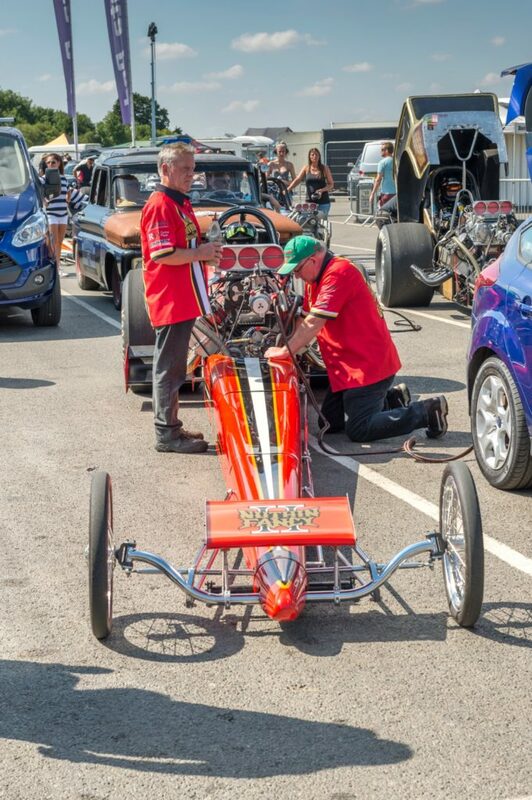 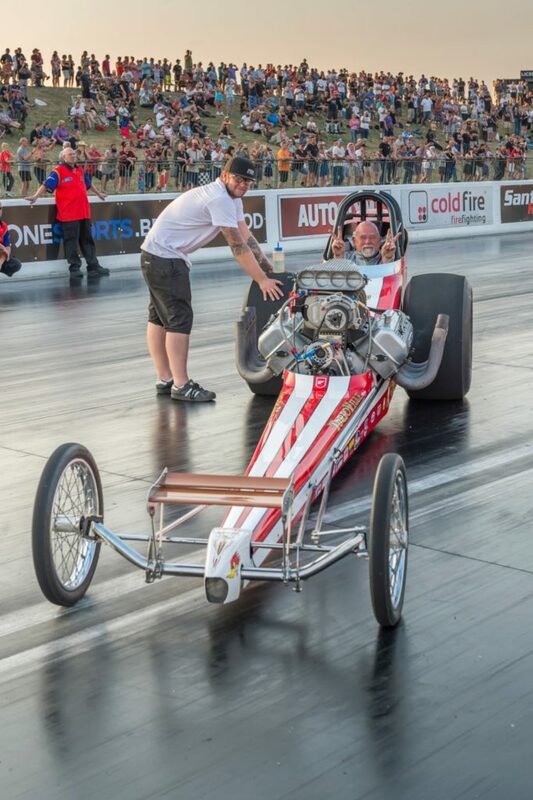 The weekend also saw Nick Davies’ Havoc Fuel Altered back on a British strip after their outstanding US tour last year, with Nick deciding to give the car one more outing as a thank you to the supportive fans before the car goes into storage. 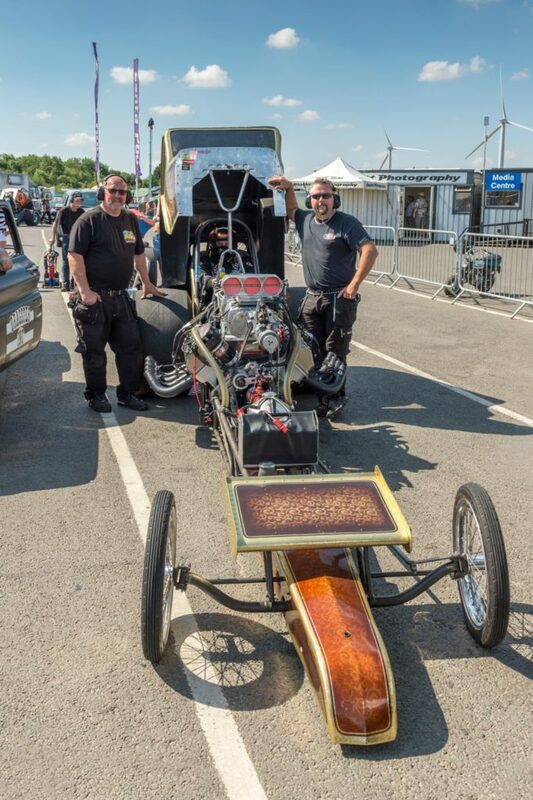 It certainly went out with a bang, posting quickest time of the meet at 6.21 at 231.7 mph and winning the Nostalgia Cannonball in the process. 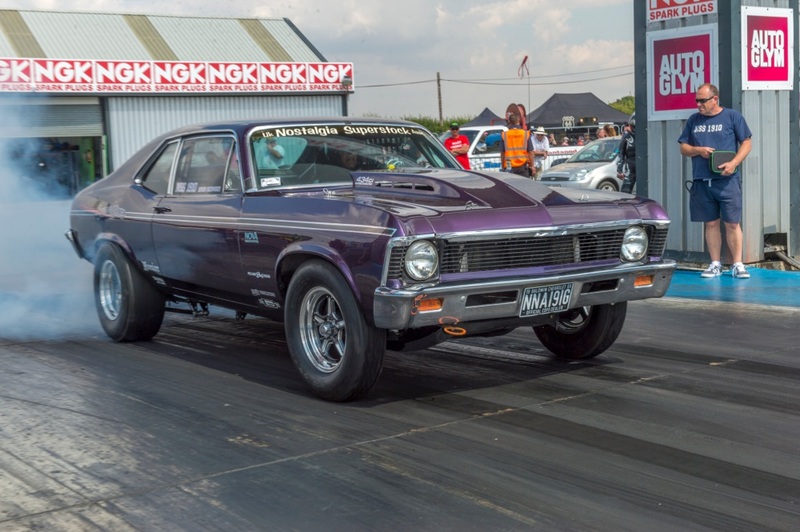 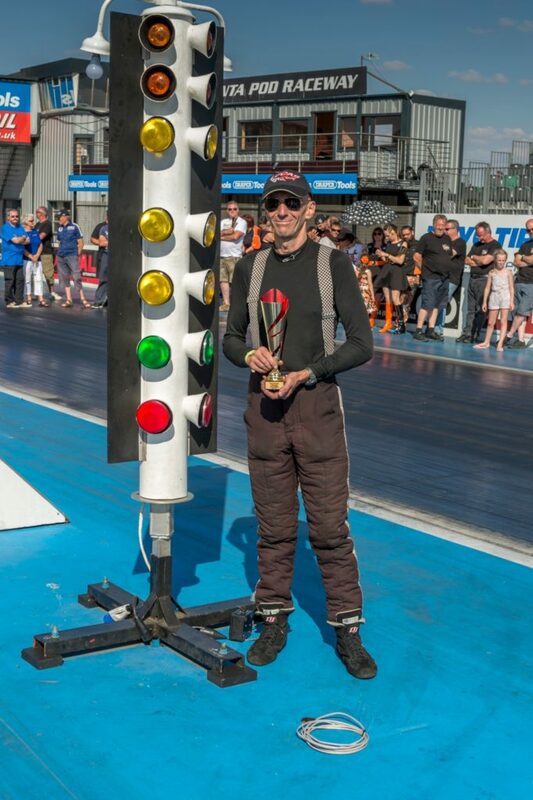 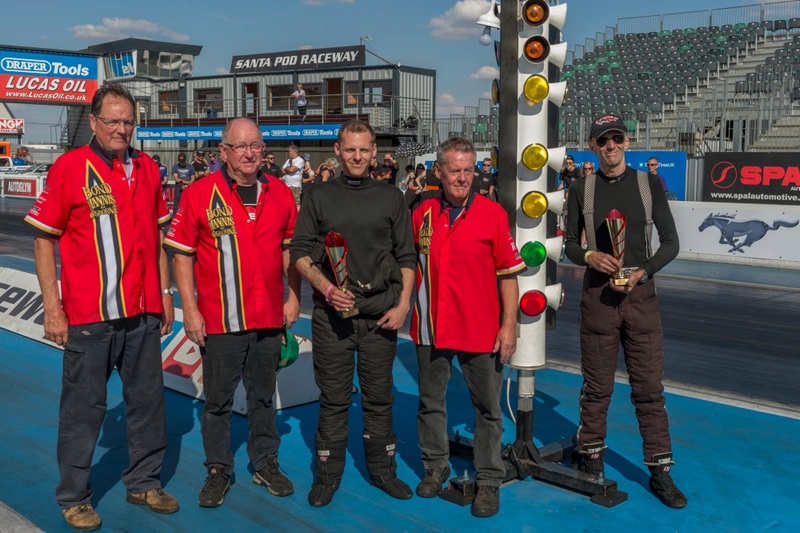 While previous Dragstalgia’s have suffered a bit of hit and miss weather, this year, with a combination of perfect track conditions, the new track surface and a great field of entrants, some competing for the first time, a first class weekend of racing was guaranteed, and it certainly didn’t disappoint. 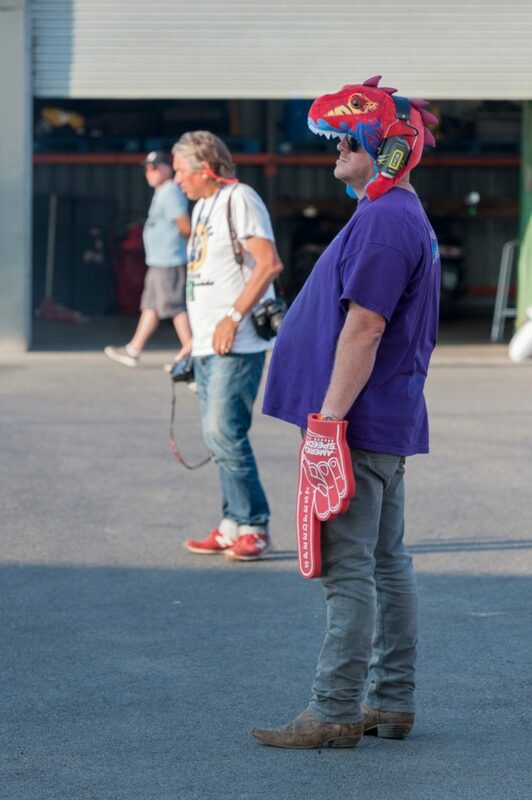 The only problem being, we have to wait a whole year before the next one!